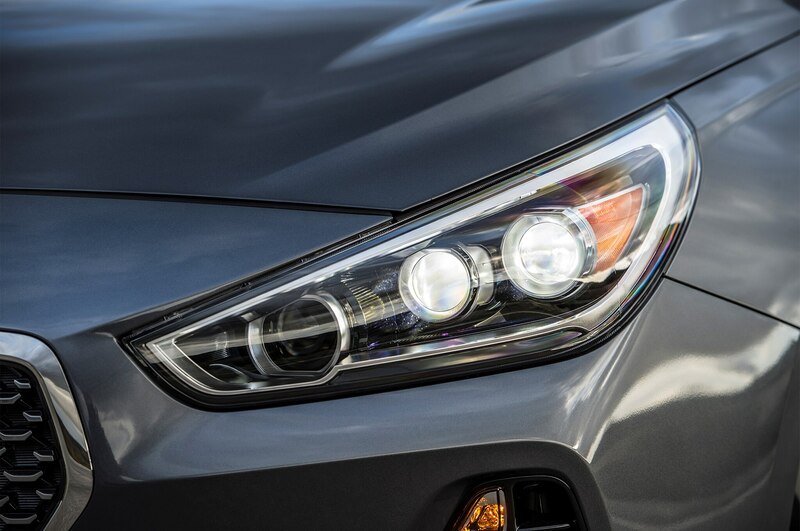 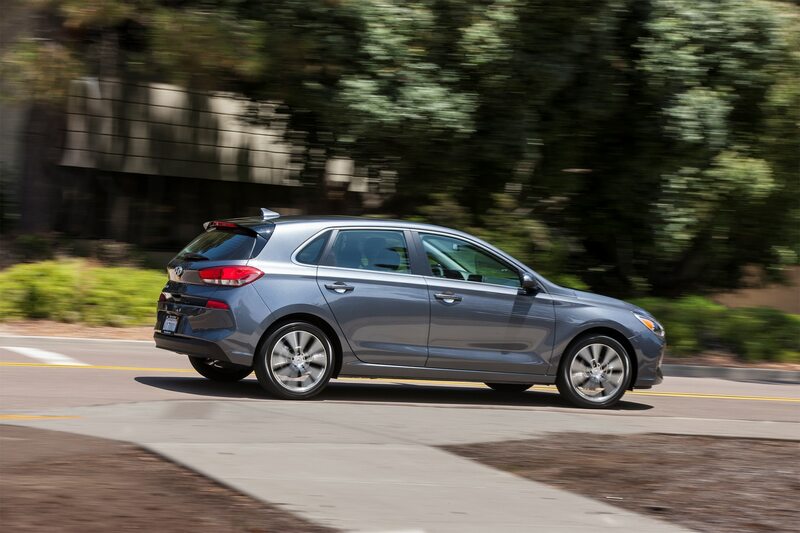 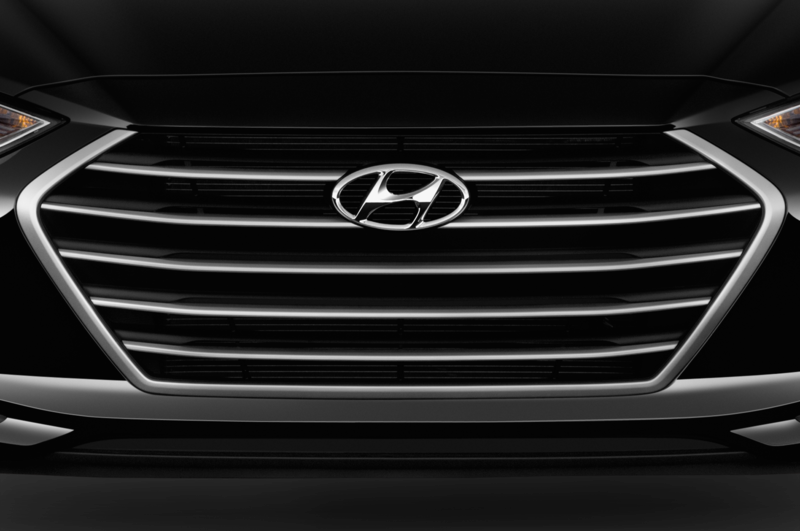 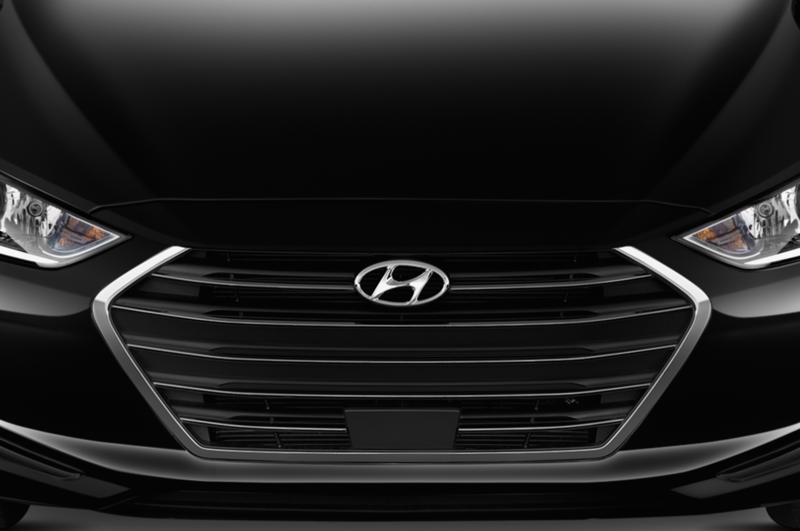 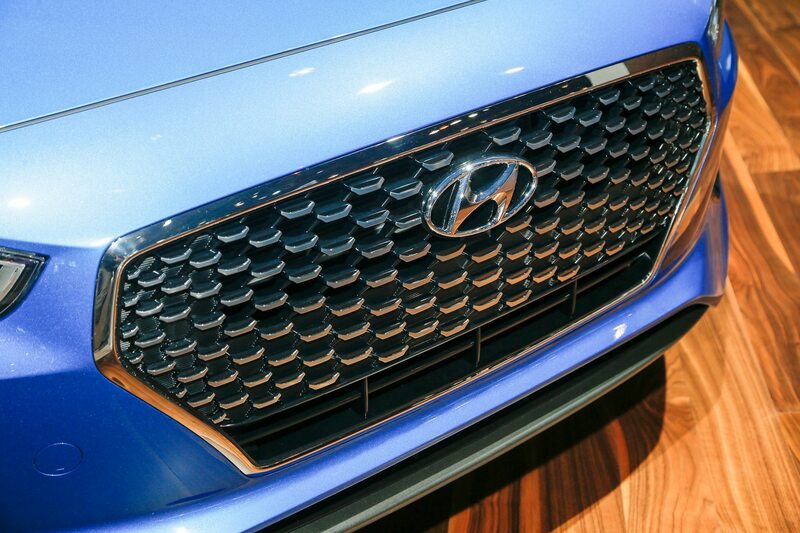 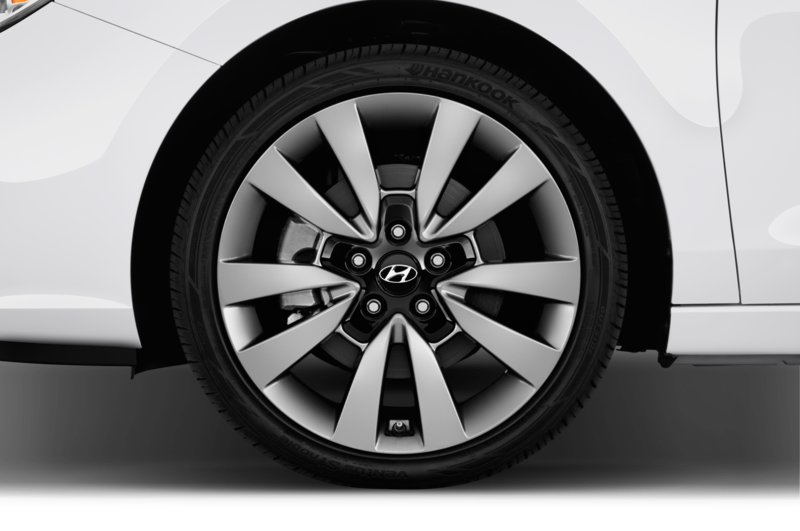 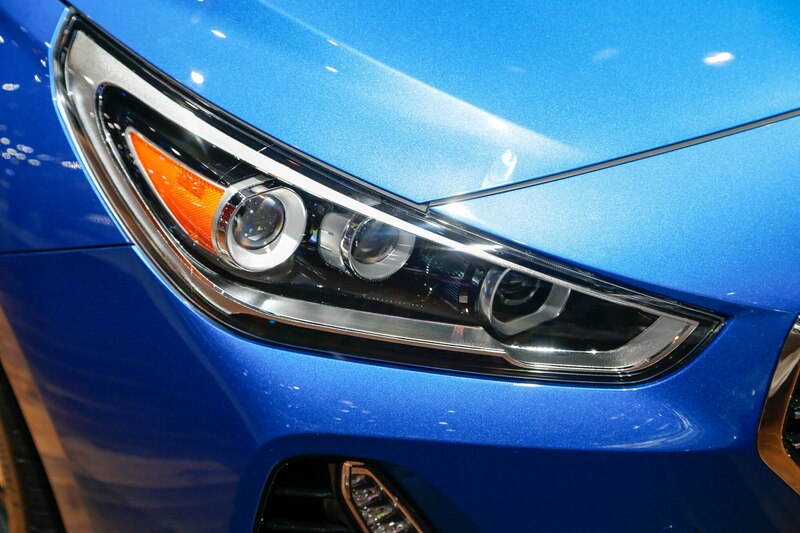 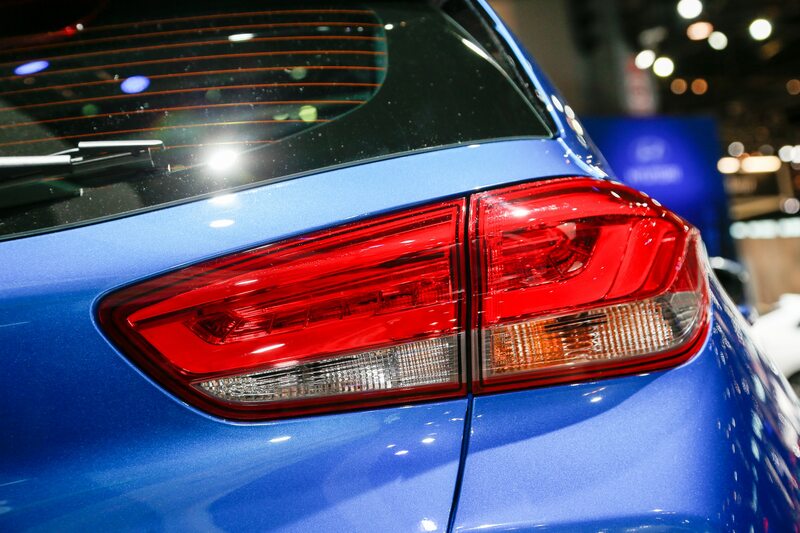 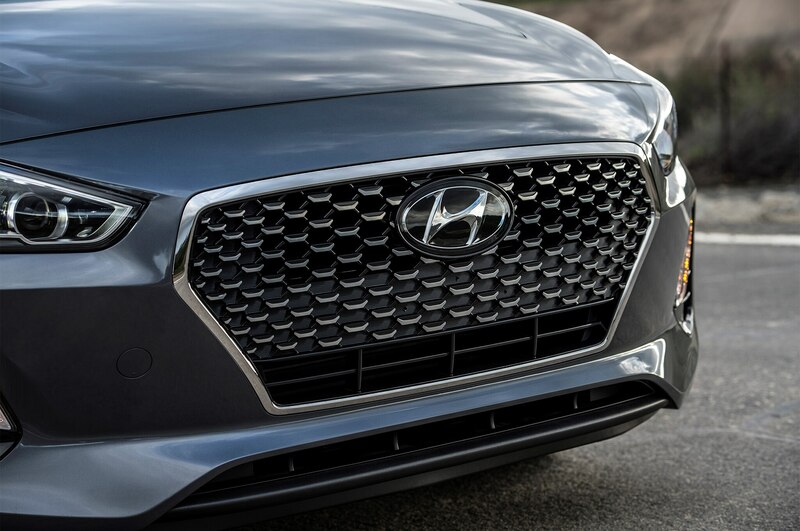 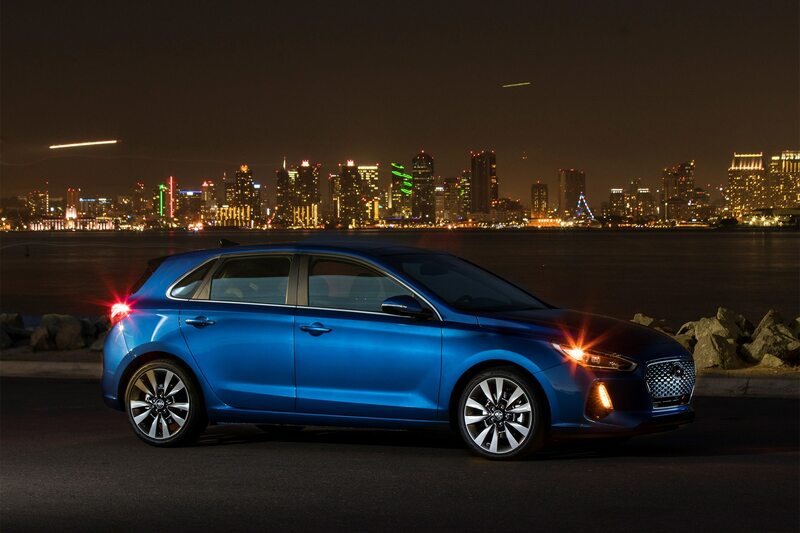 Small cars may be going out of fashion, but that’s not stopping Hyundai from rolling out fashionable small cars. 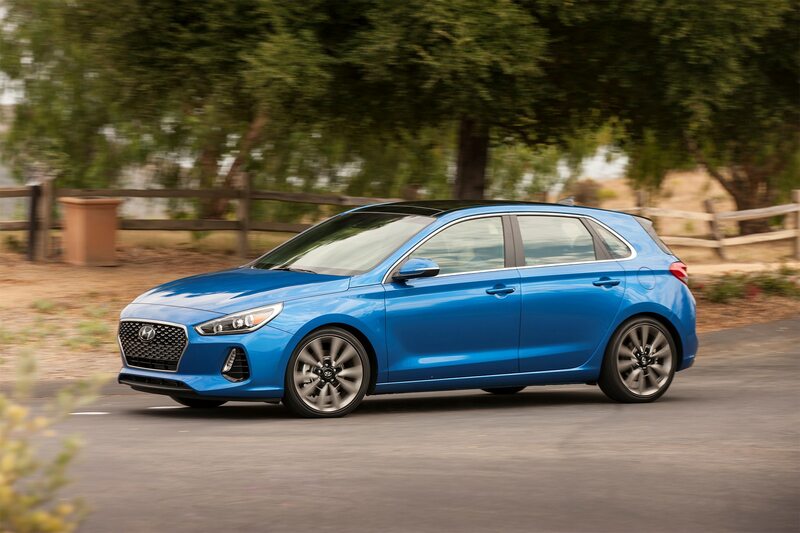 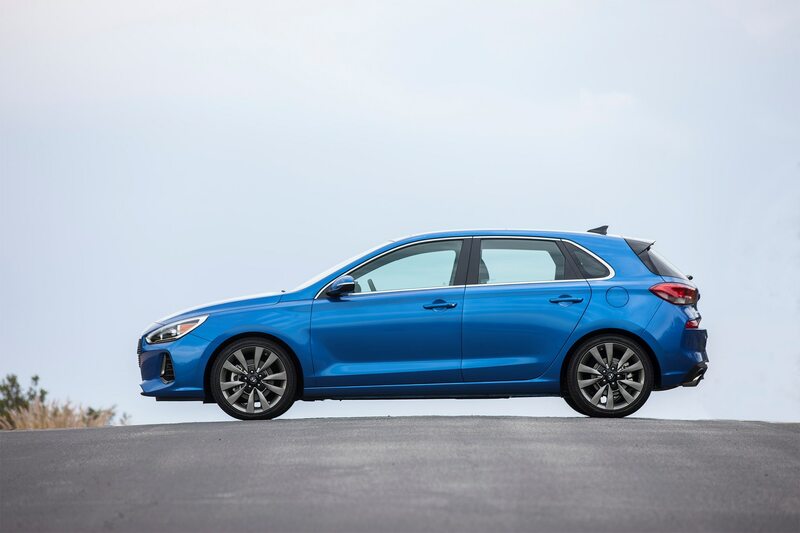 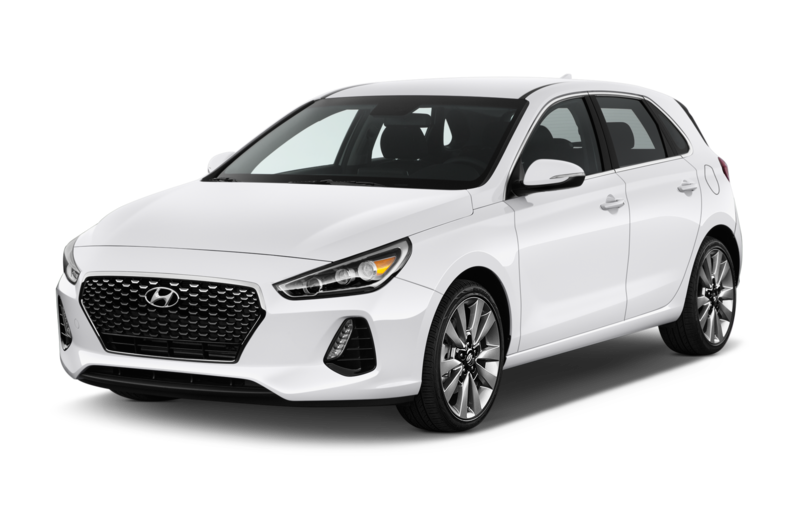 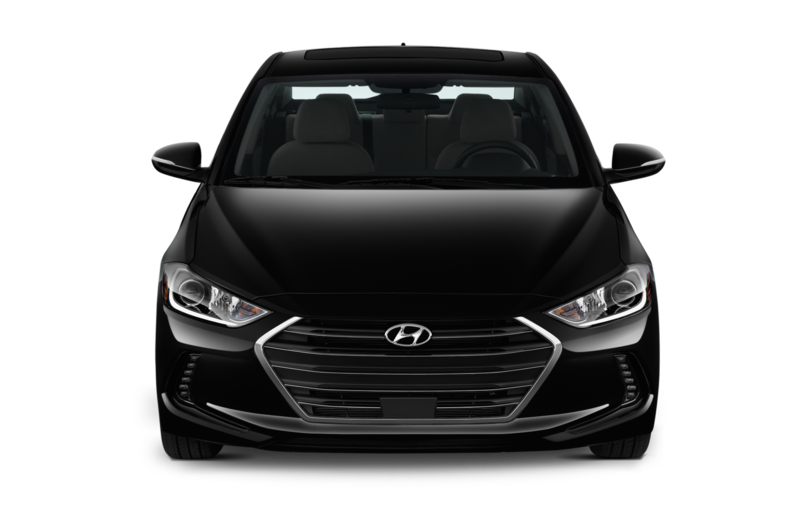 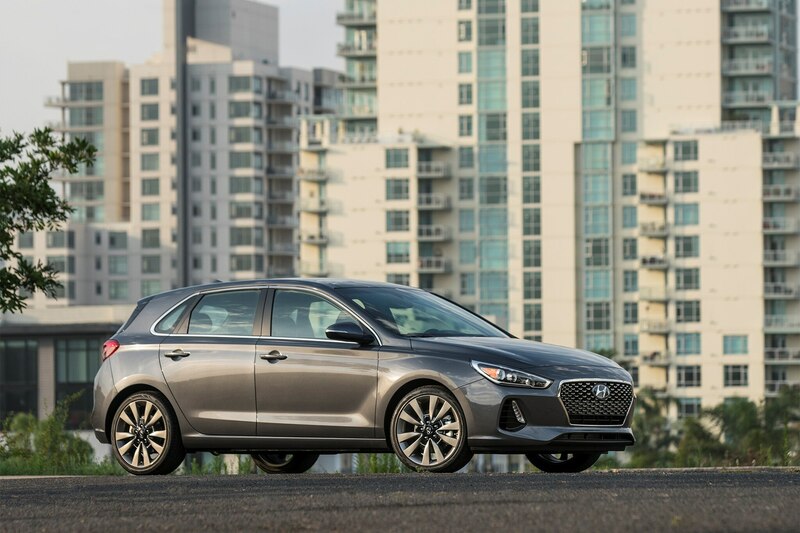 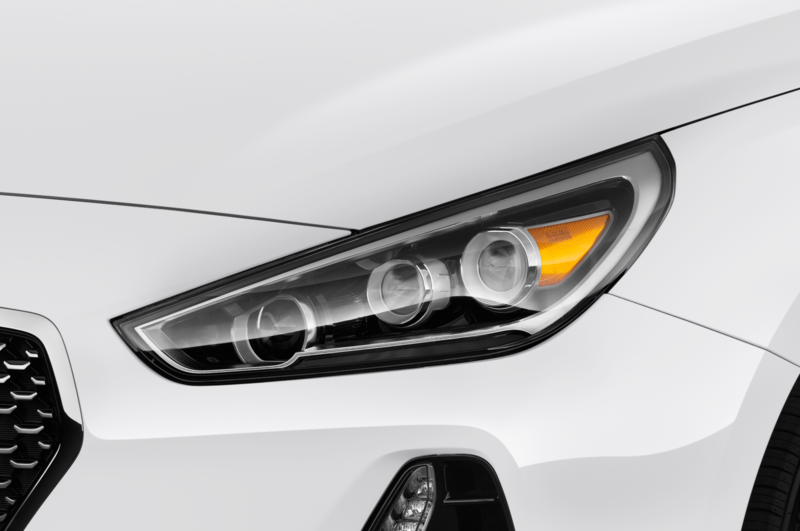 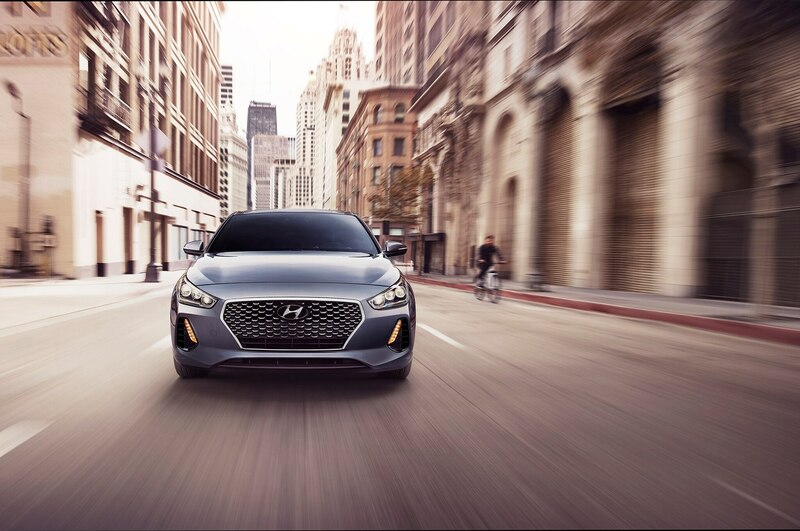 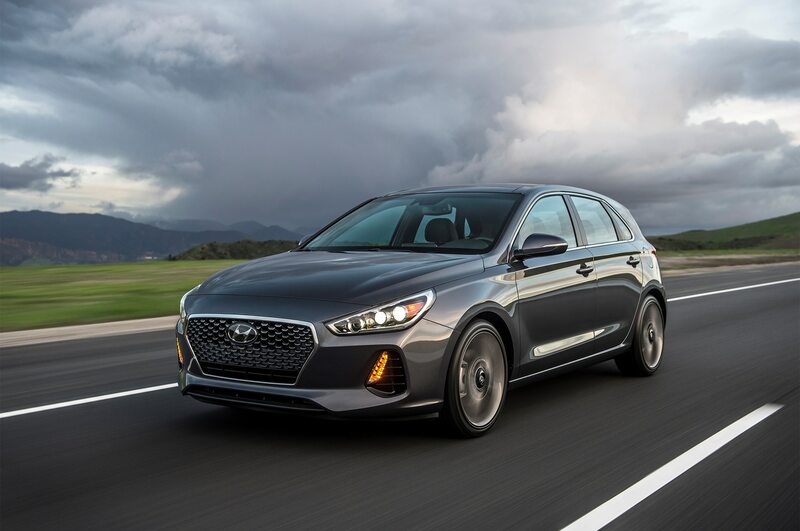 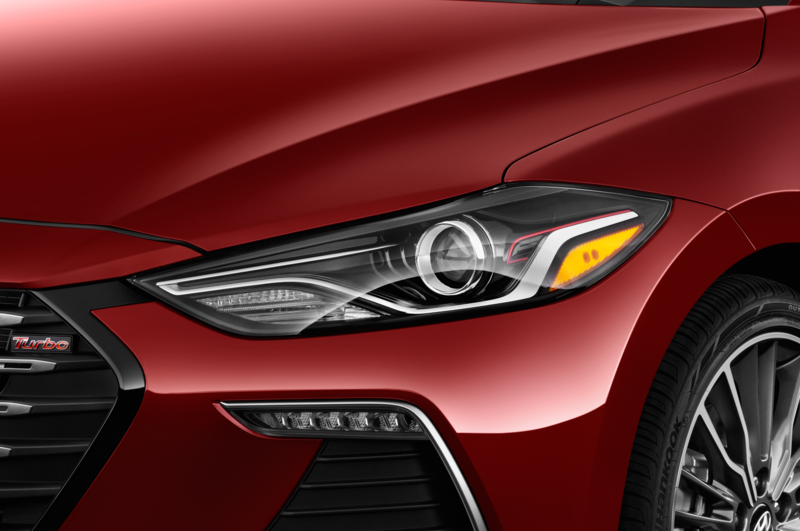 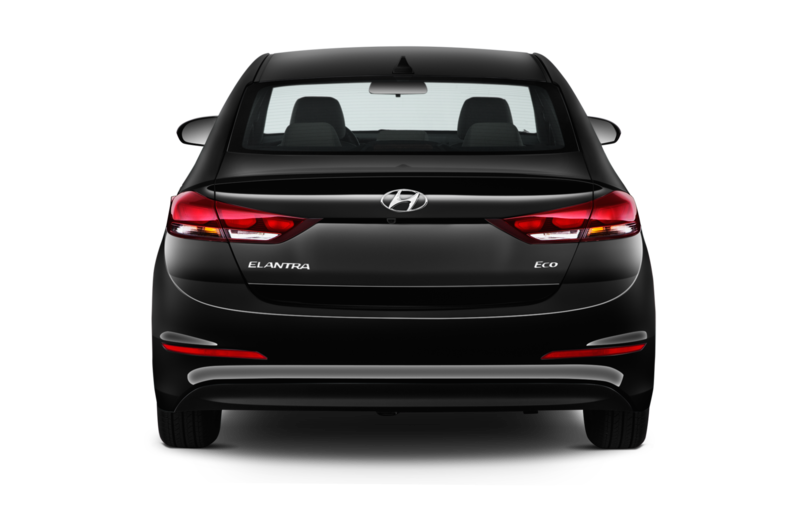 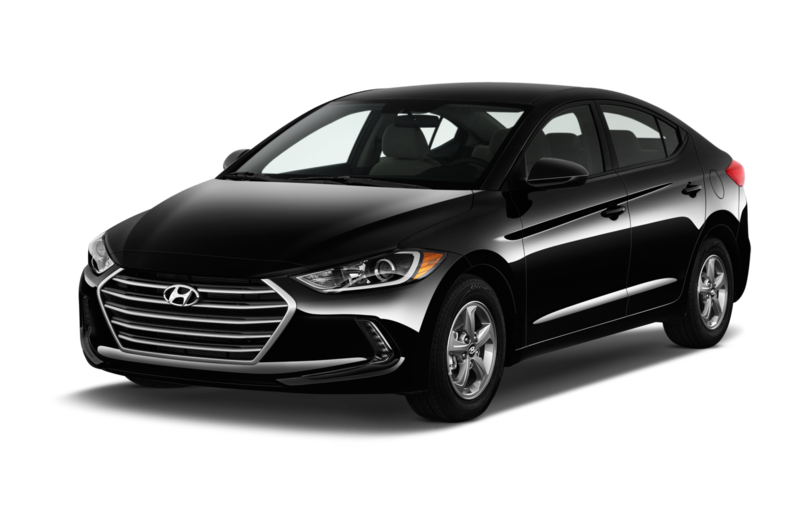 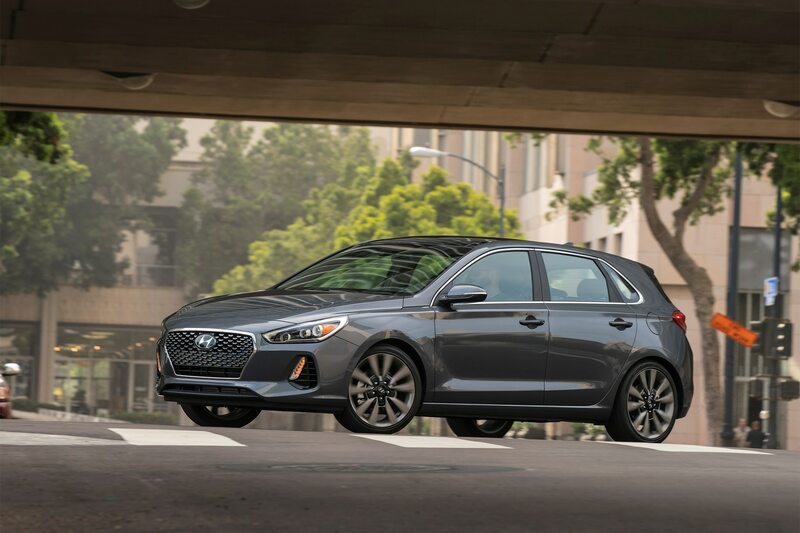 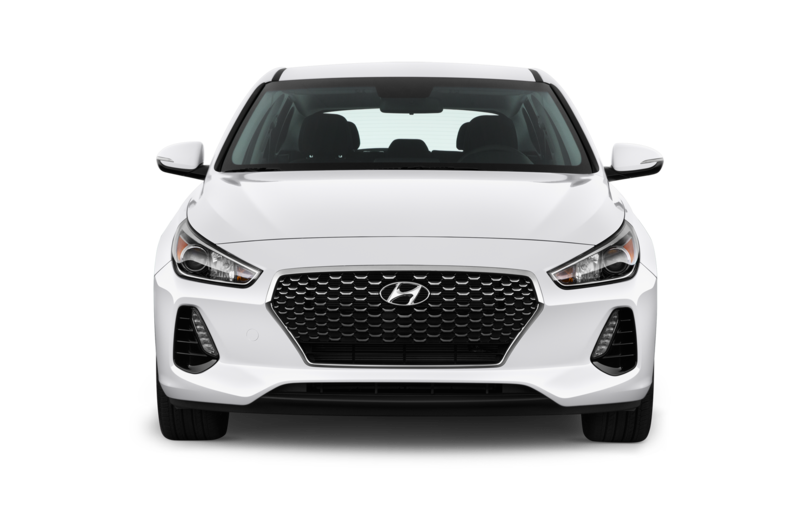 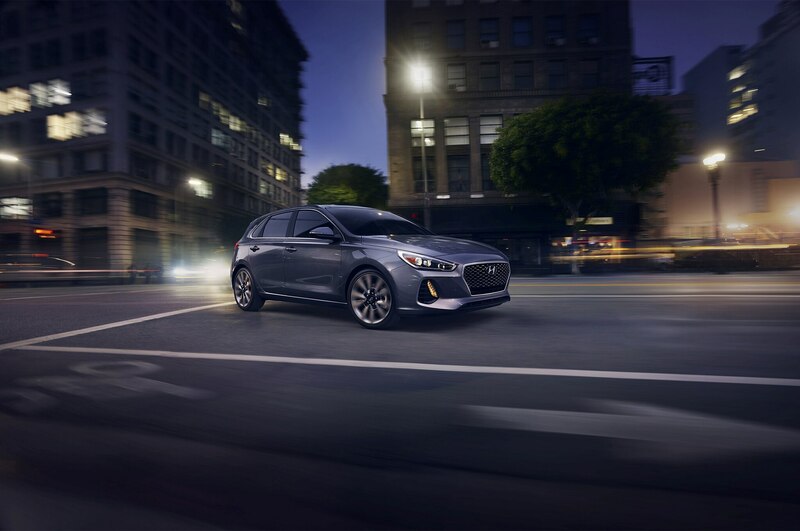 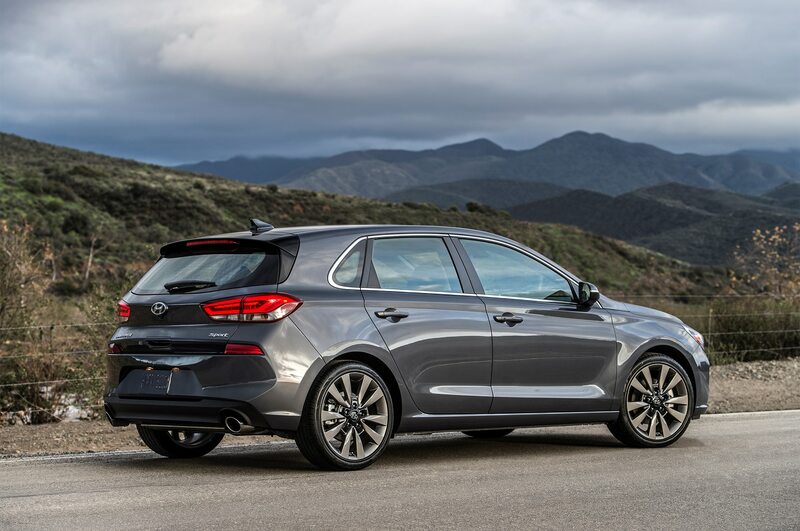 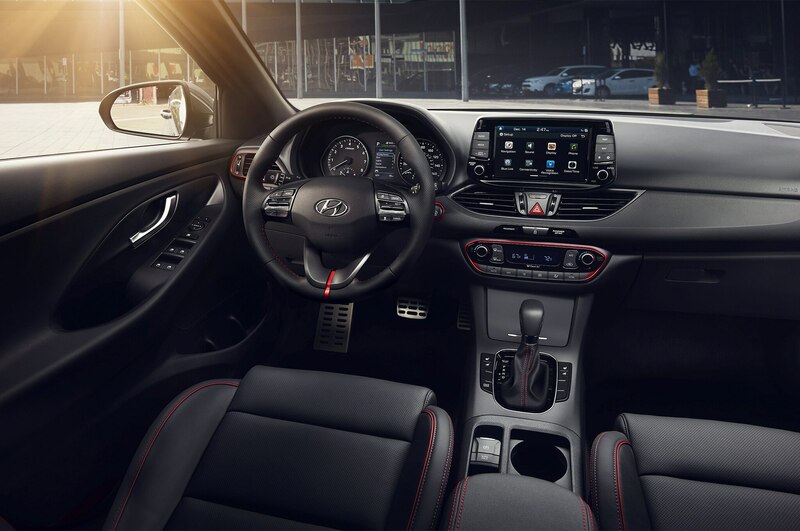 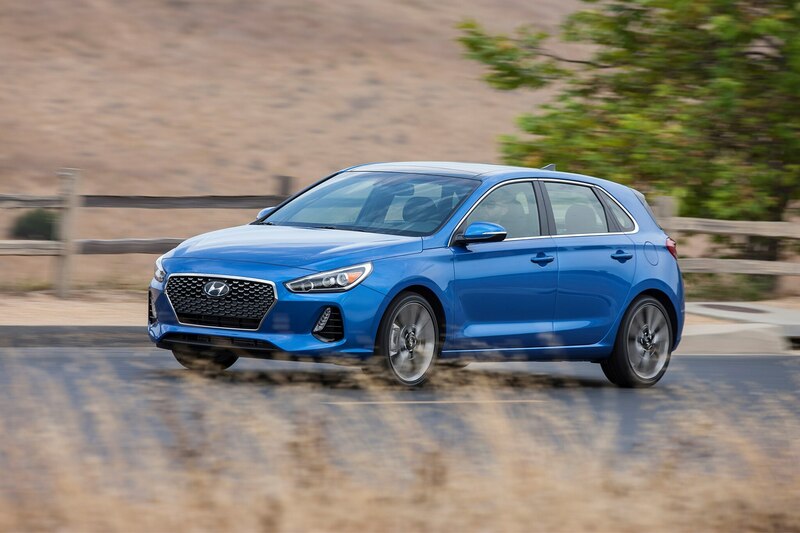 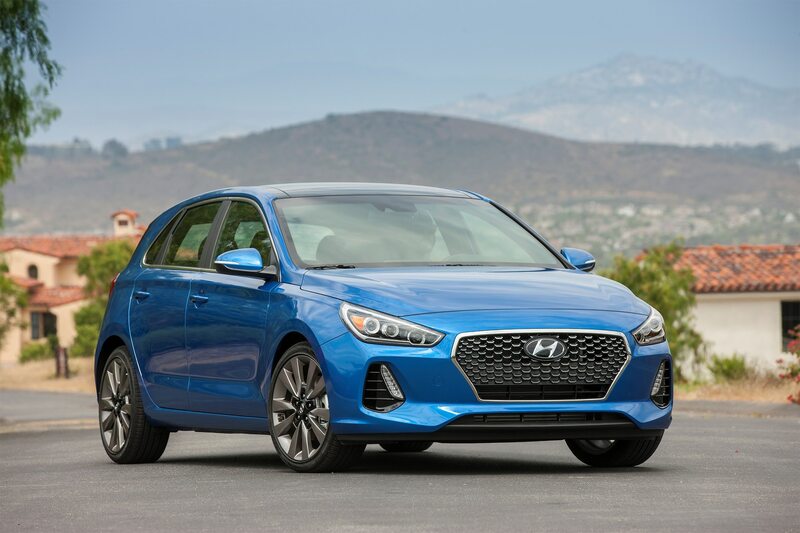 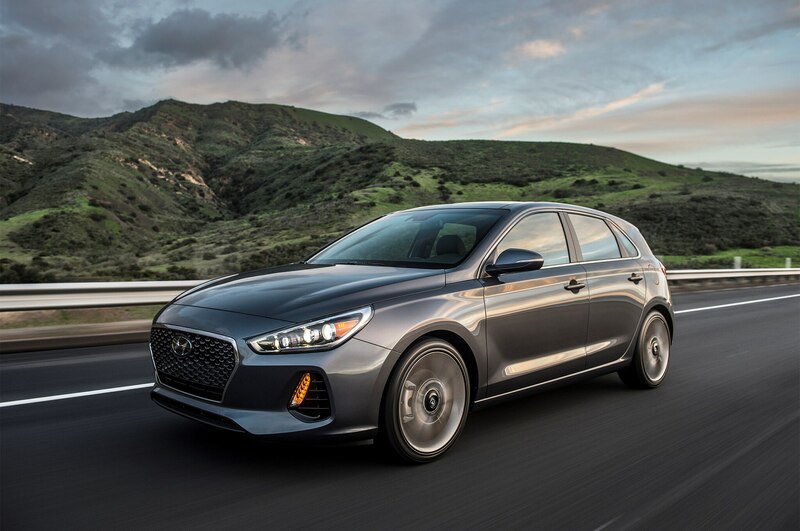 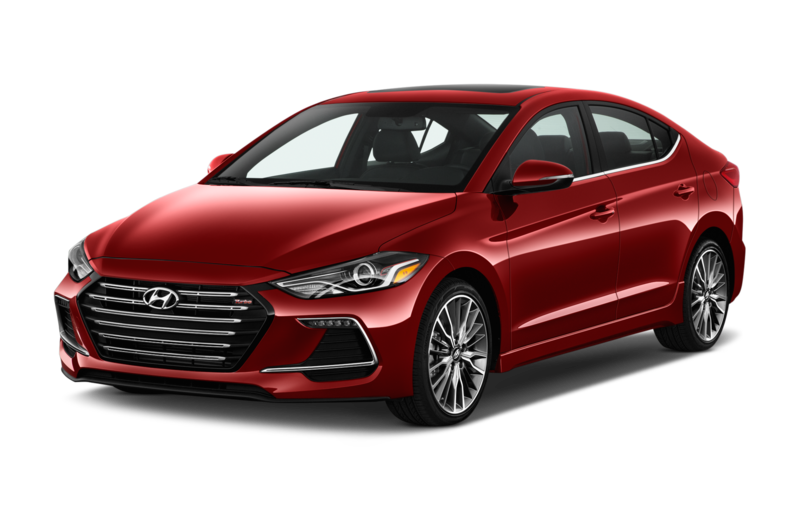 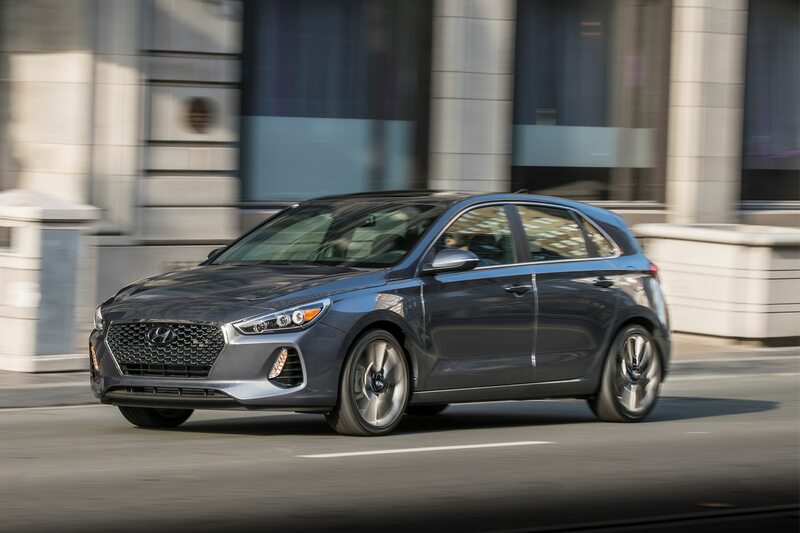 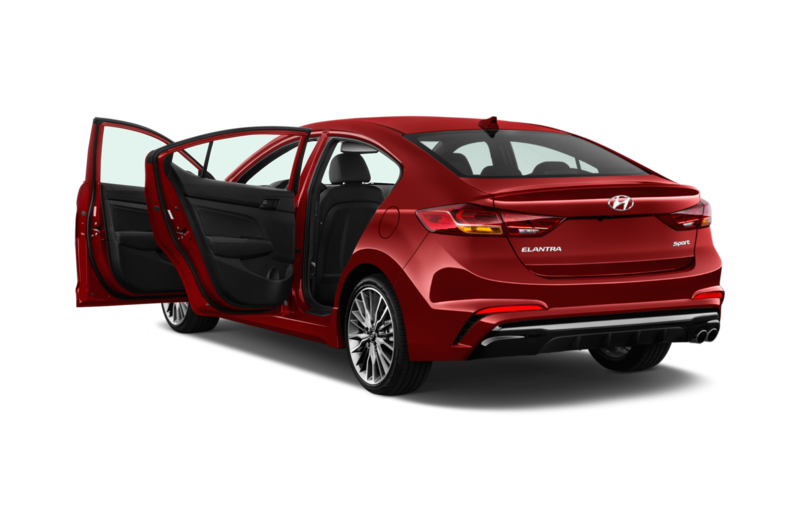 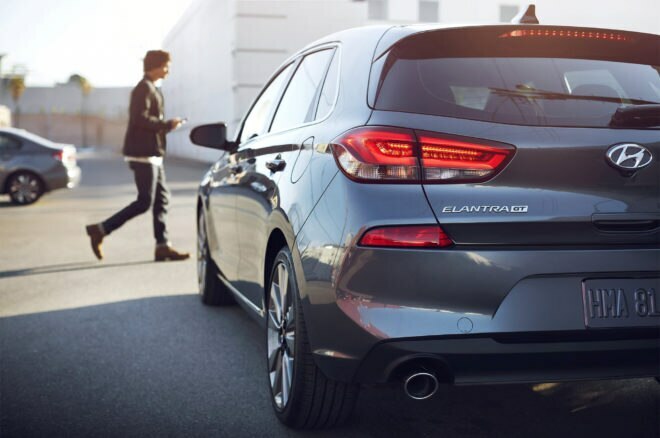 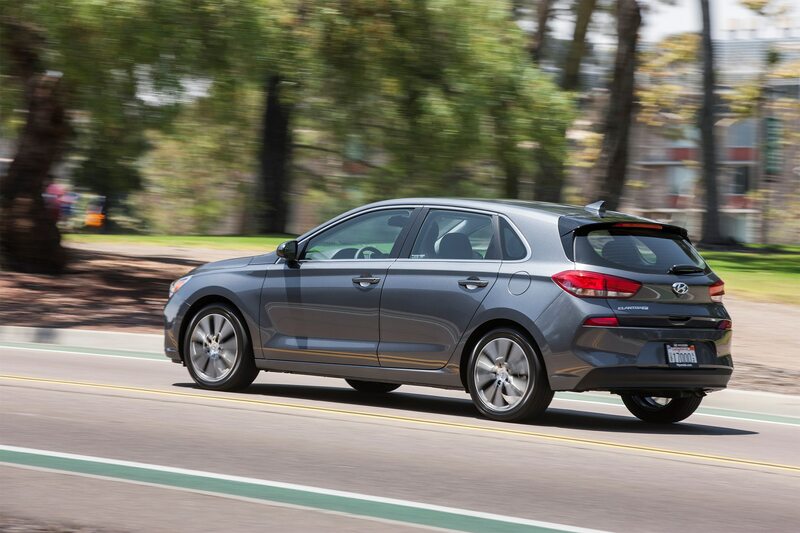 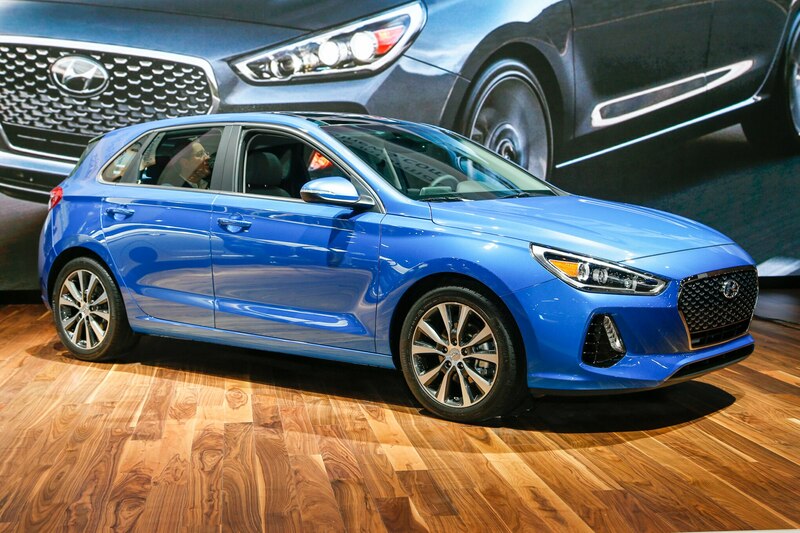 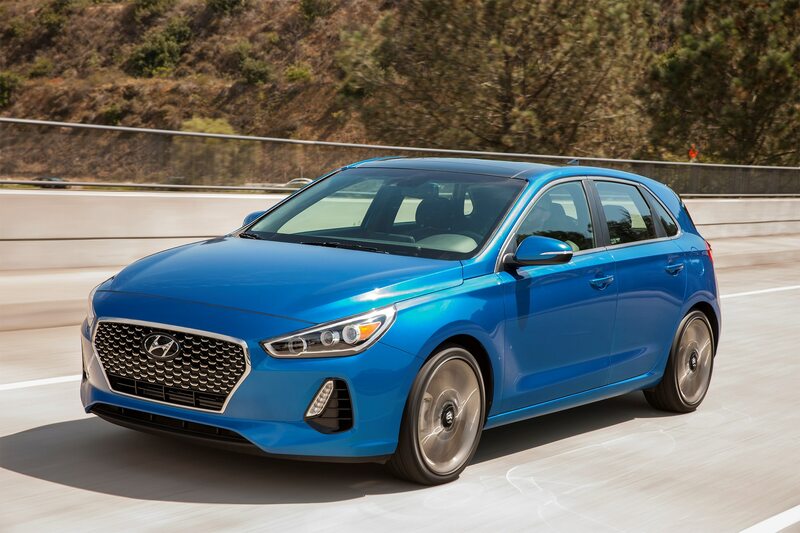 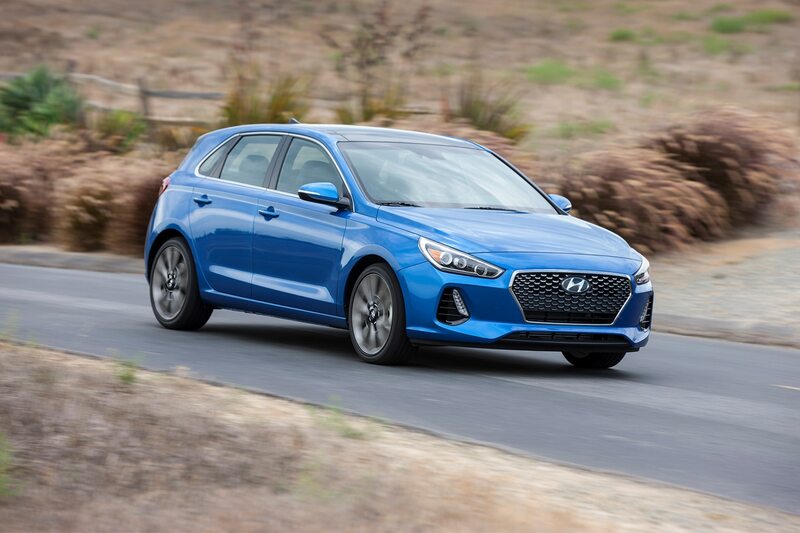 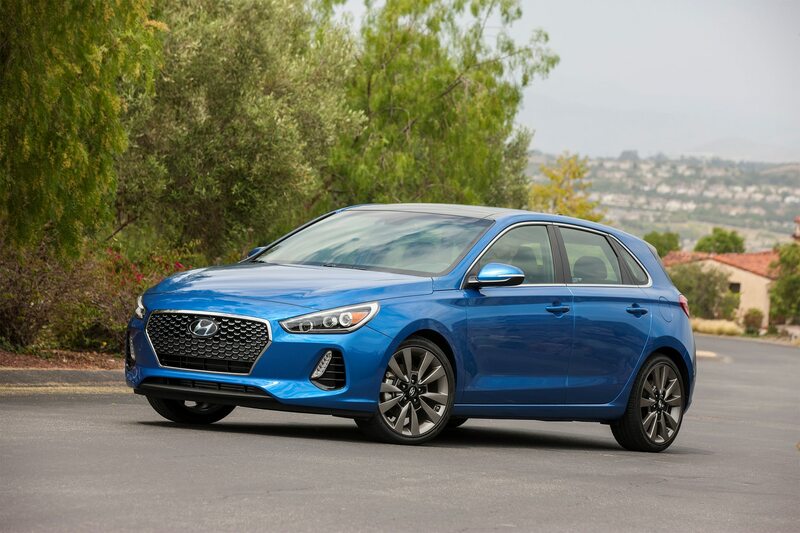 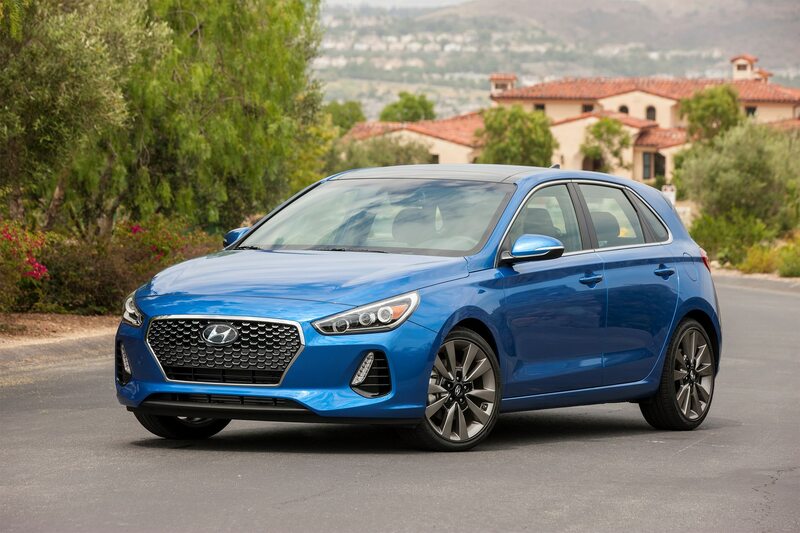 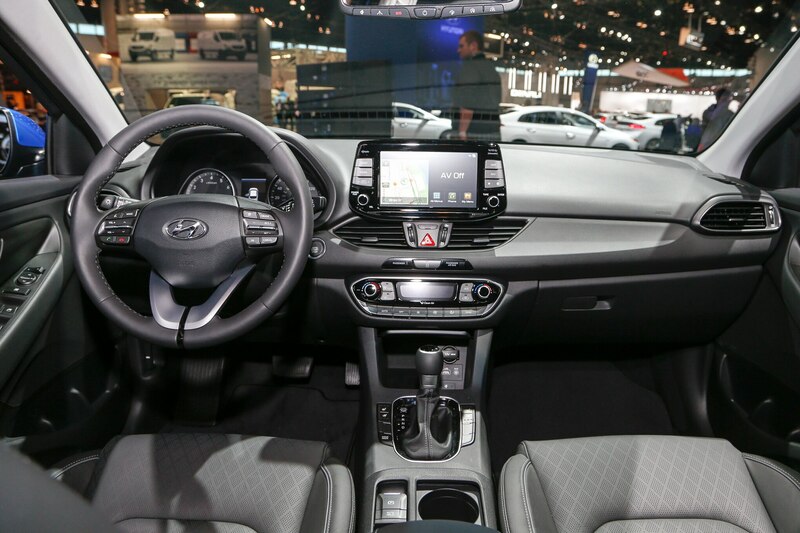 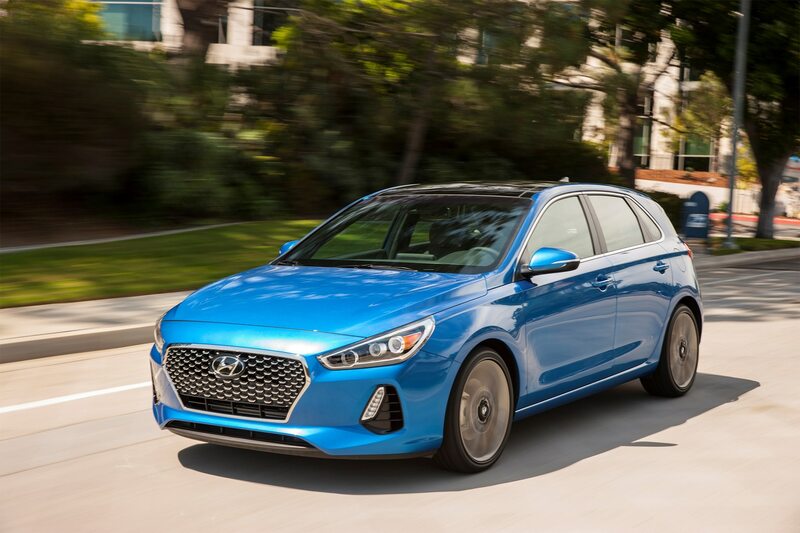 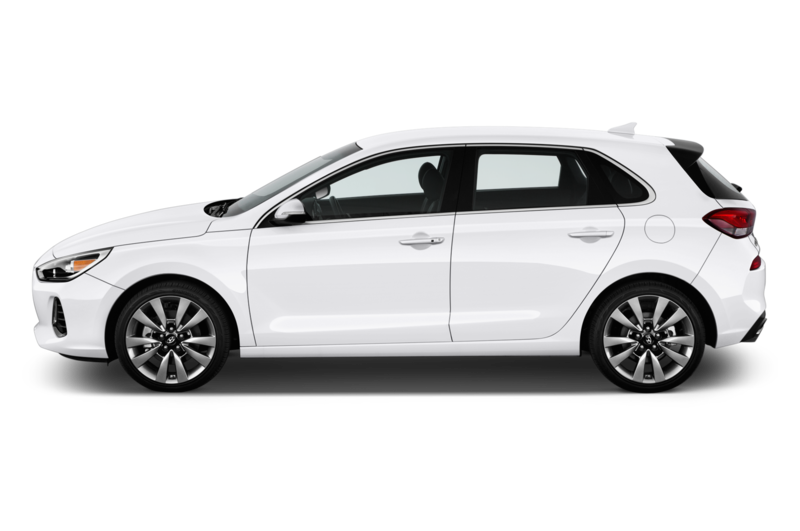 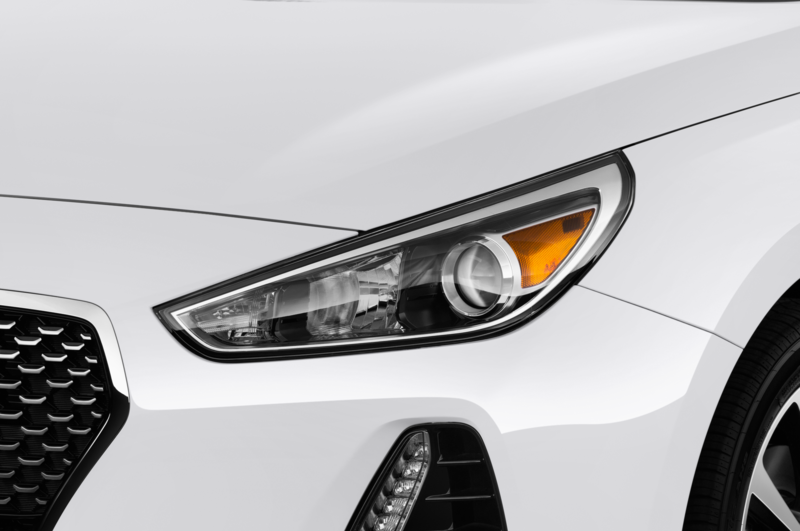 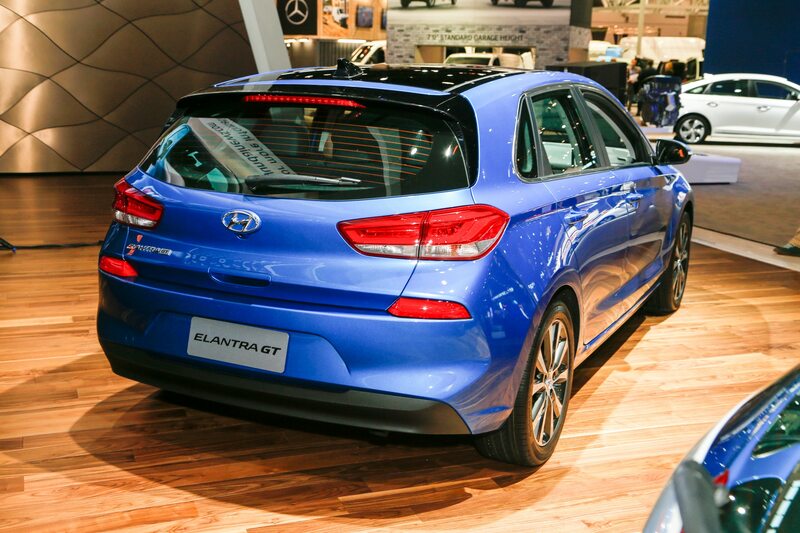 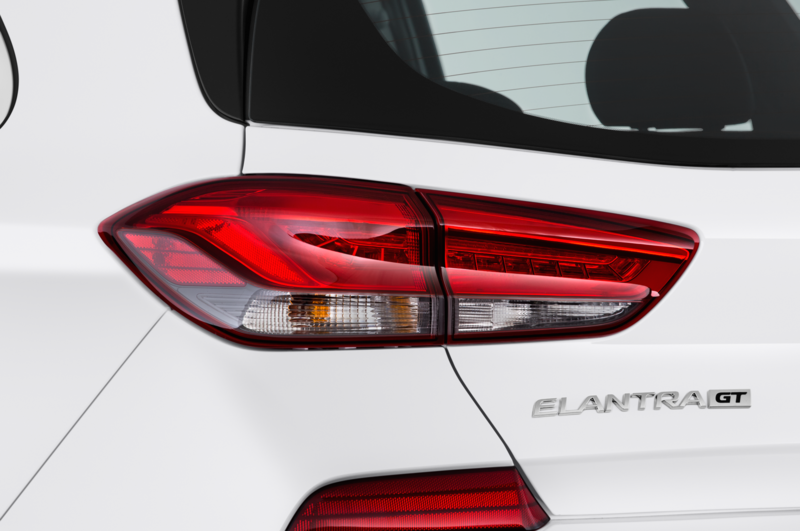 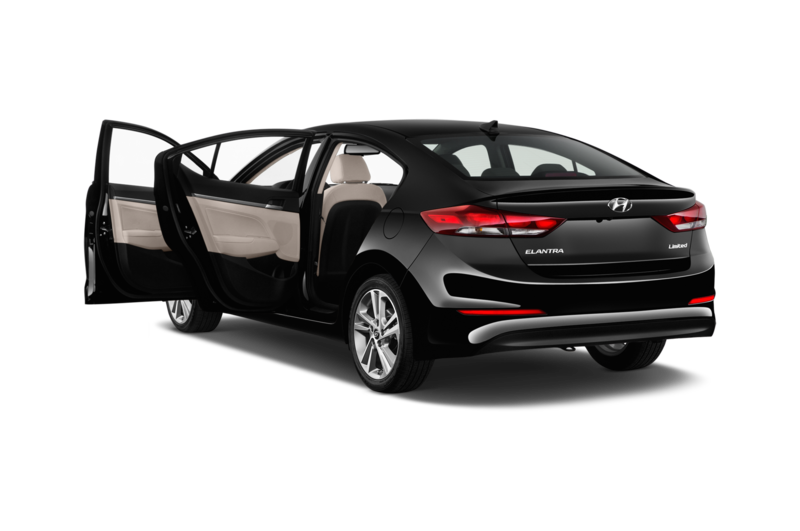 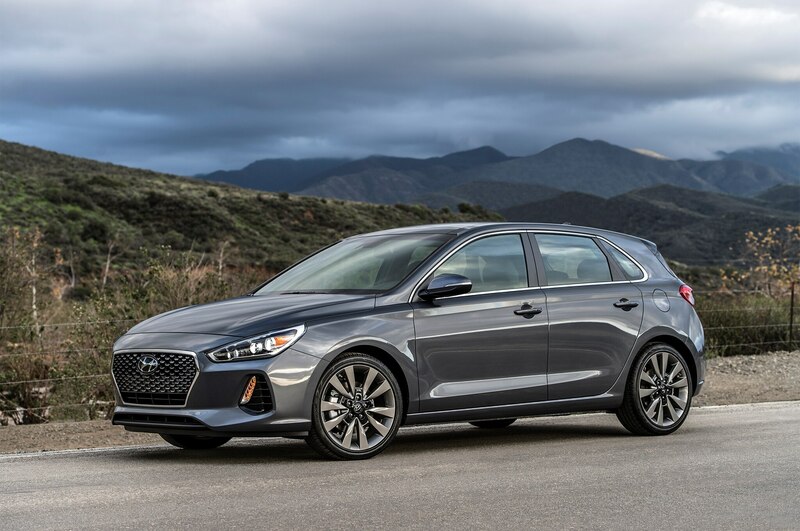 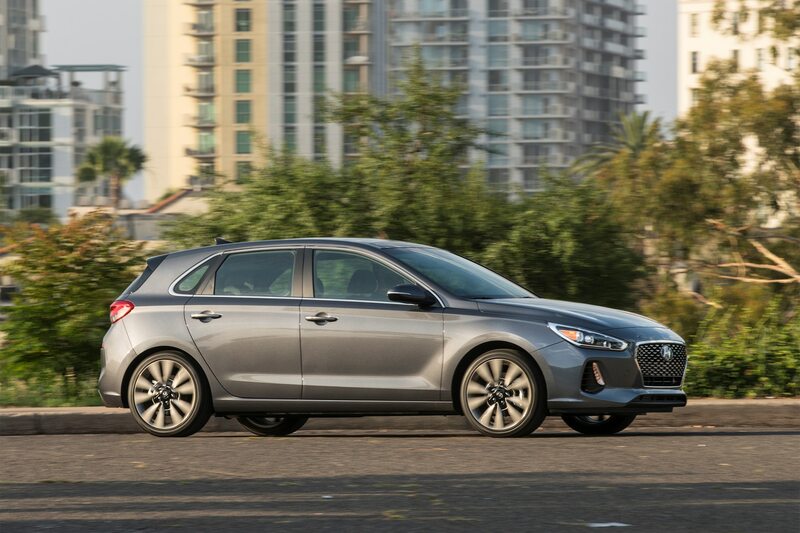 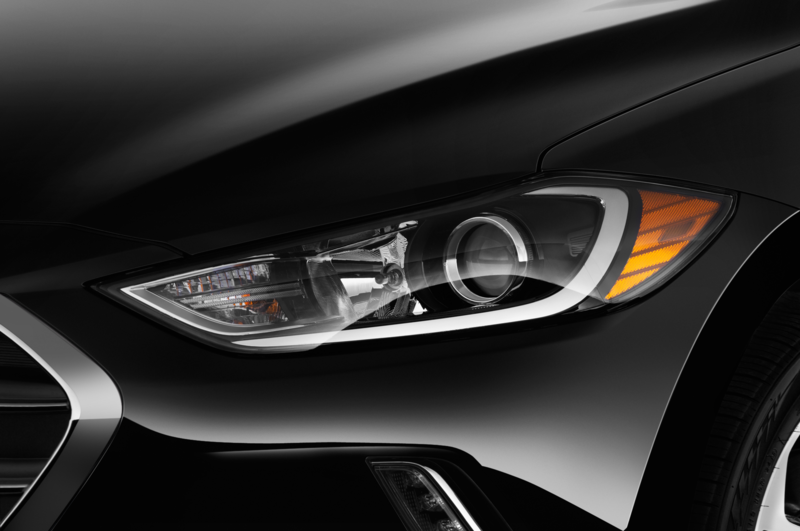 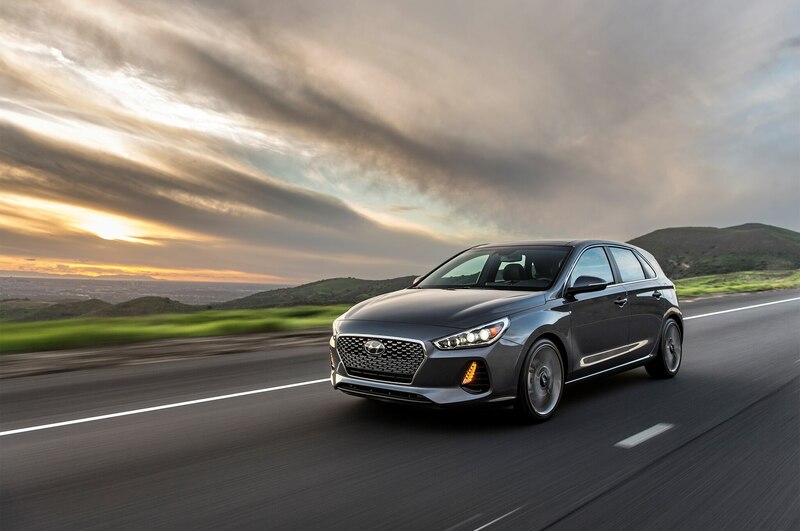 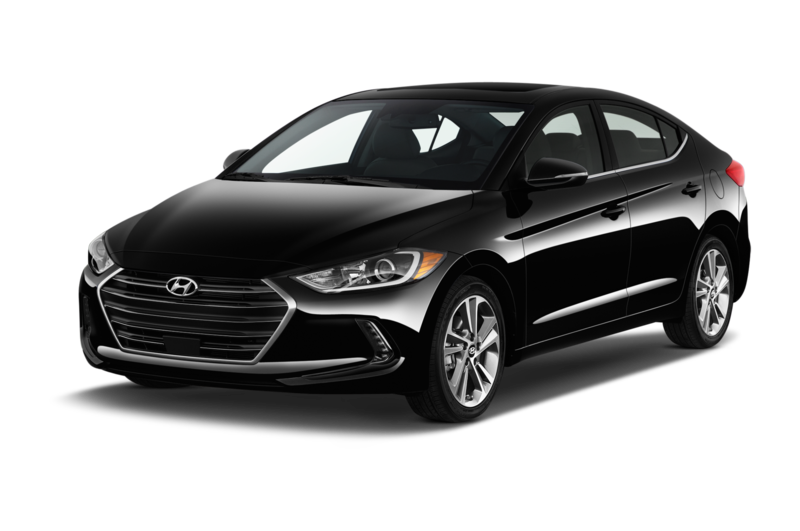 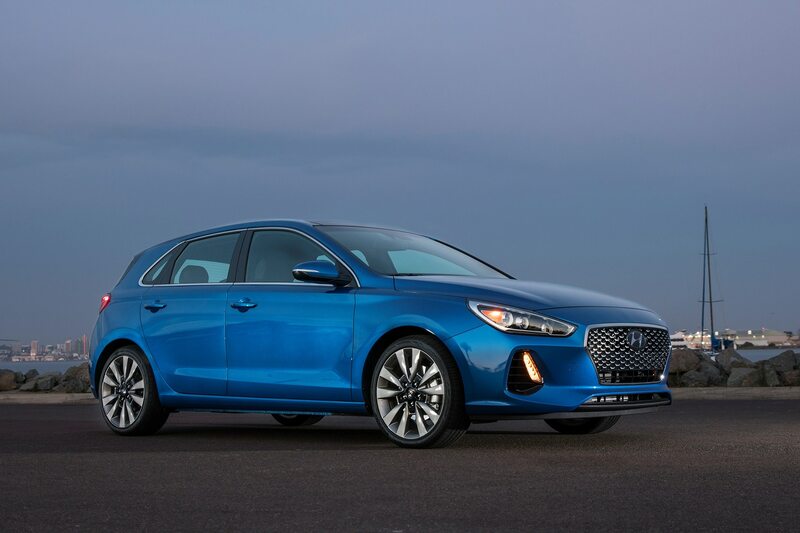 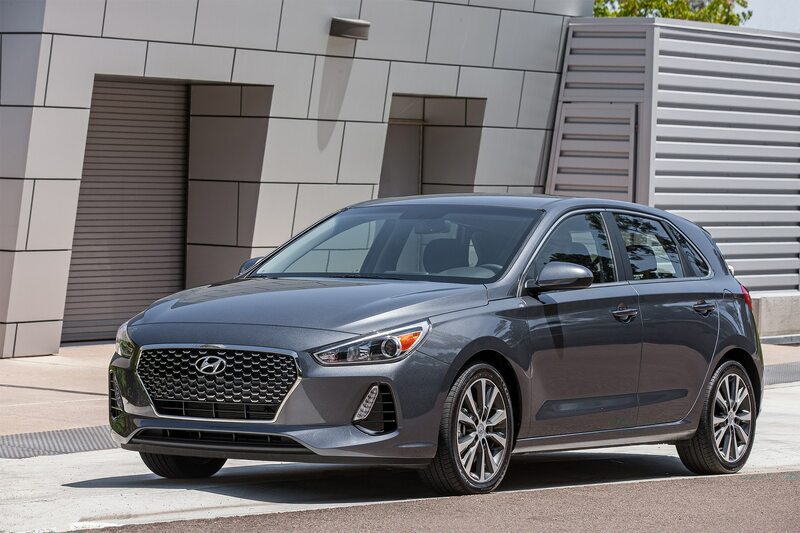 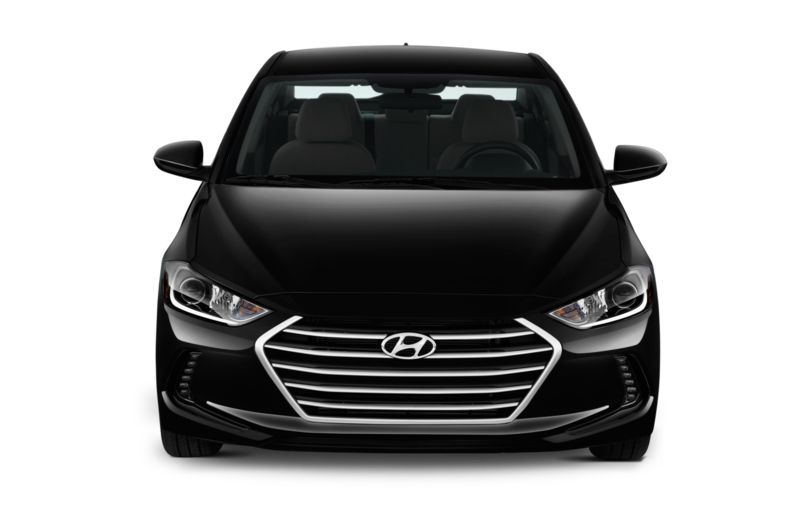 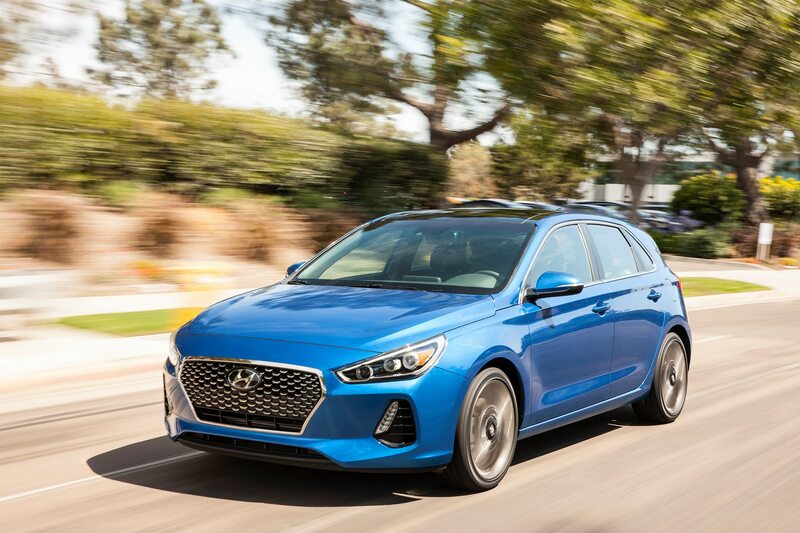 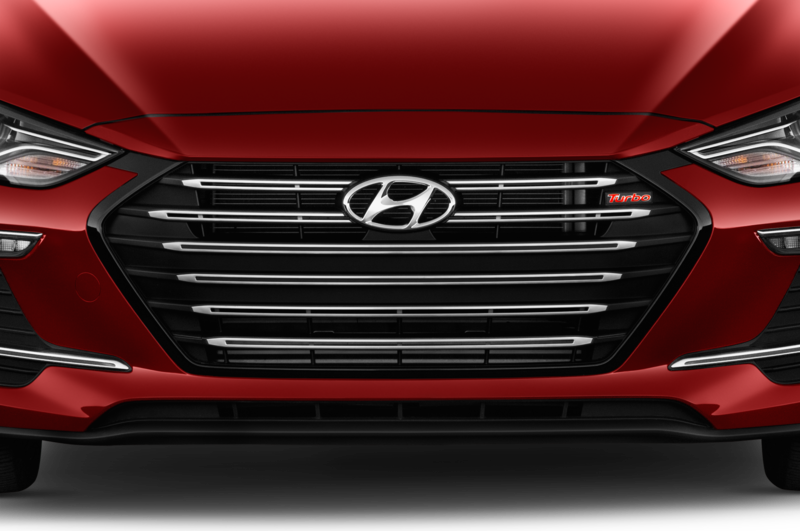 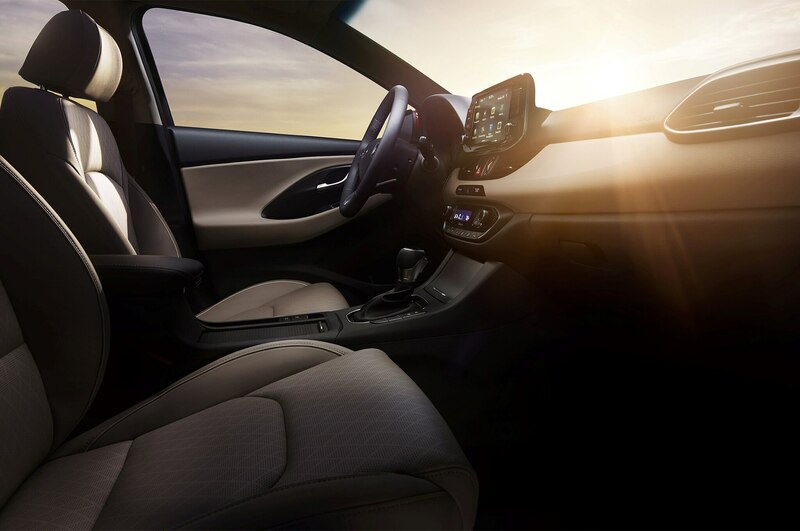 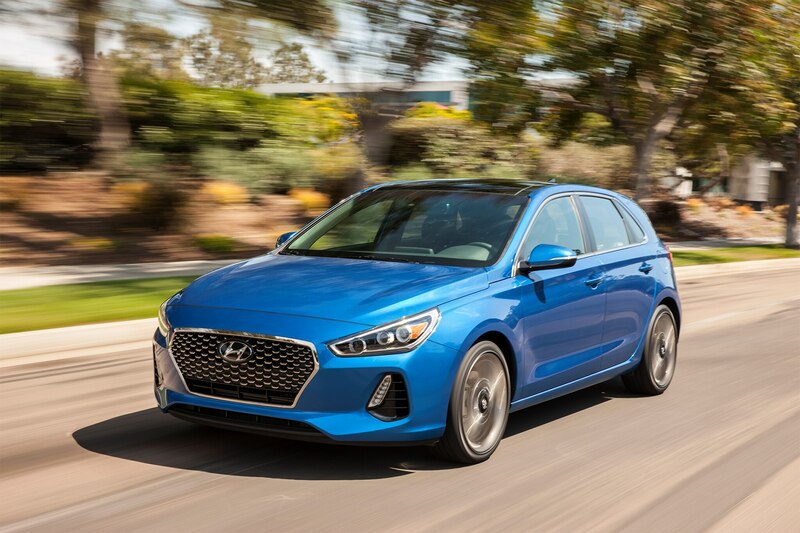 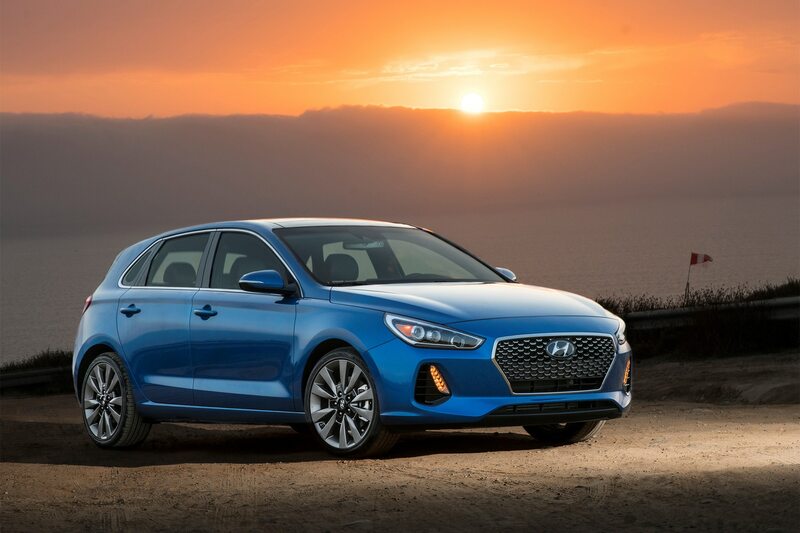 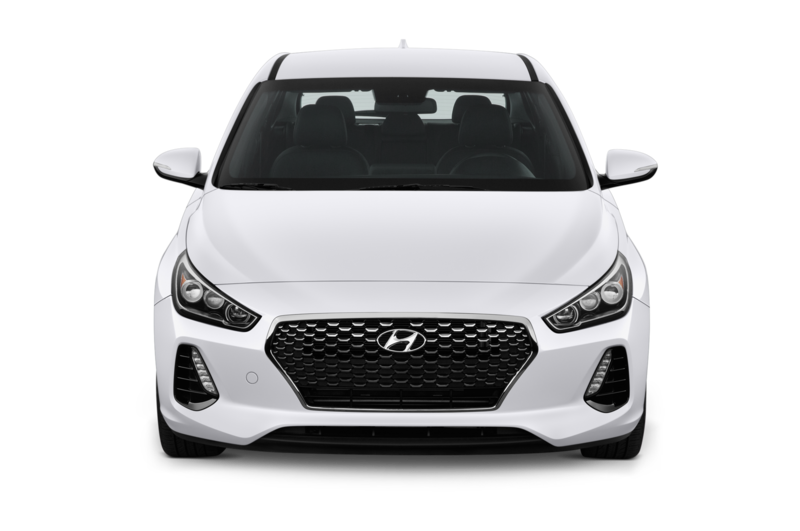 The latest offering from the Korean automaker is the 2018 Hyundai Elantra GT hatchback, which was unveiled at the 2017 Chicago Auto Show. 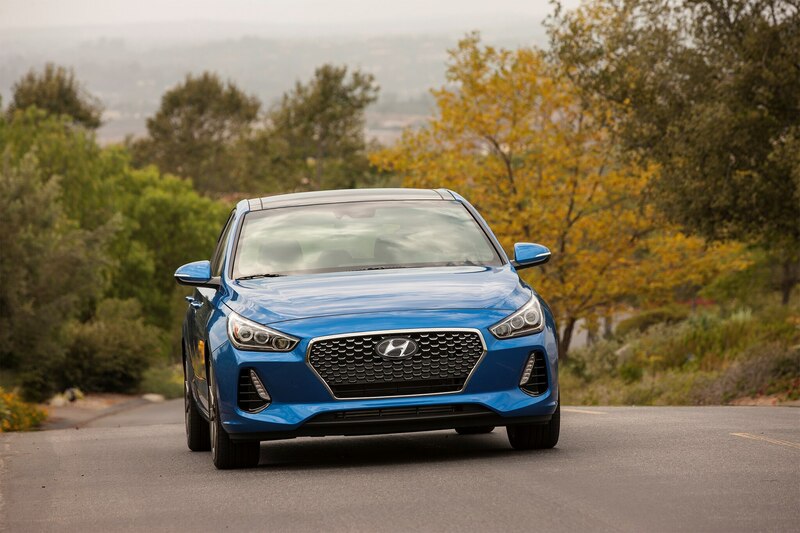 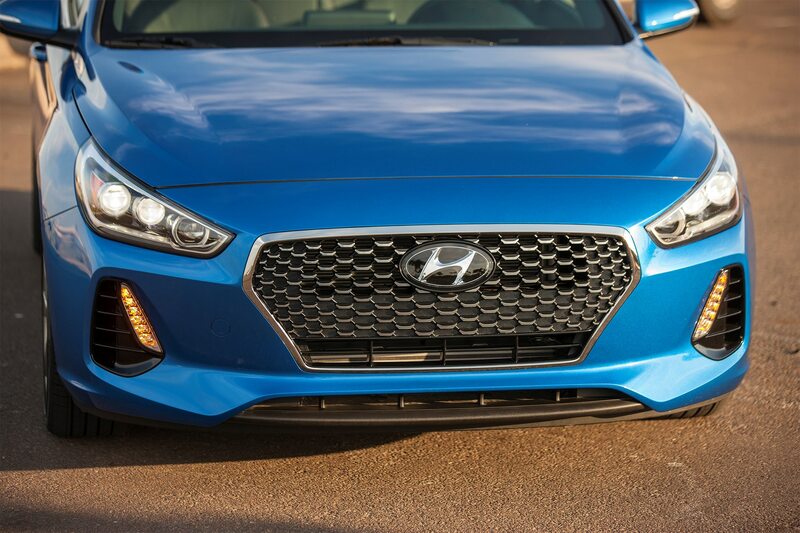 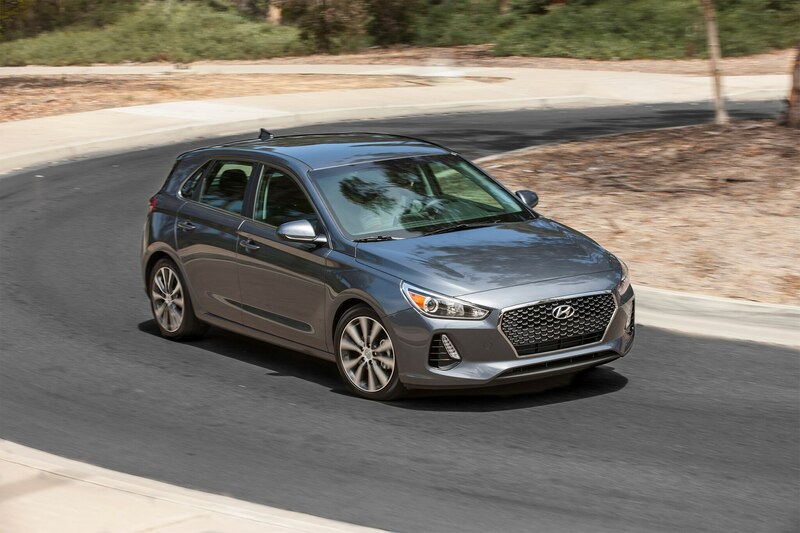 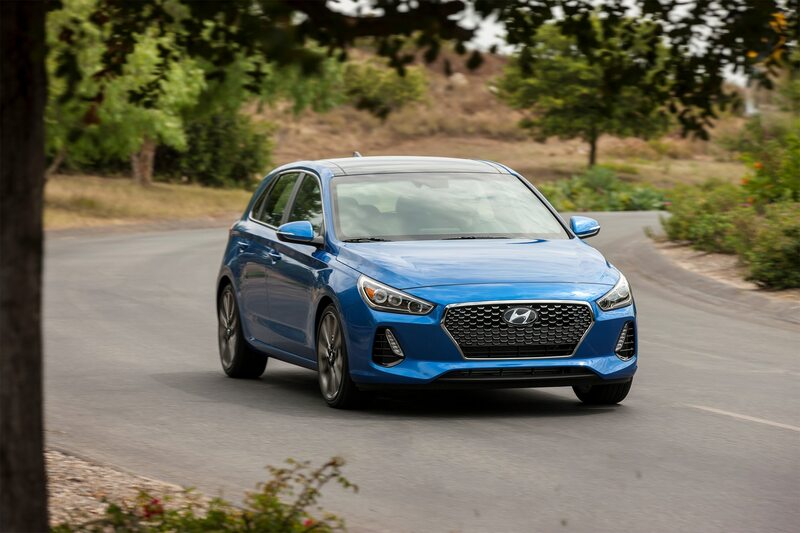 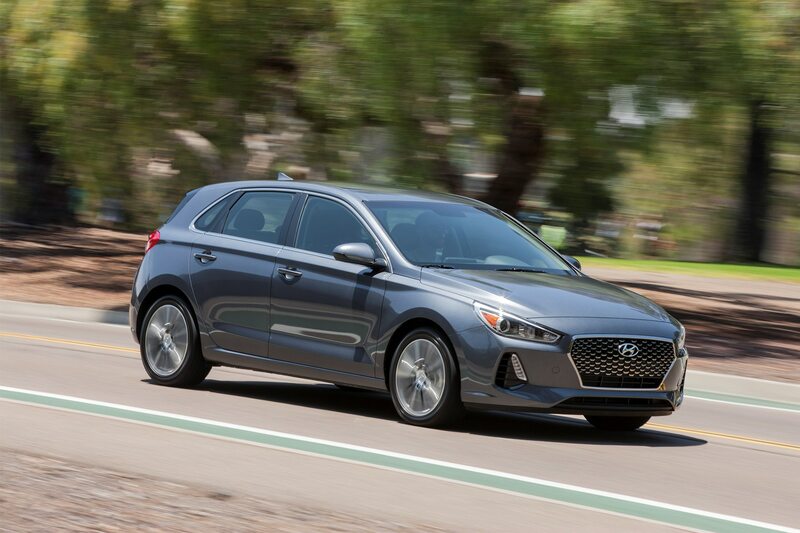 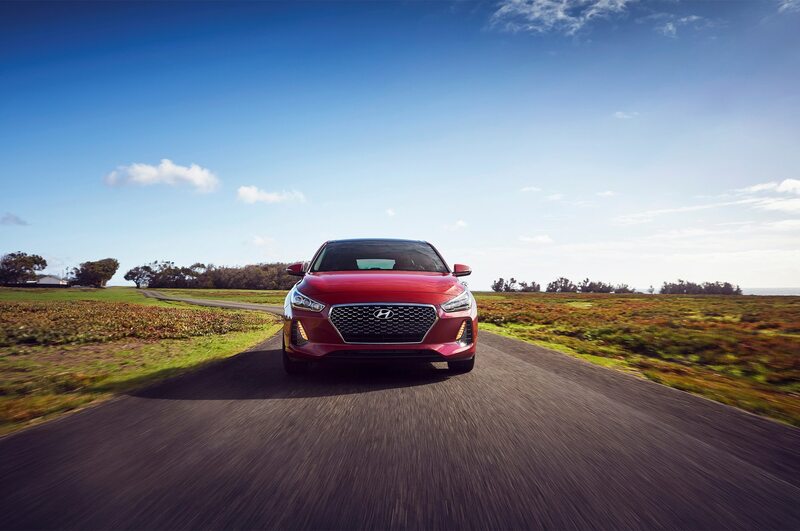 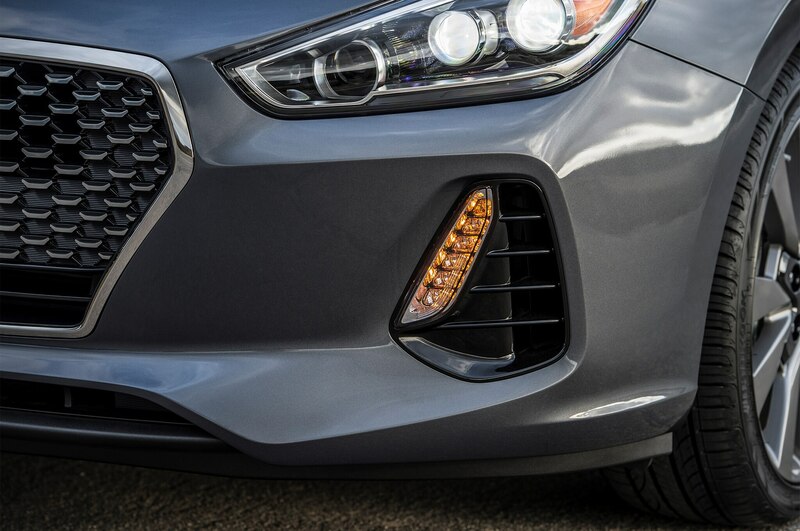 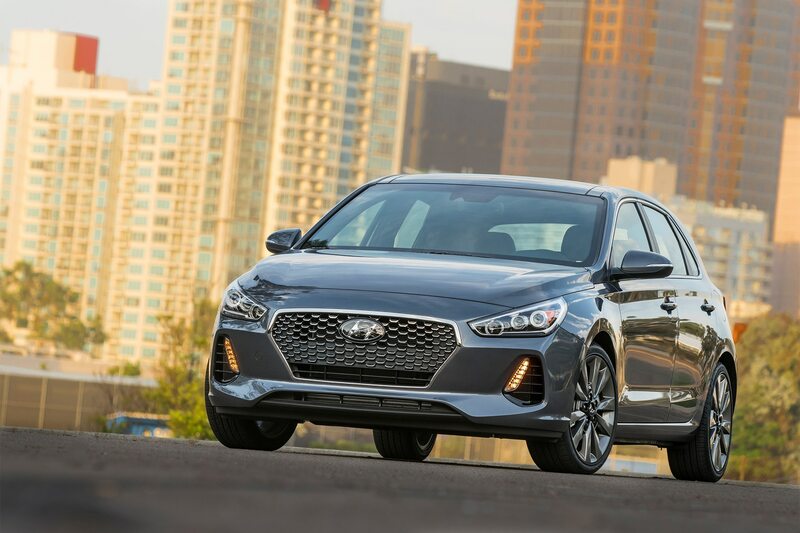 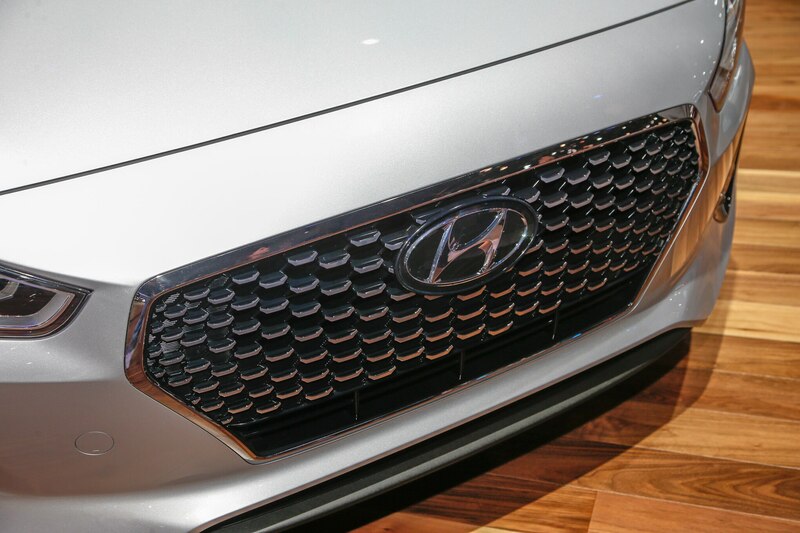 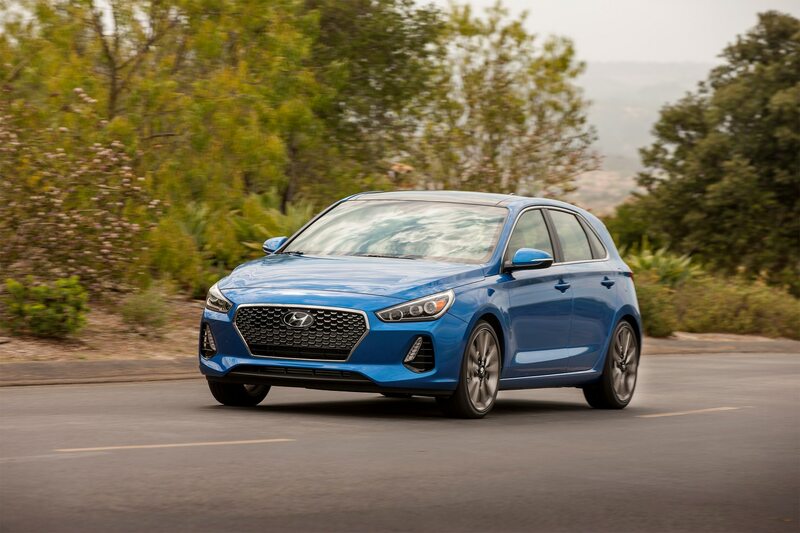 Hyundai says that the all-new GT is lower, wider, and longer than the outgoing model and features a more aggressive stance along with more interior volume. 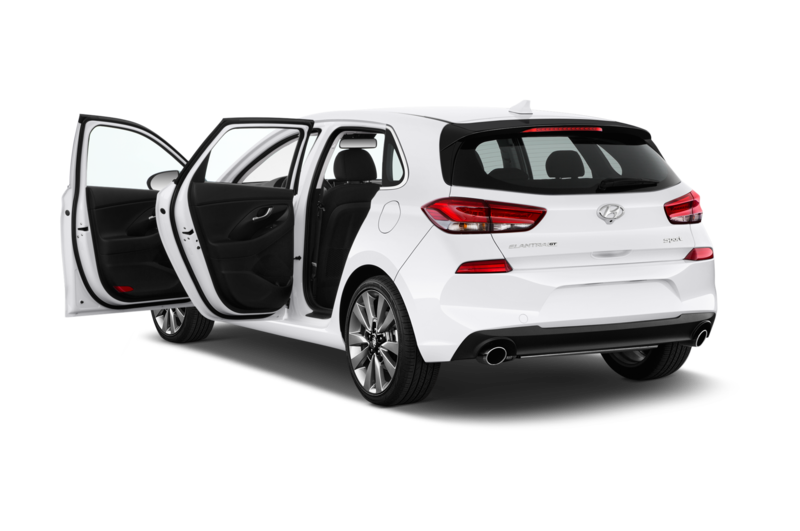 The new hatchback, which is based on the third-generation Hyundai i30 that was unveiled last year at the 2016 Paris Auto Show, arrives in two flavors: GT and GT Sport. 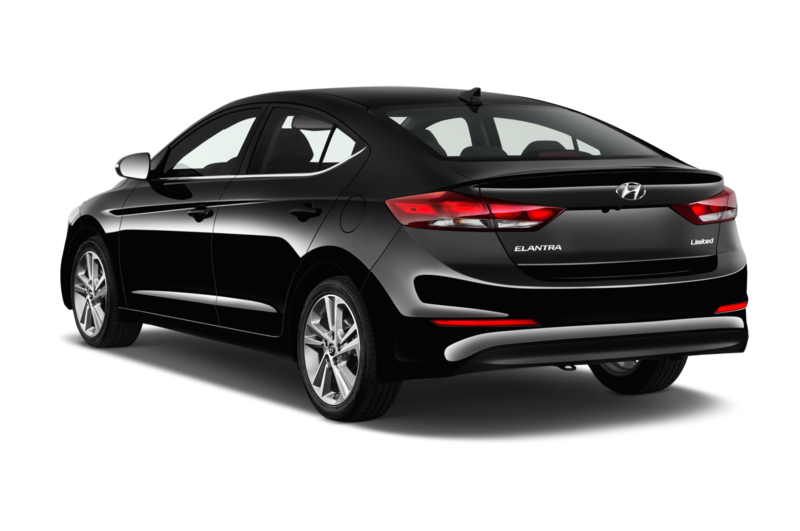 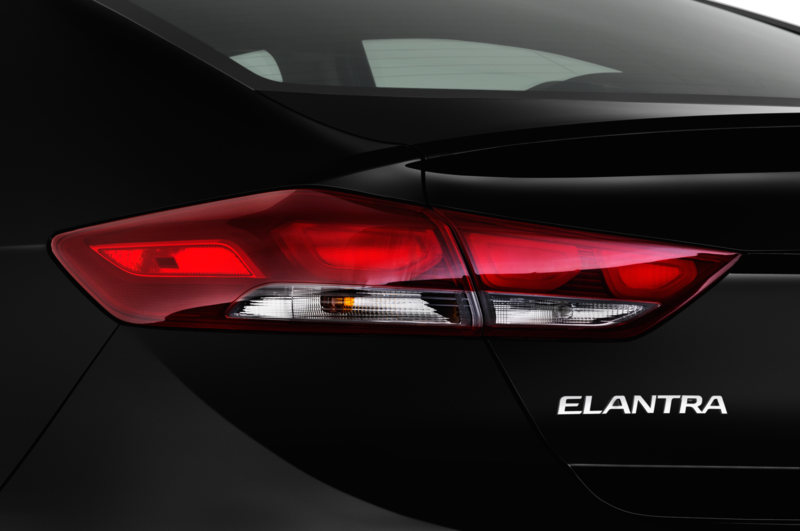 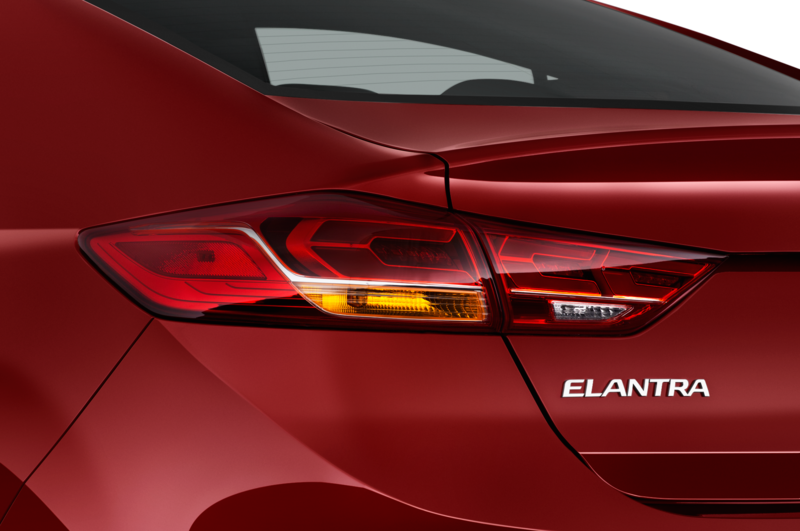 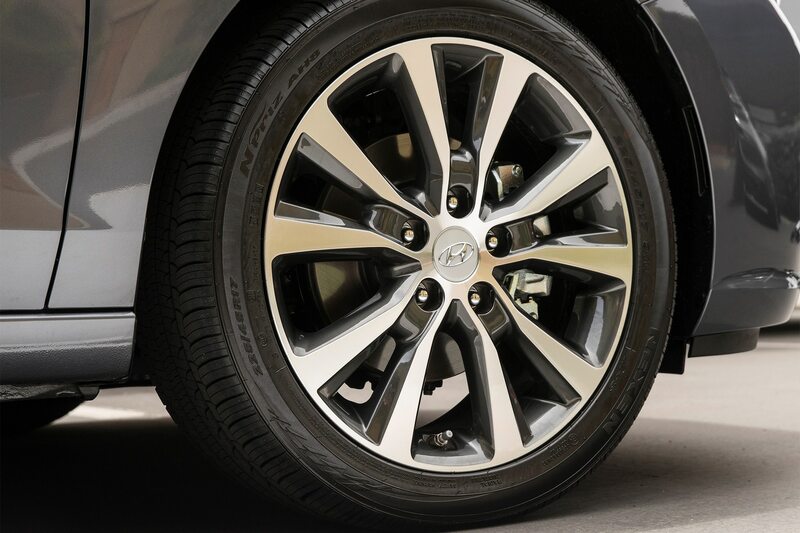 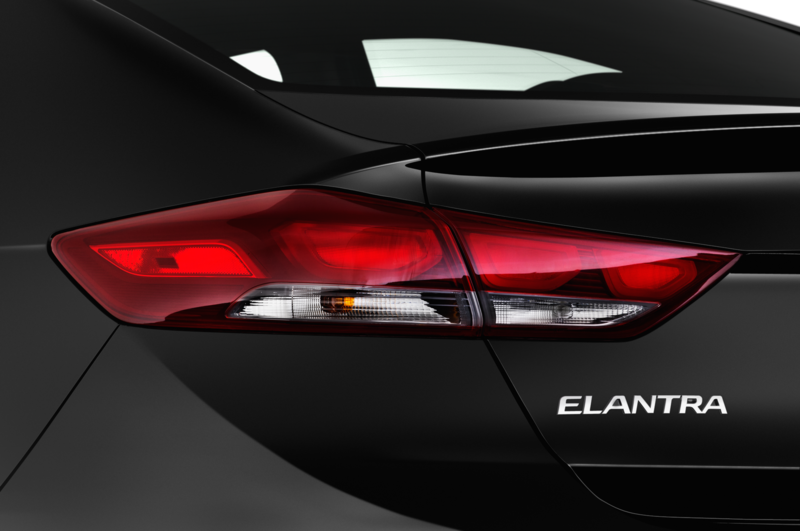 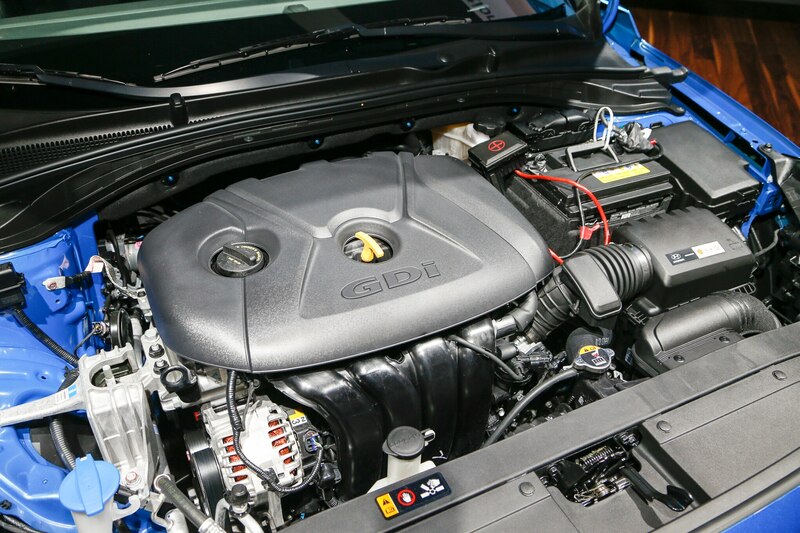 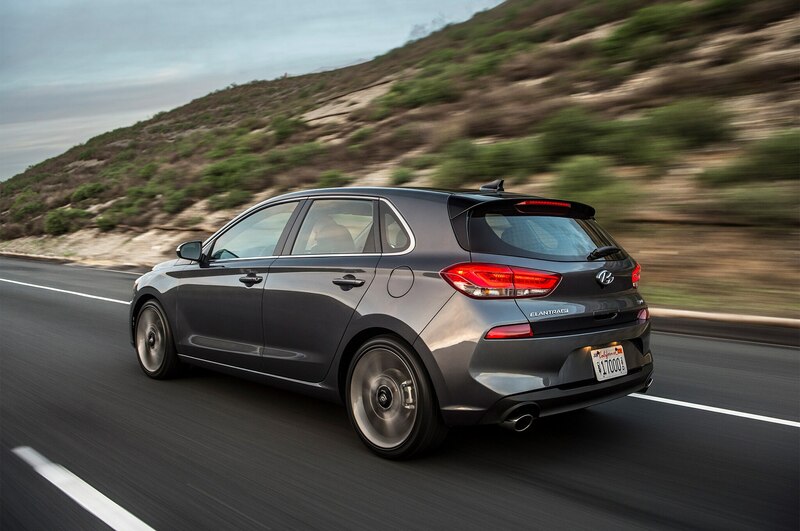 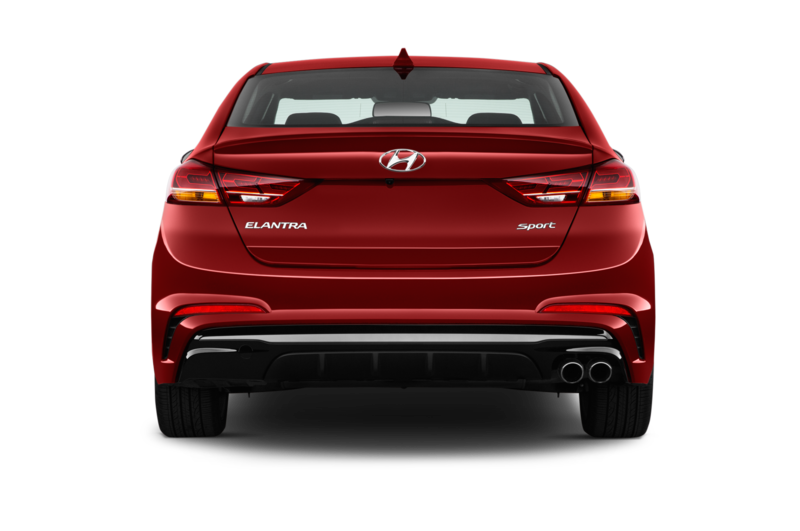 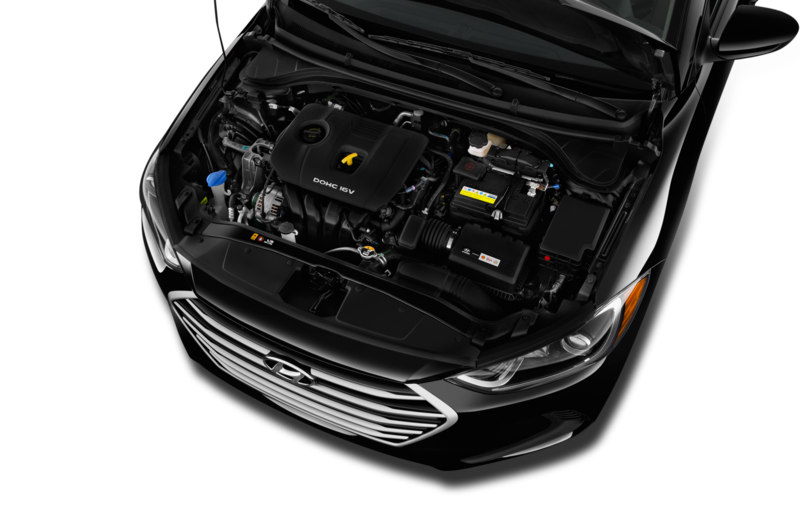 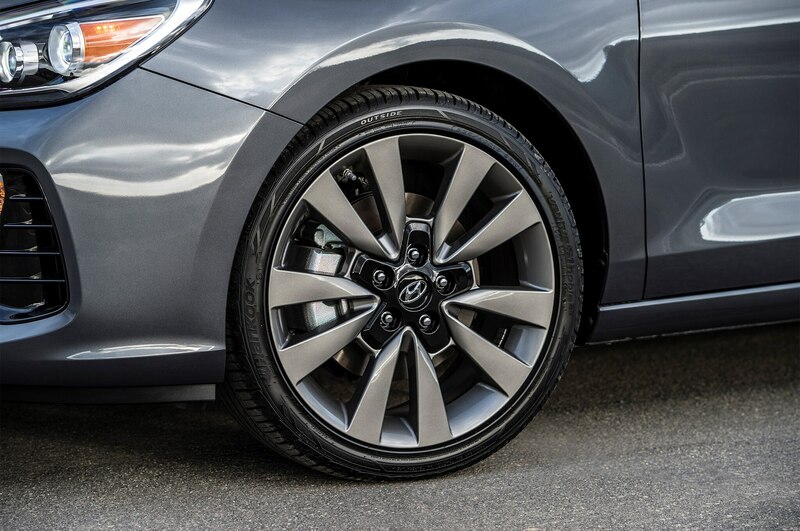 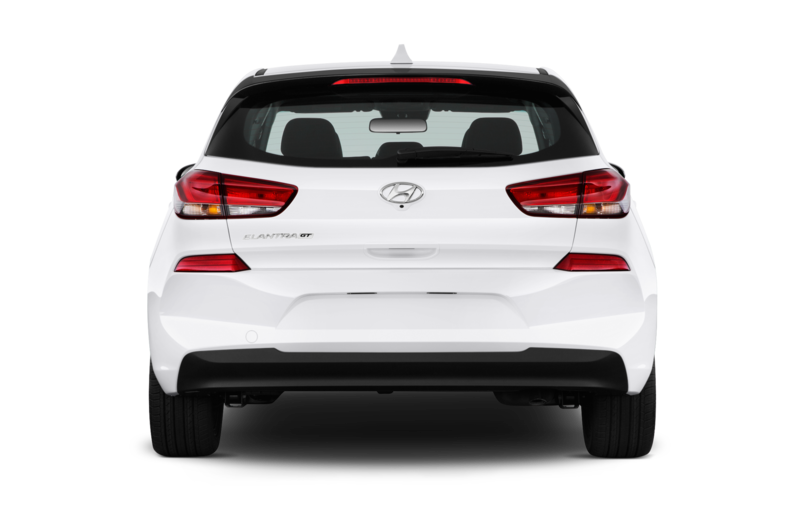 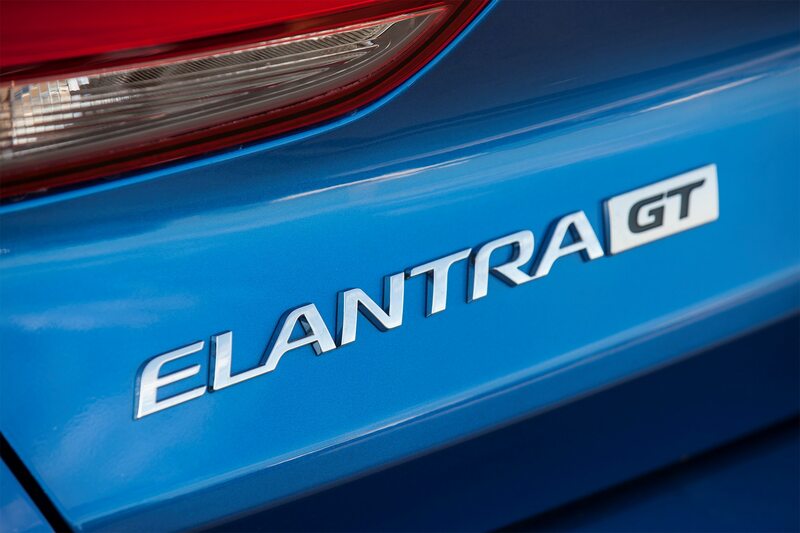 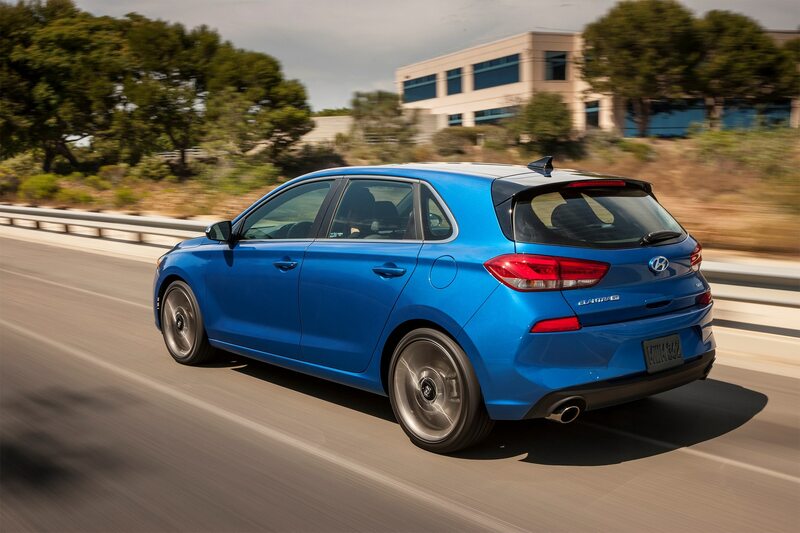 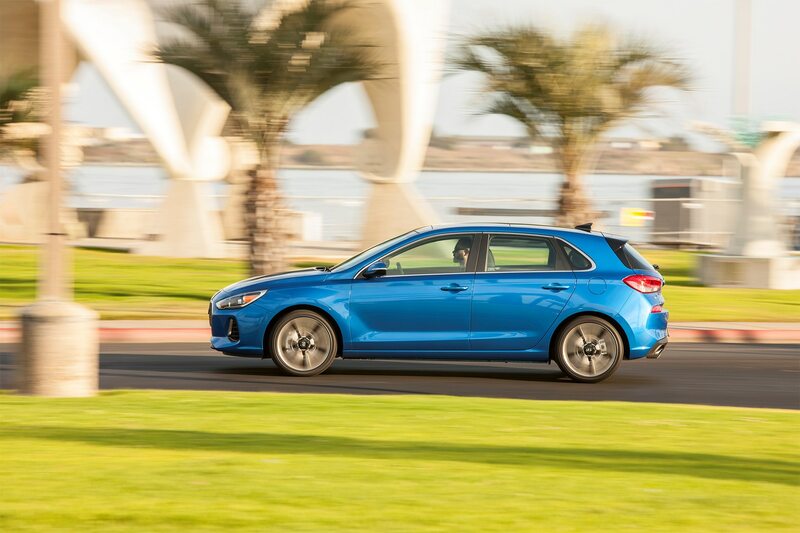 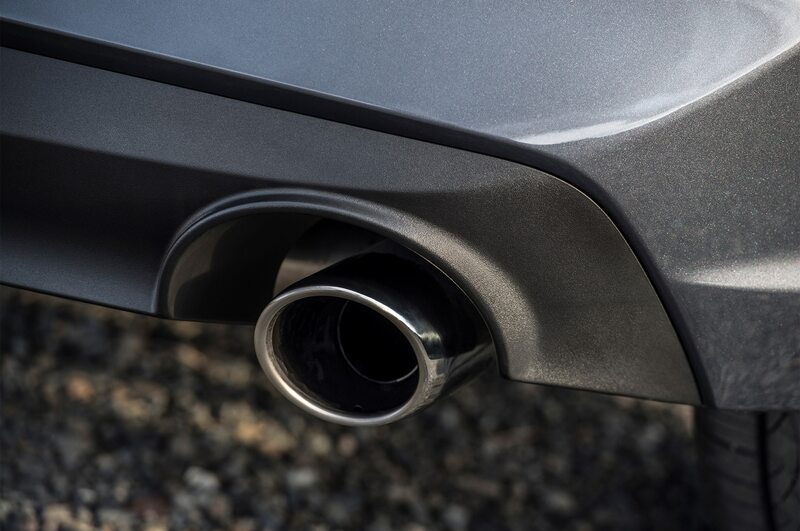 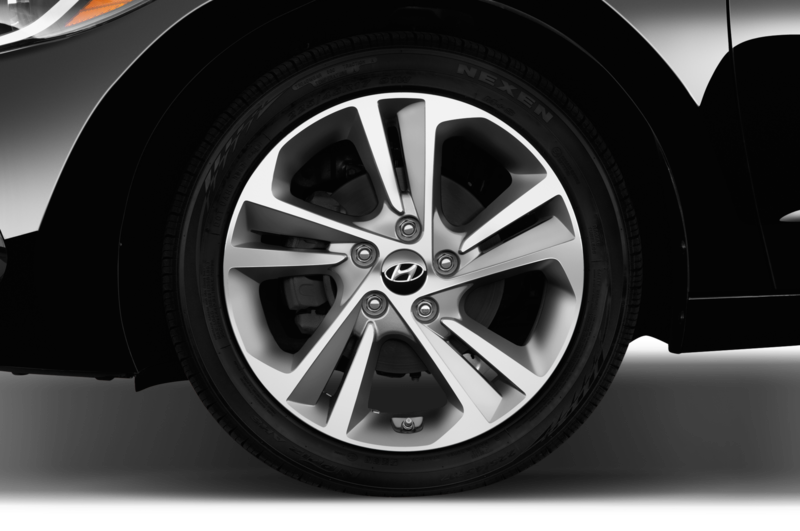 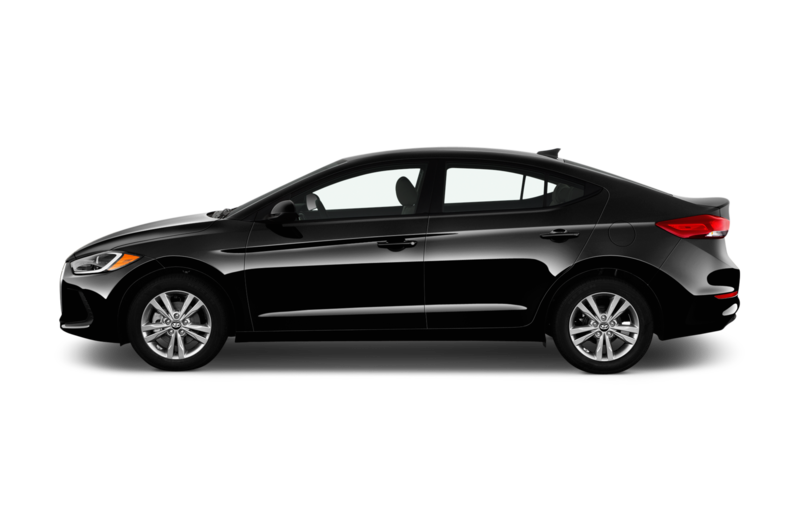 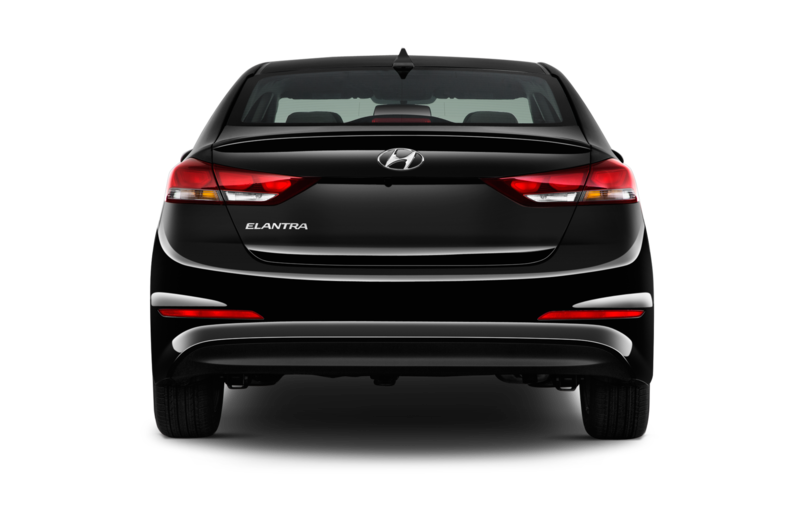 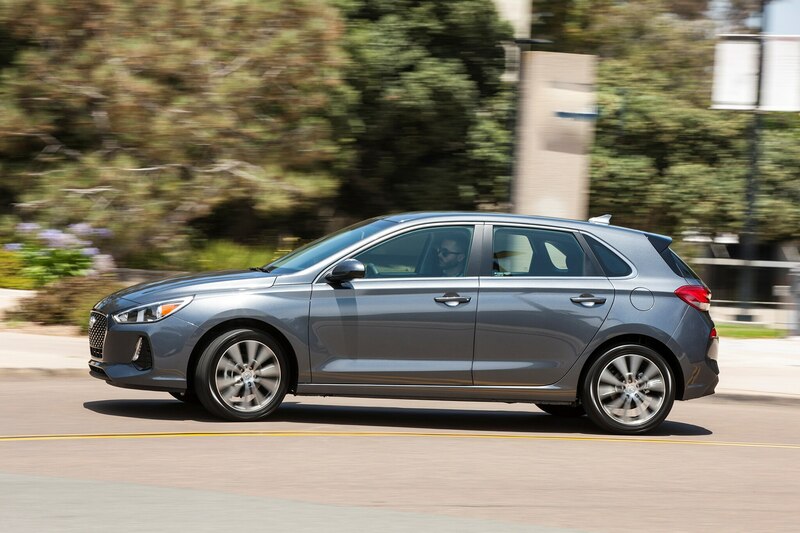 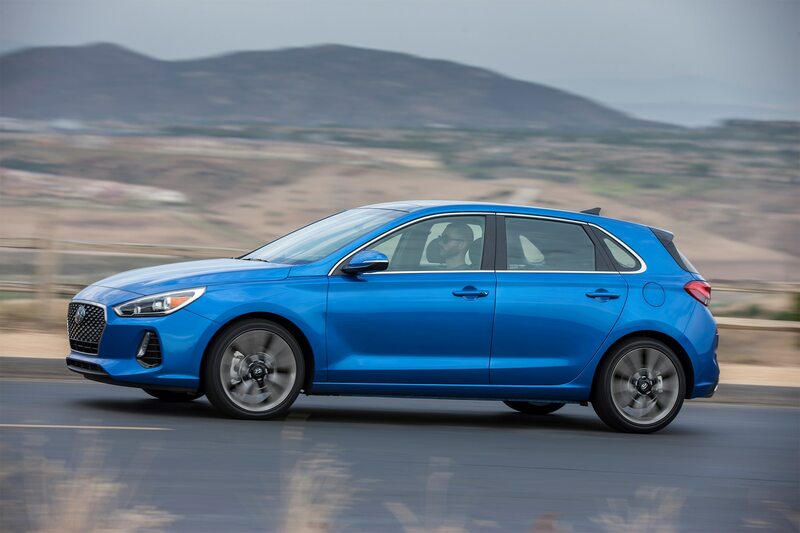 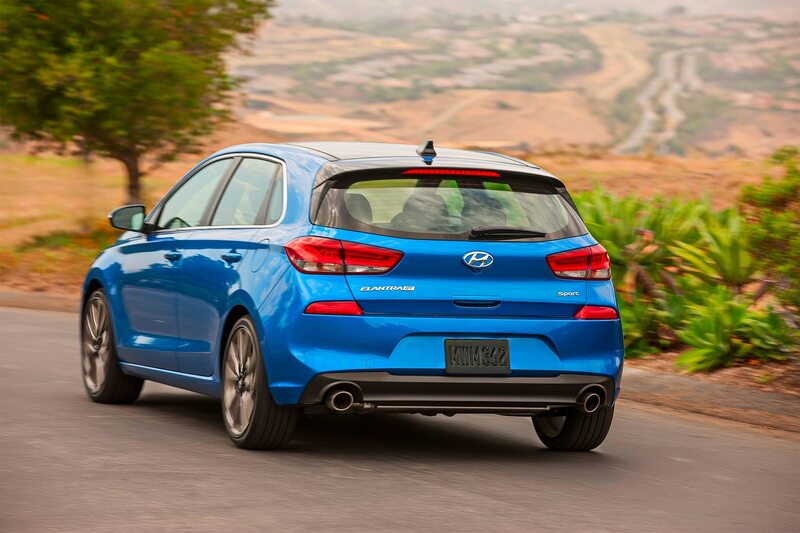 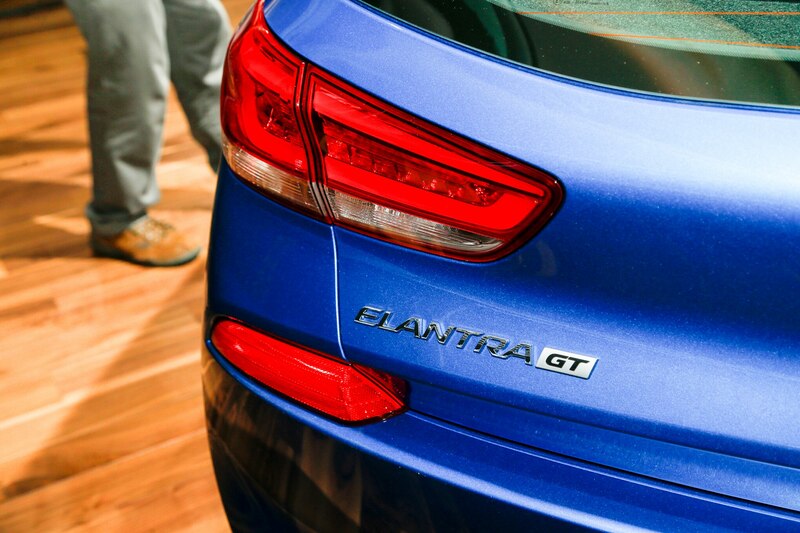 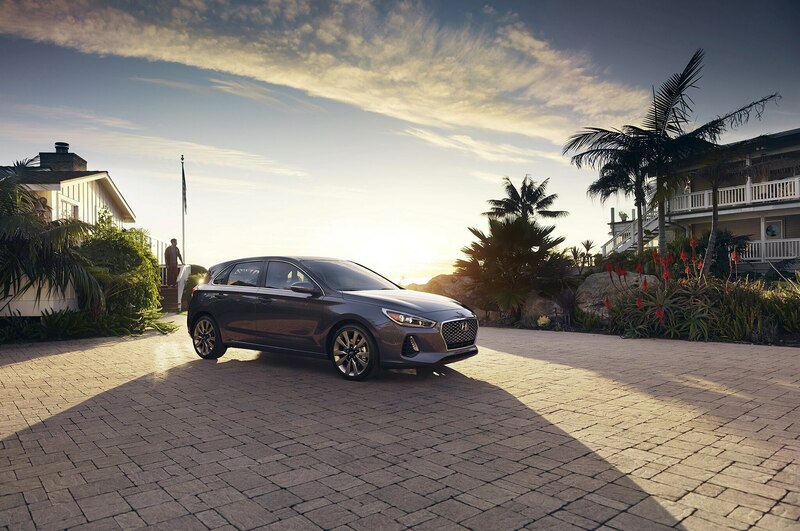 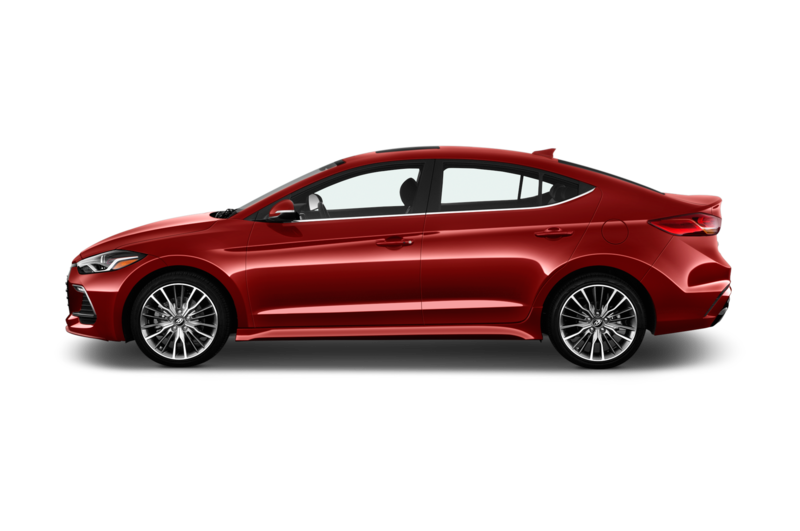 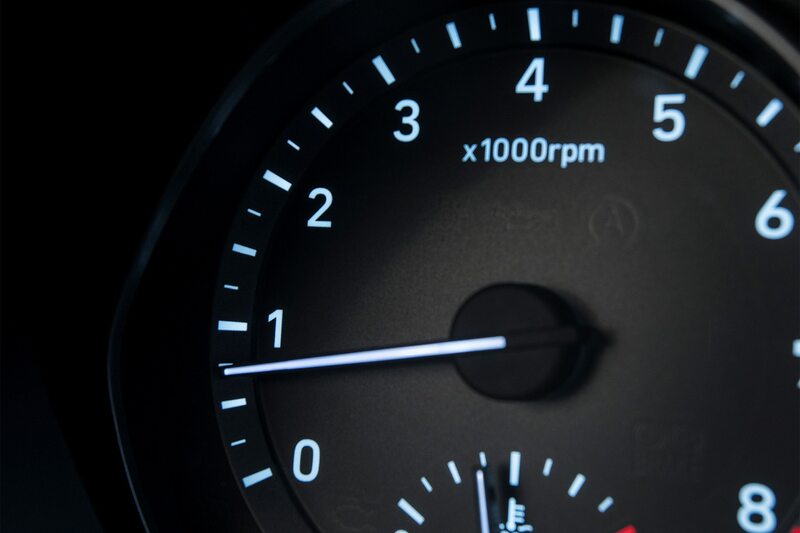 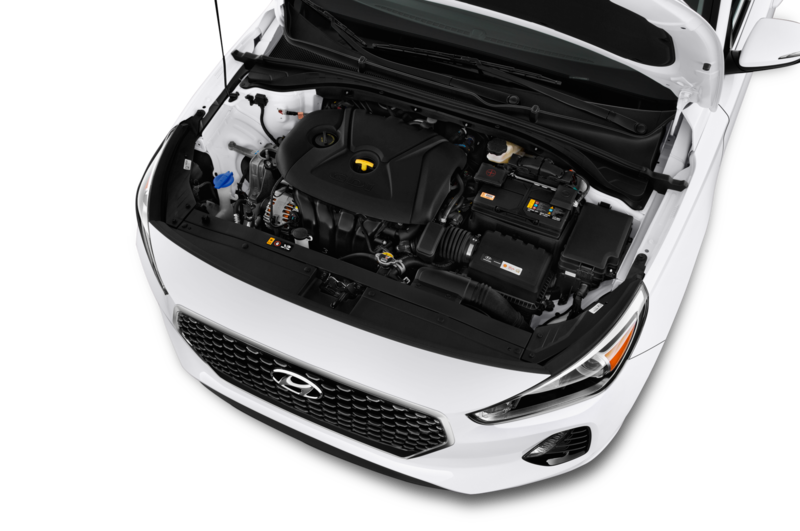 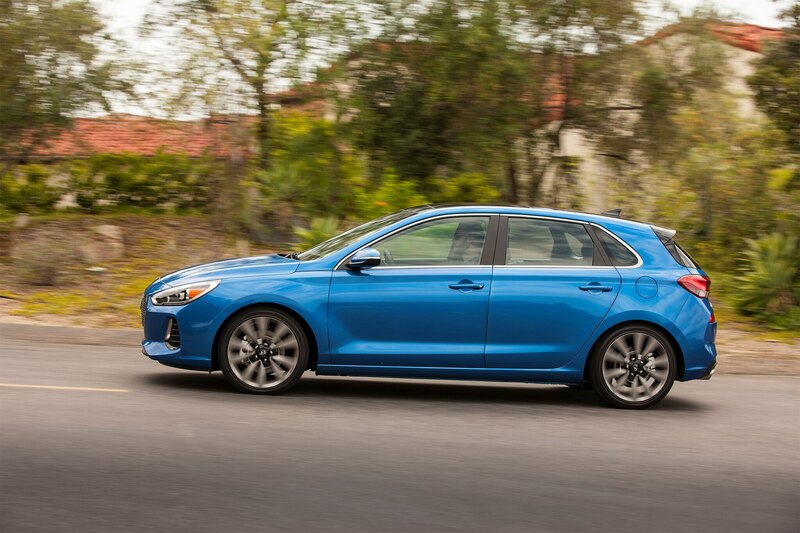 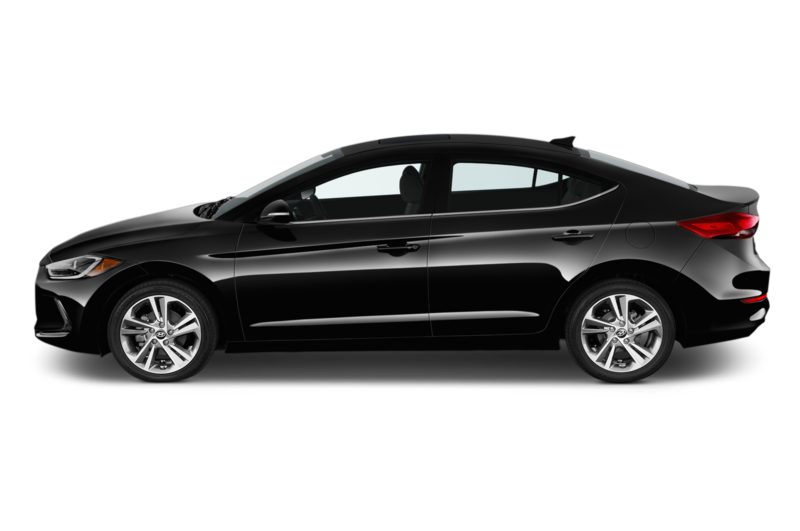 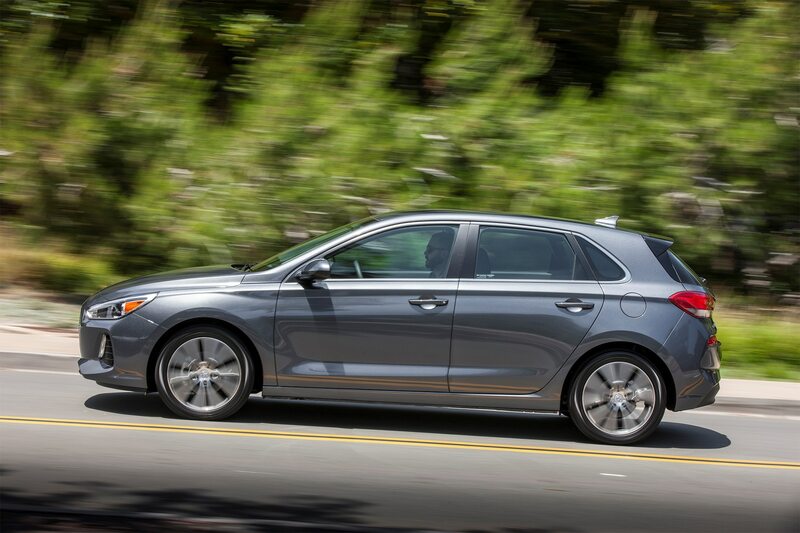 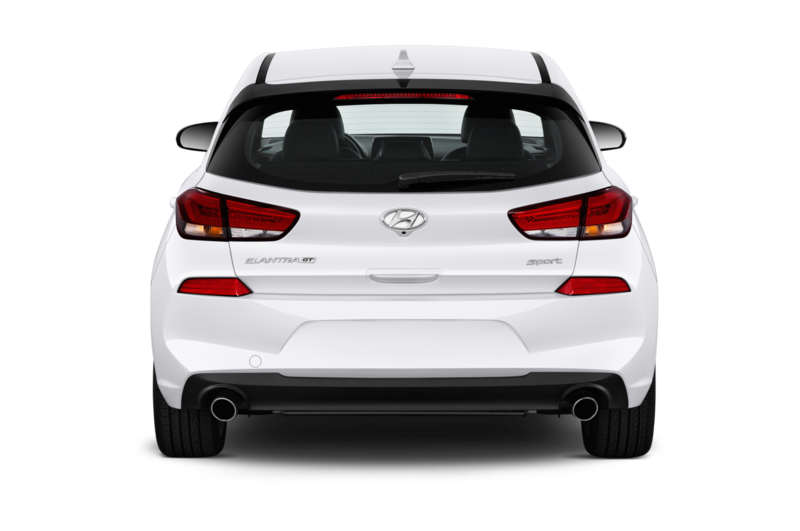 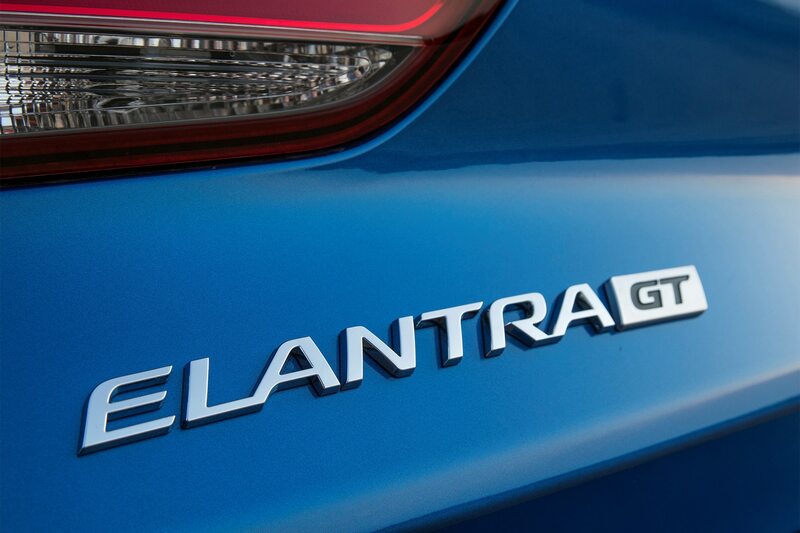 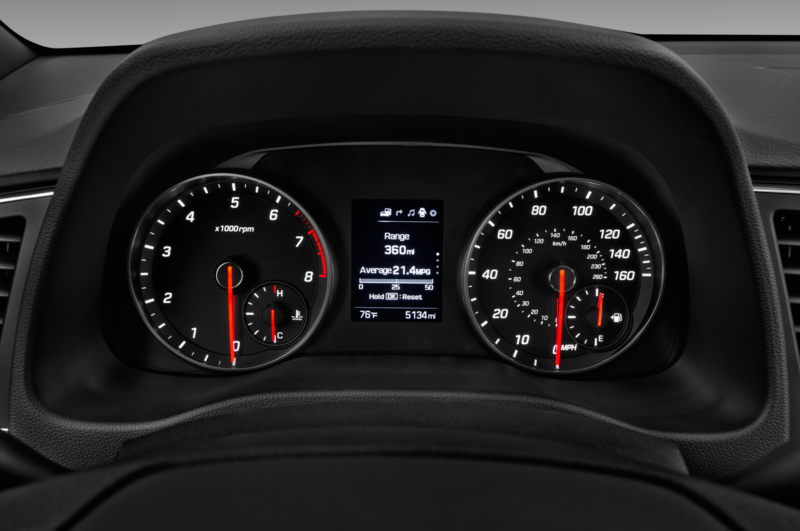 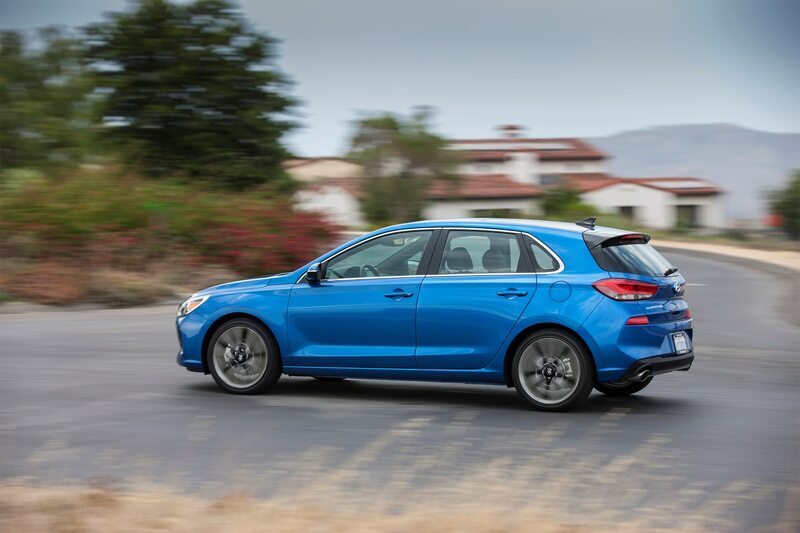 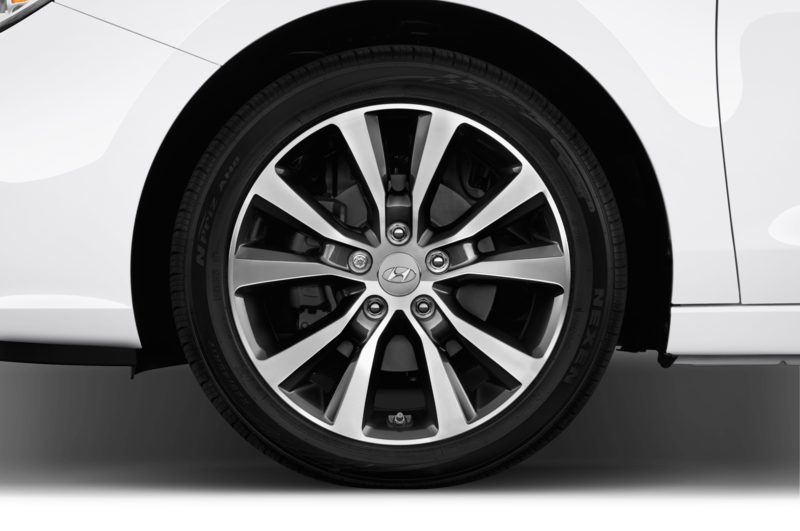 The Elantra GT comes with a 2.0-liter inline-four that doles out around 162 horsepower and a yet-to-be-specified amount of torque. 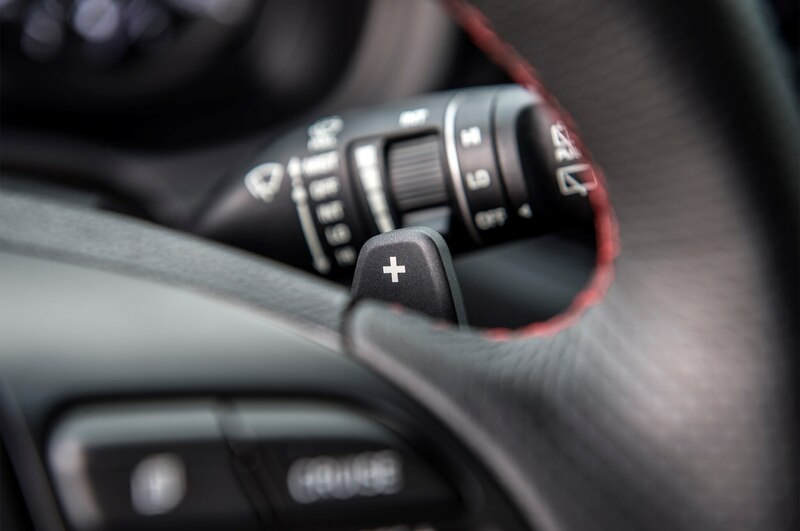 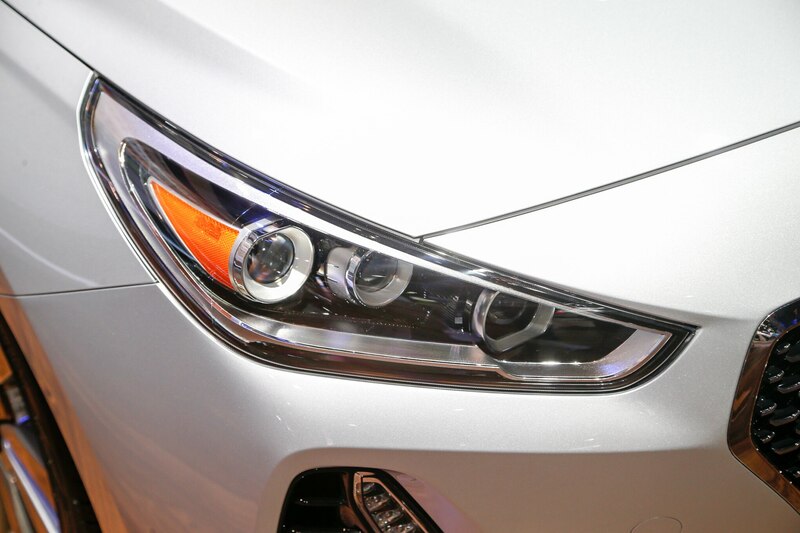 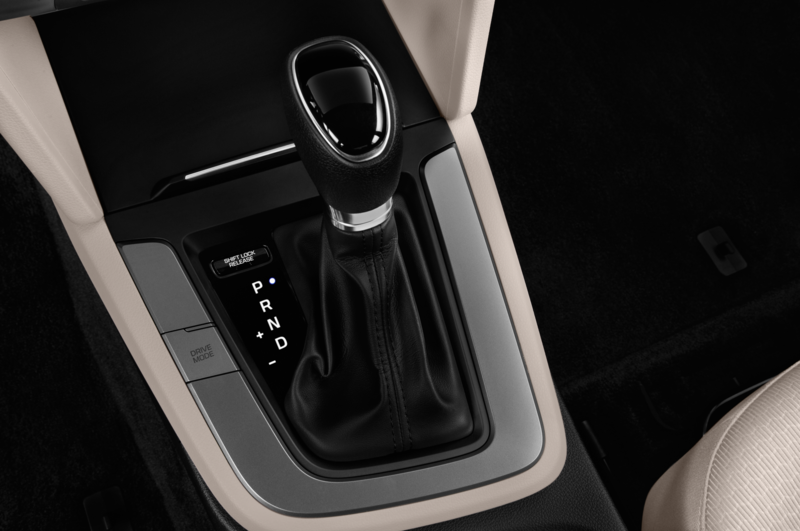 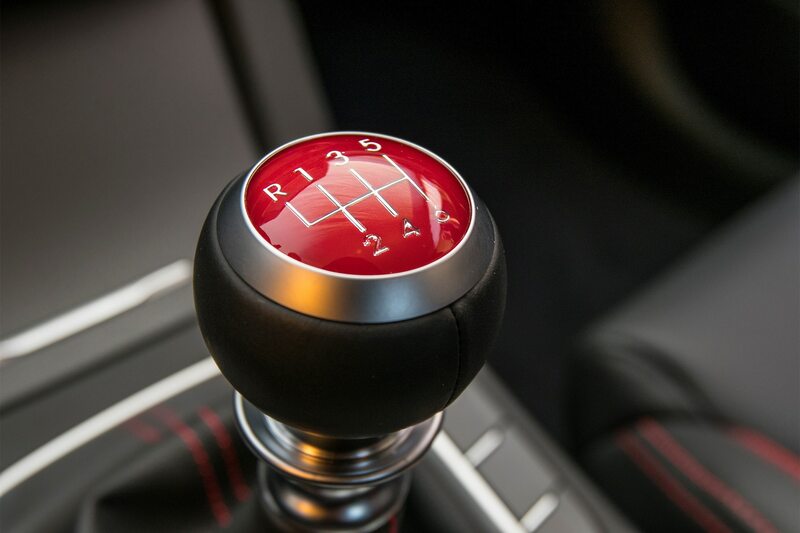 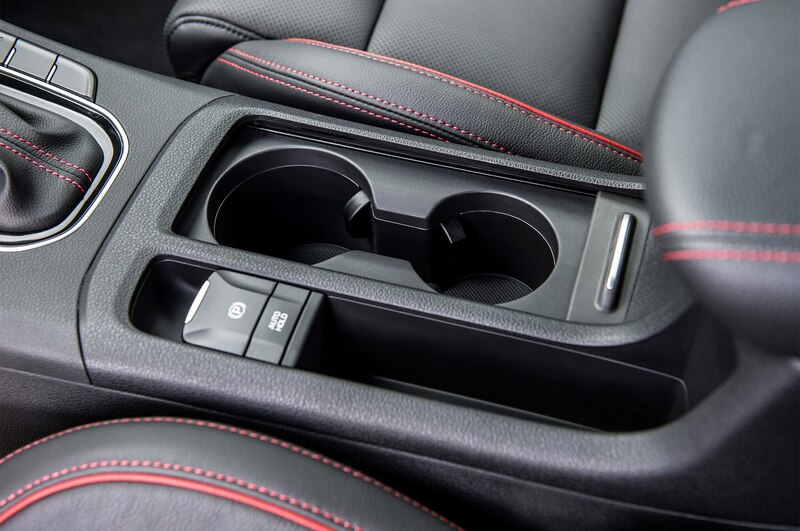 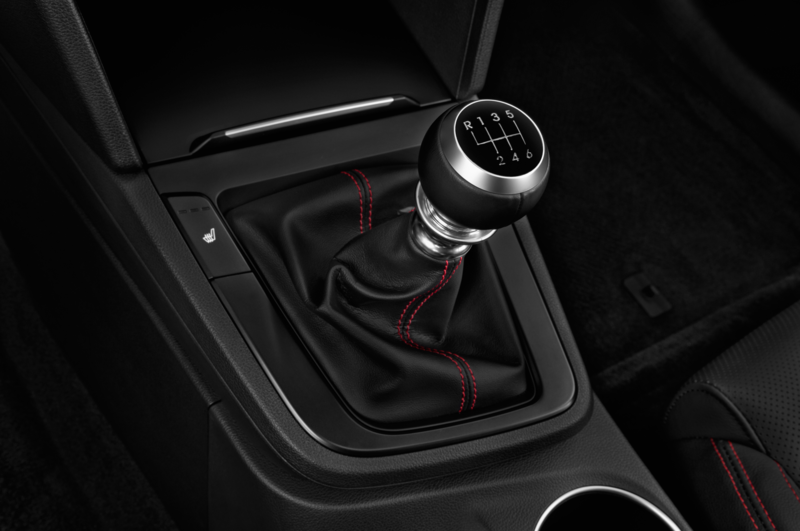 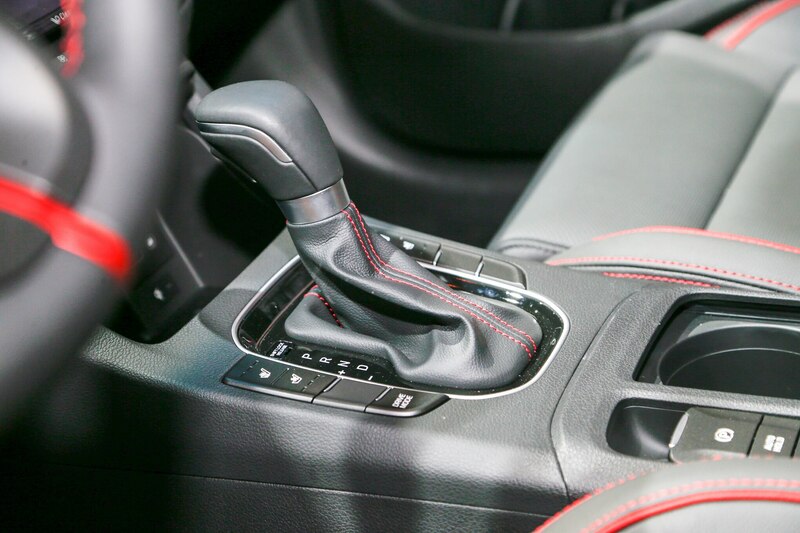 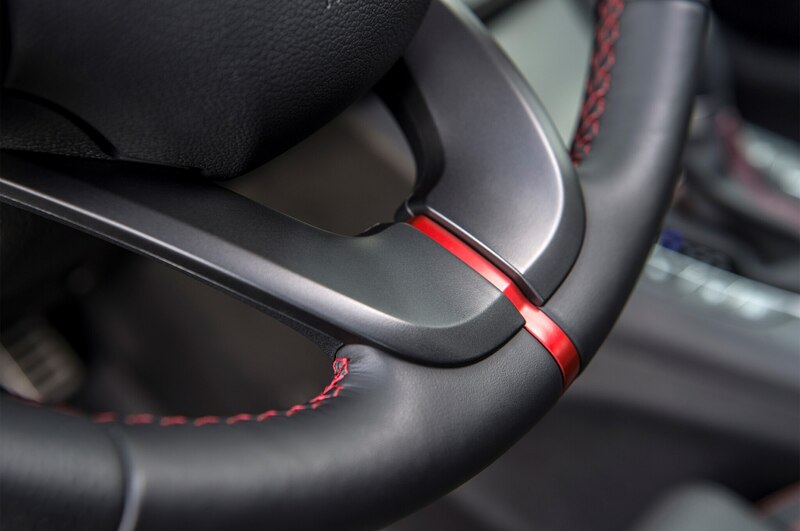 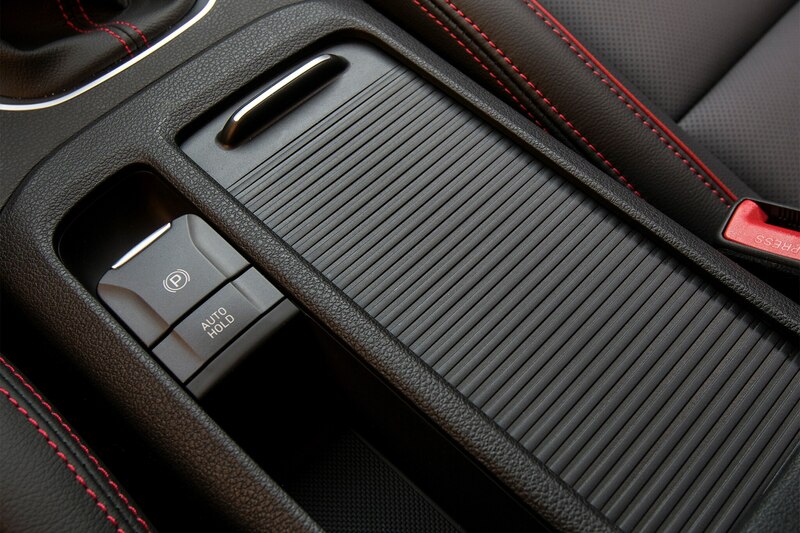 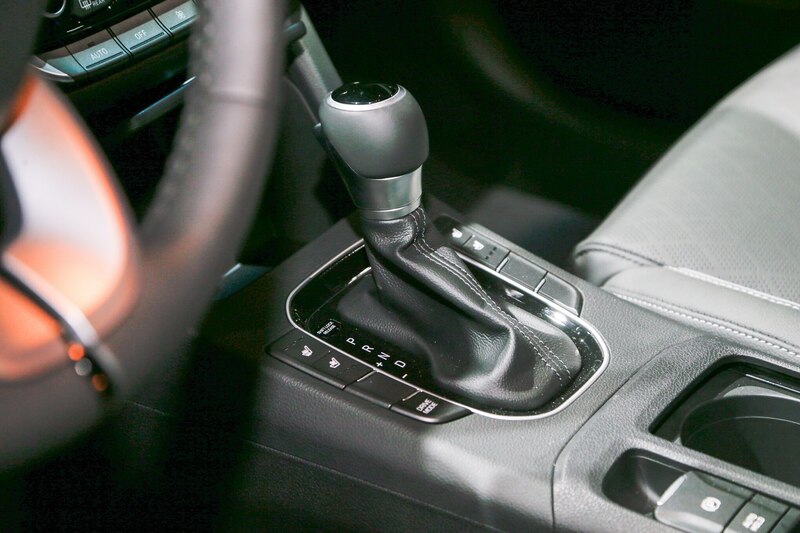 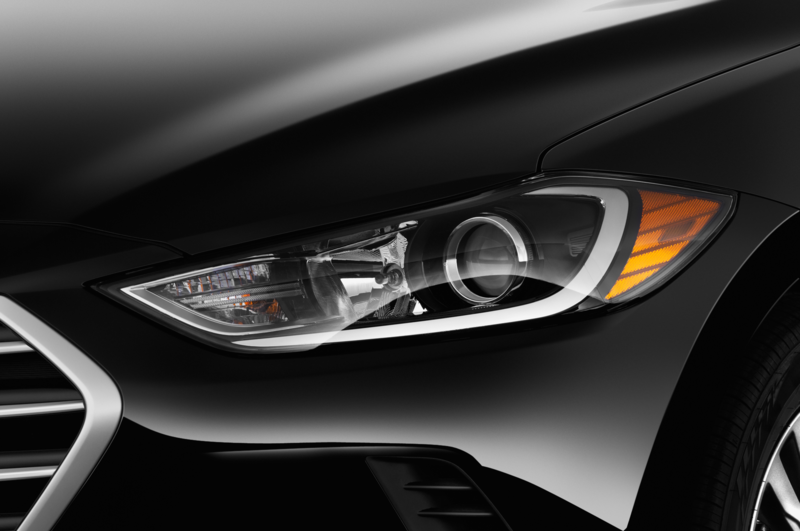 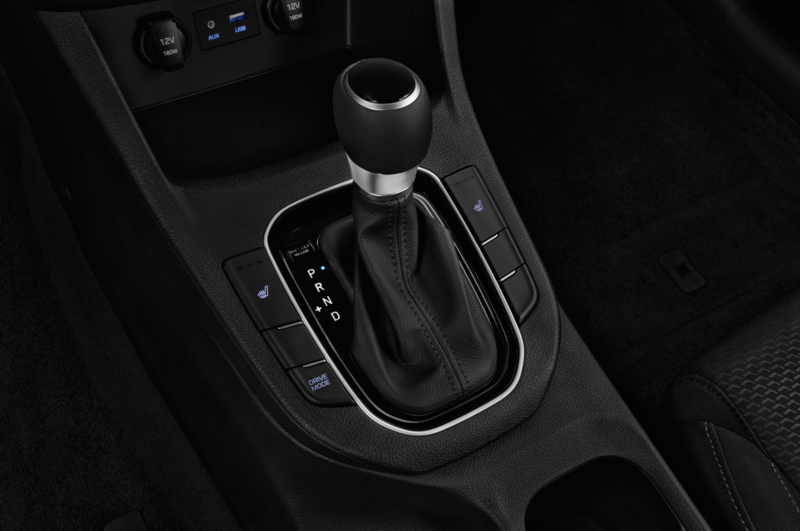 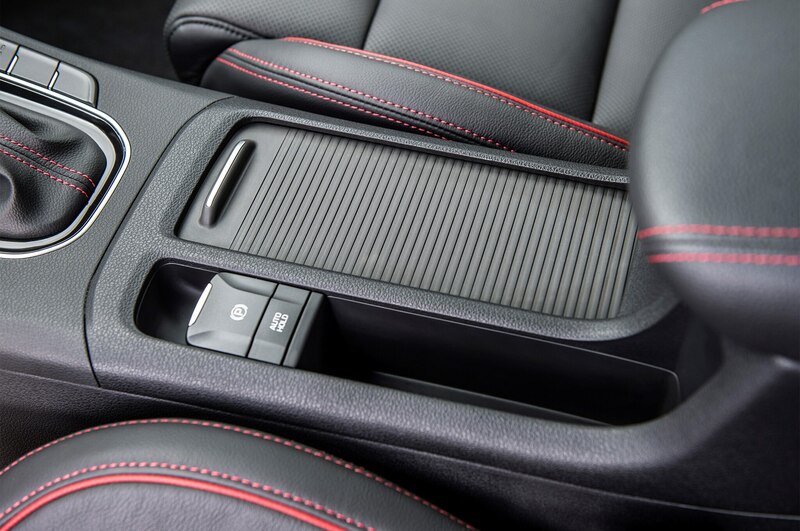 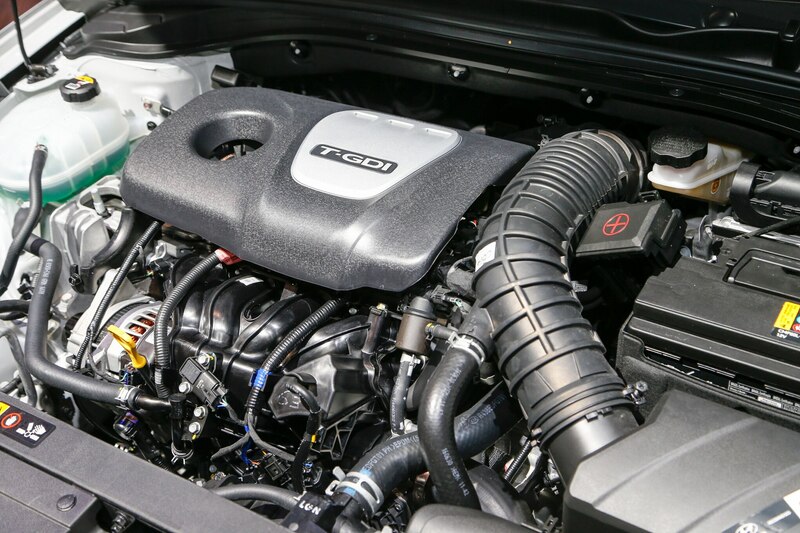 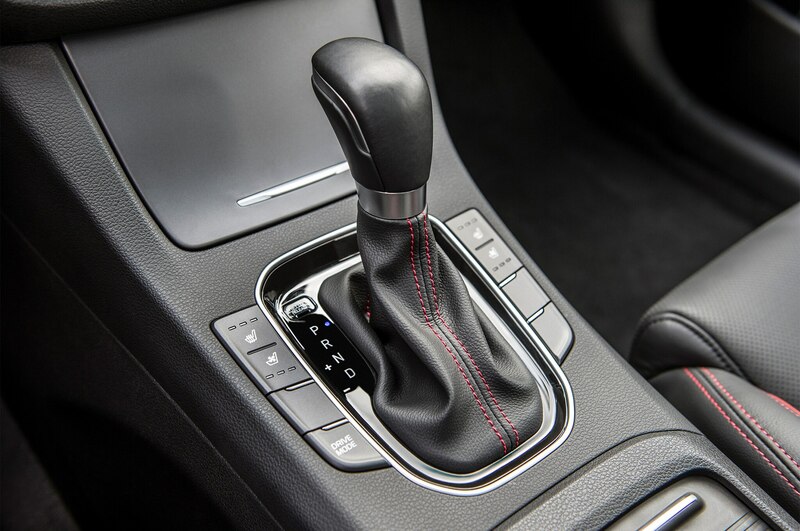 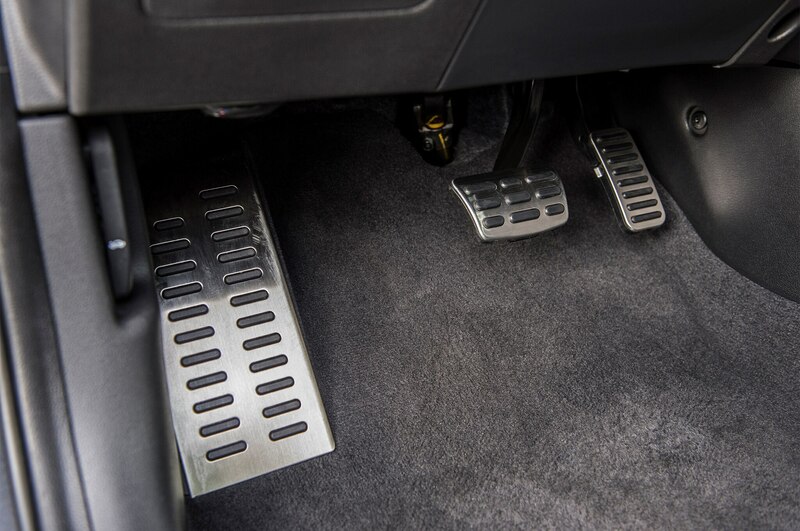 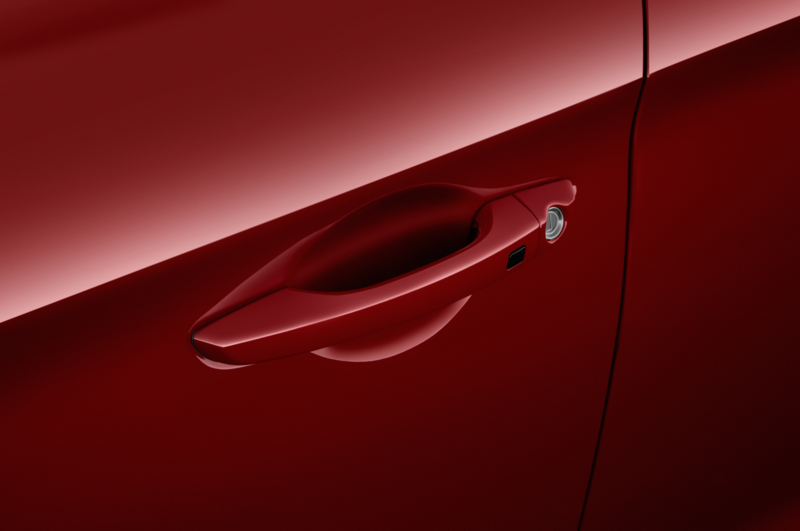 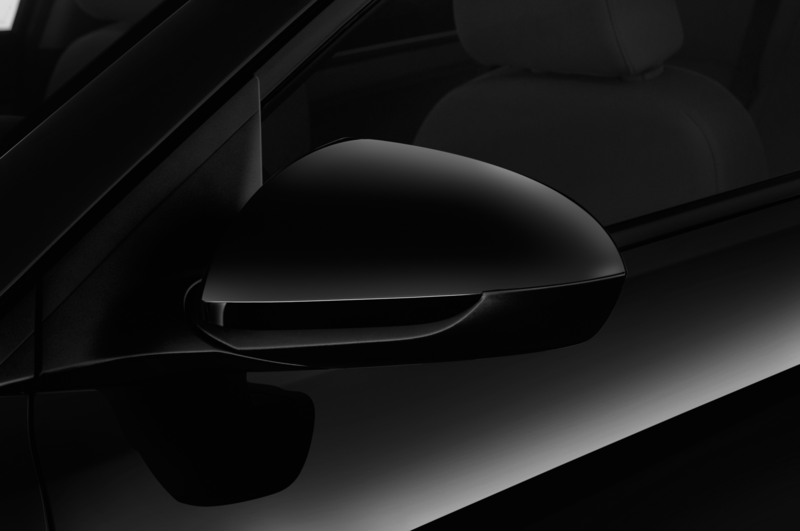 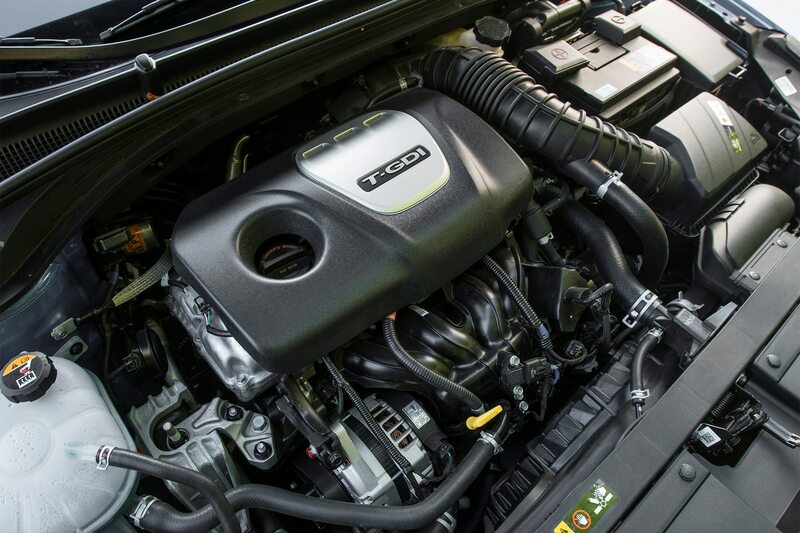 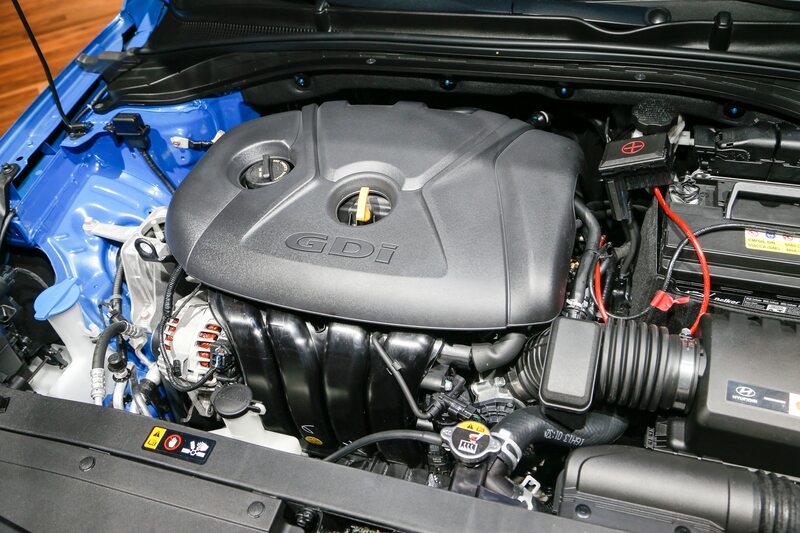 It’s offered with a six-speed manual or a six-speed automatic transmission. 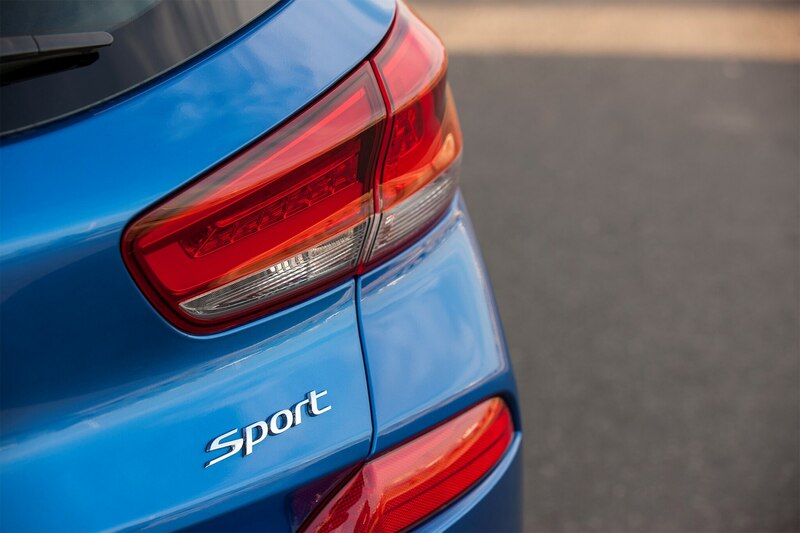 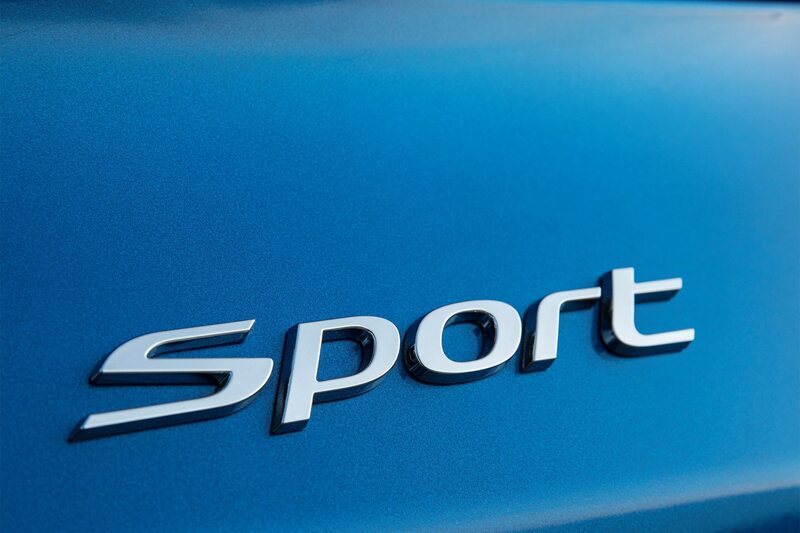 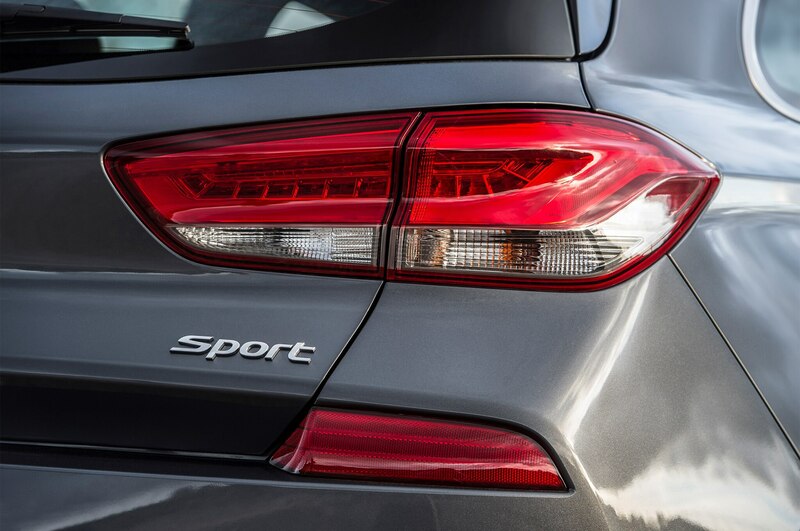 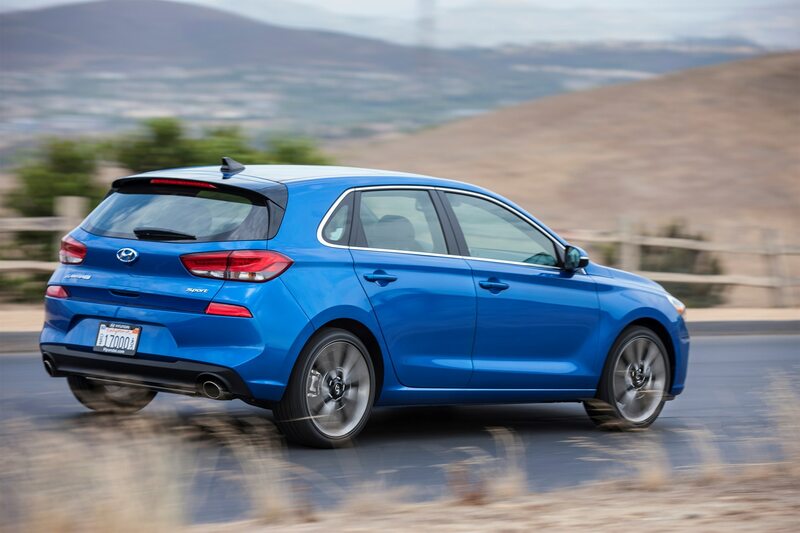 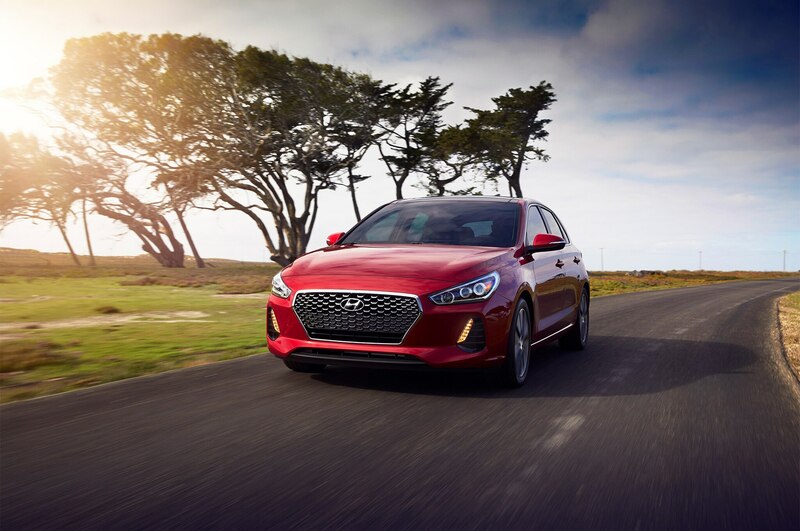 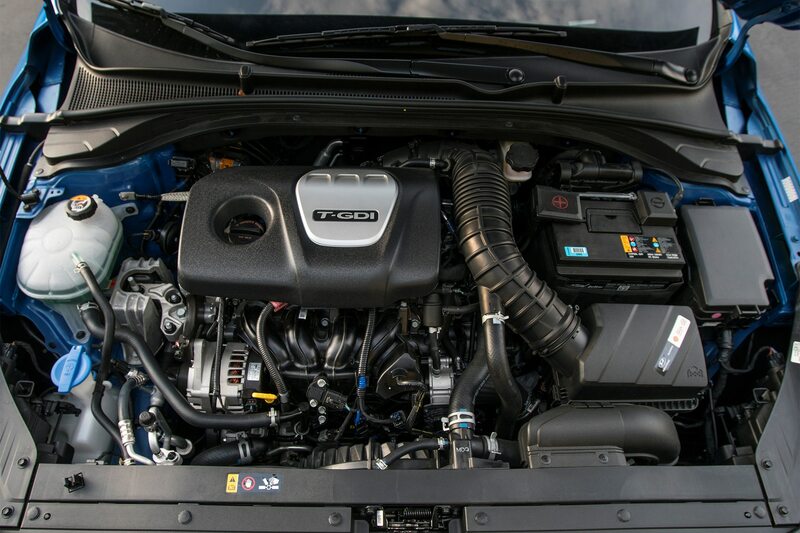 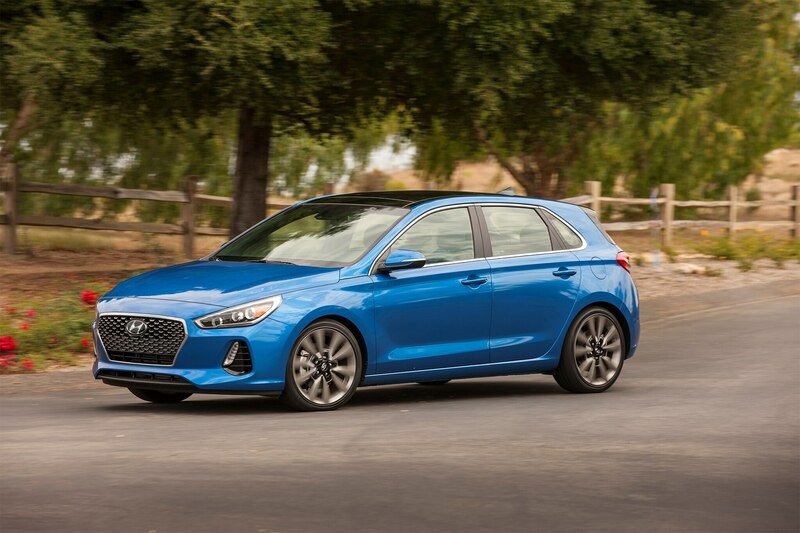 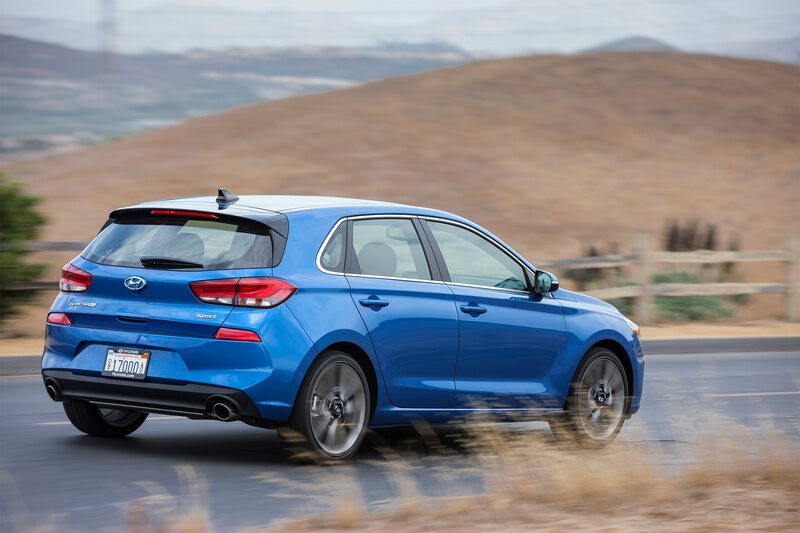 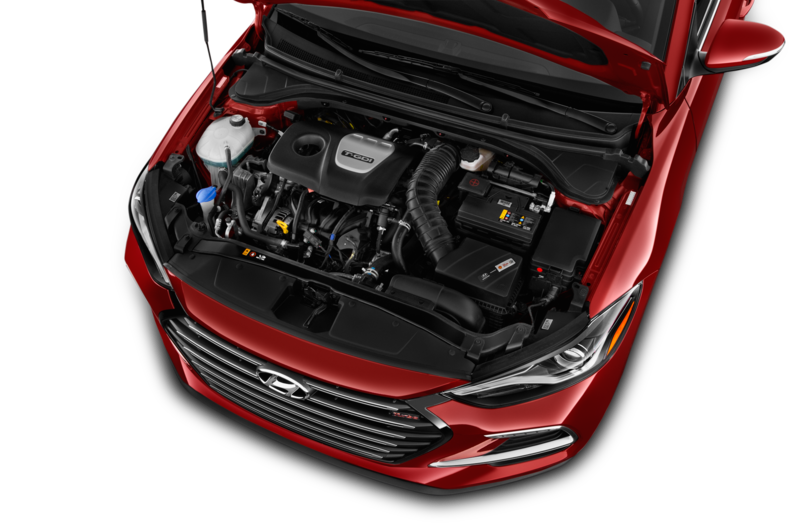 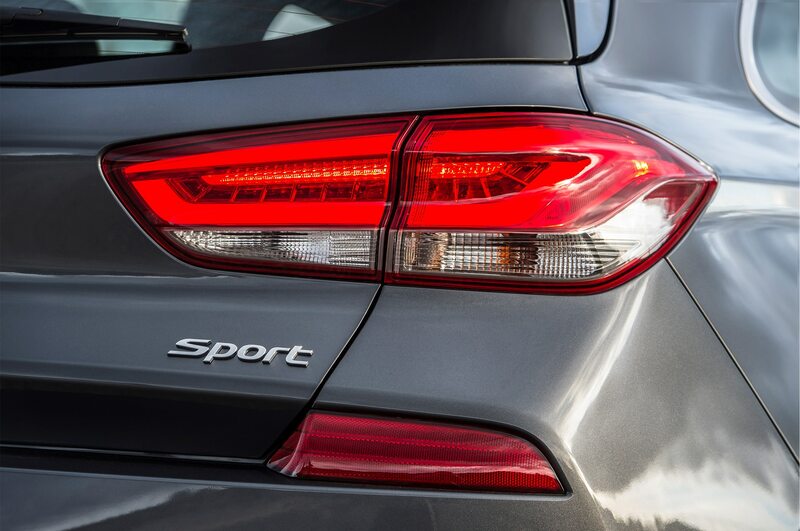 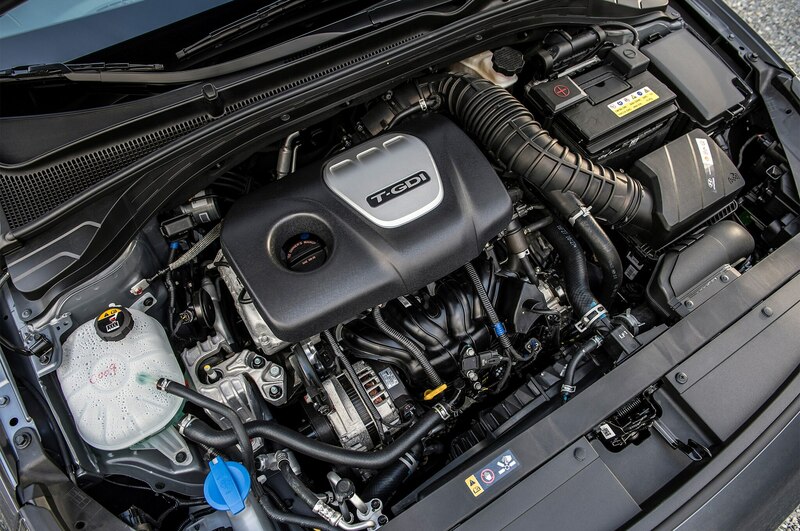 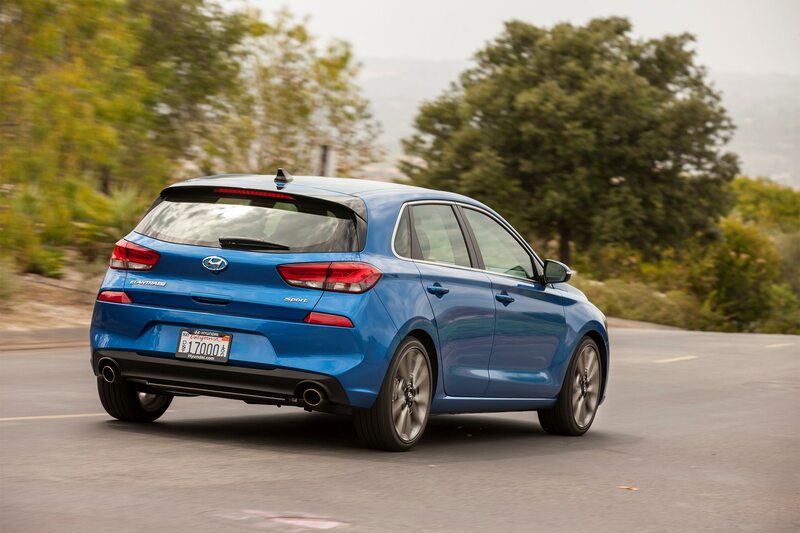 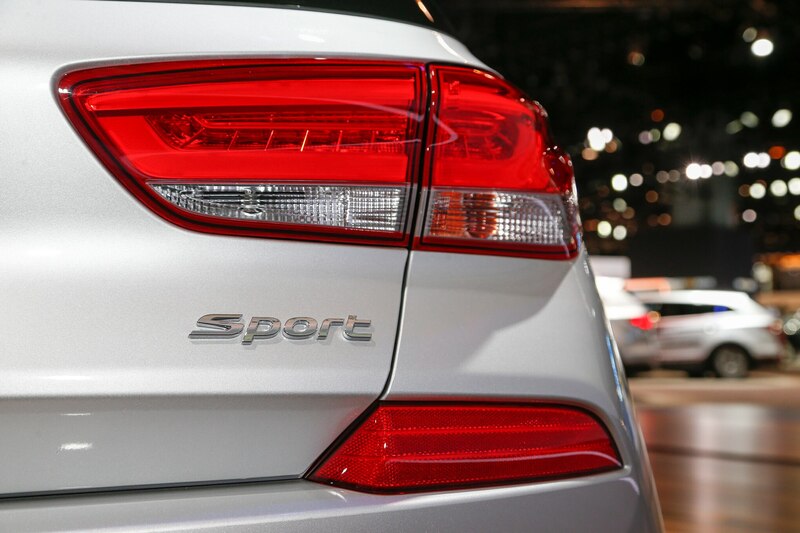 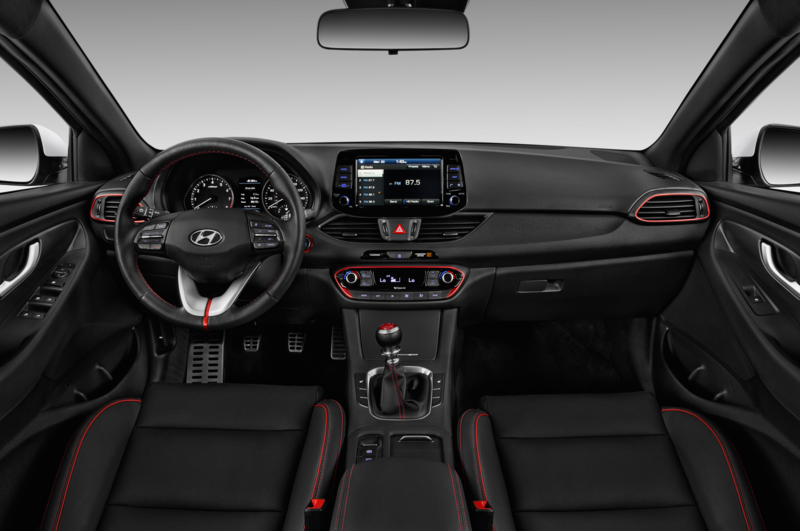 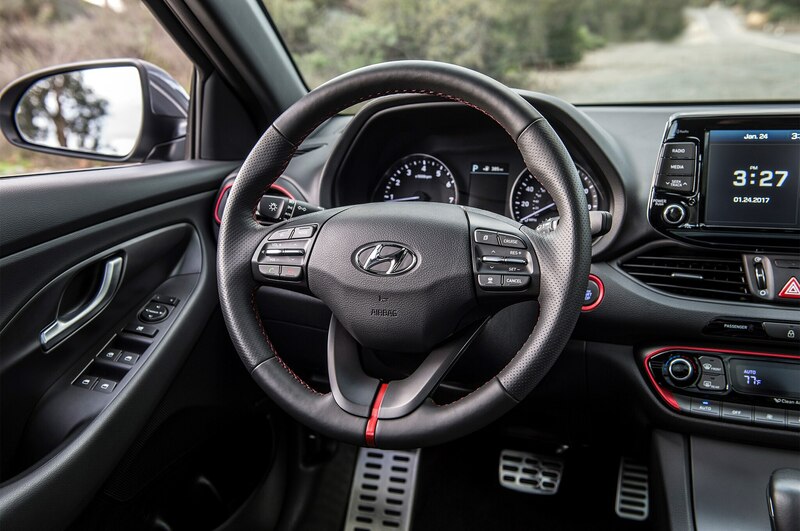 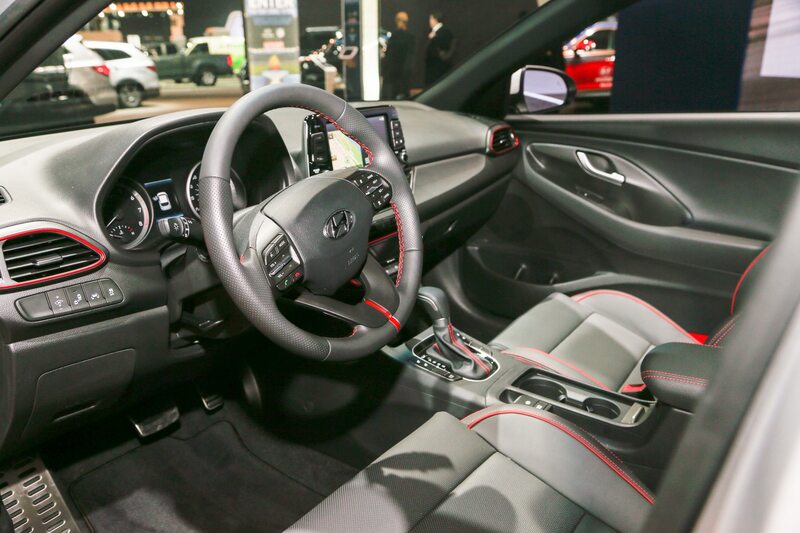 As for the spicier Elantra GT Sport, it receives a 1.6-liter turbo I-4 engine that delivers 201 hp with 195 lb-ft of torque mated to a six-speed manual or a seven-speed dual-clutch automatic. 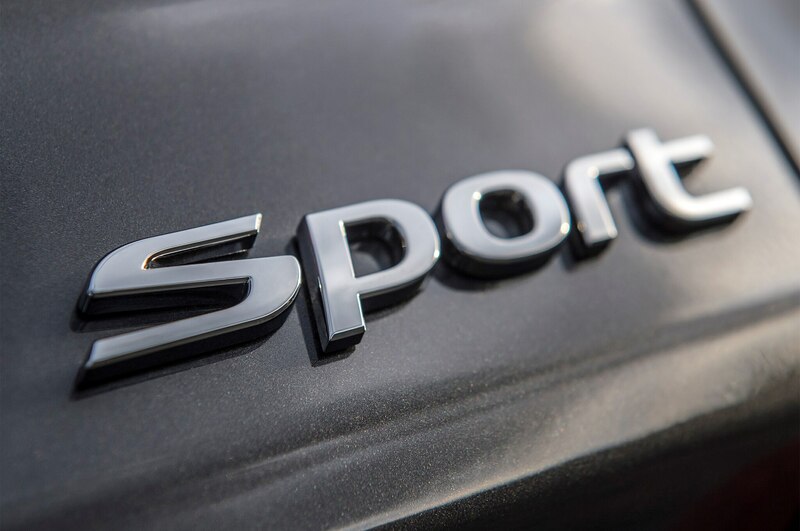 The GT Sport also receives a fully independent multilink rear suspension of instead of the GT’s torsion beam setup, 18-inch alloy wheels instead of the GT’s 17-inch ones, and larger front and rear brake rotors. 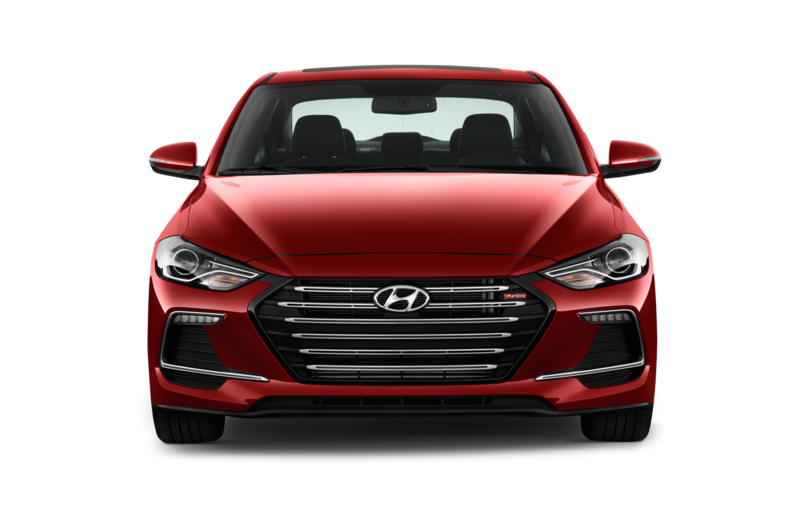 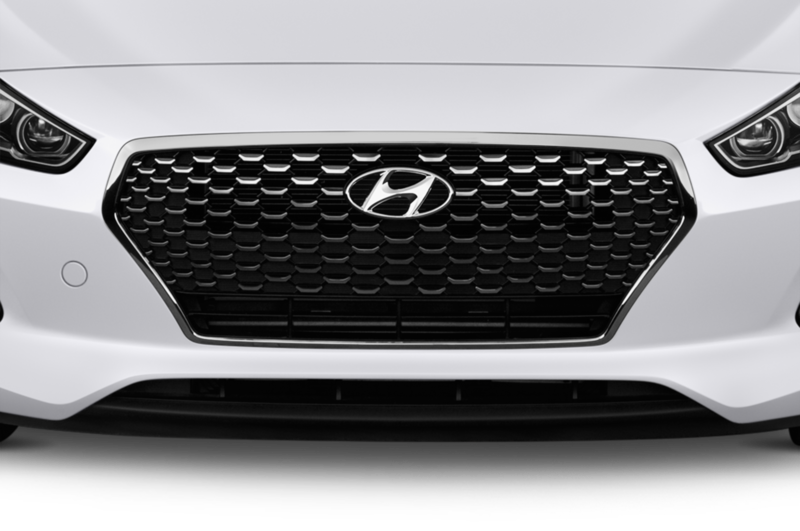 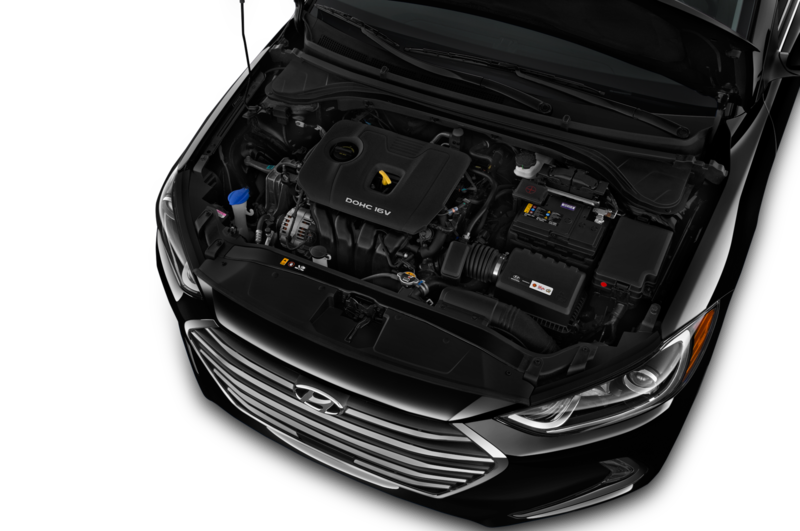 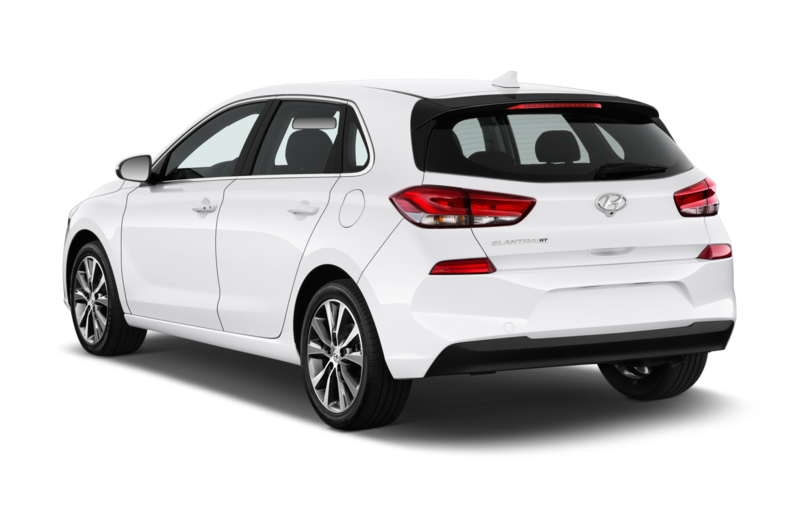 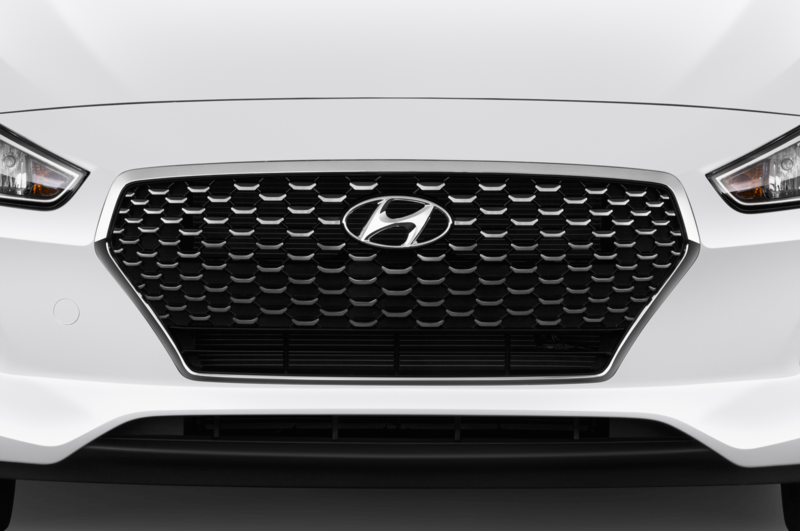 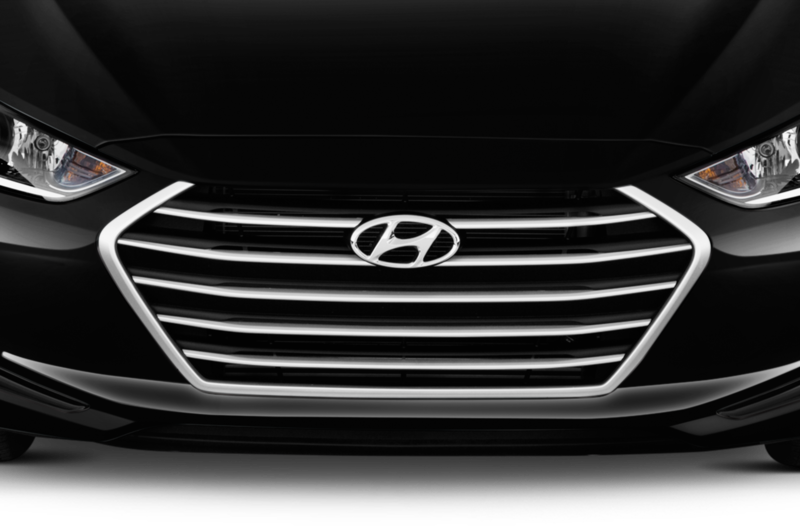 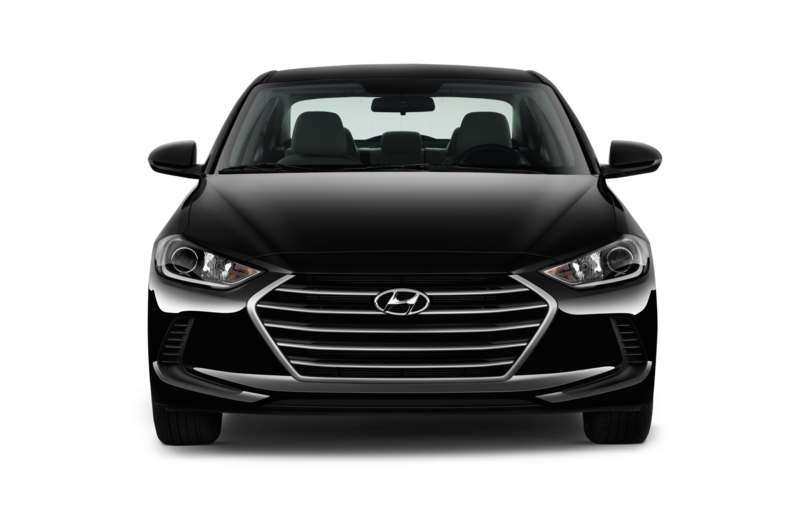 Hyundai says that more than half the structure is now made of advanced high-strength steel, nearly double that of the outgoing model. 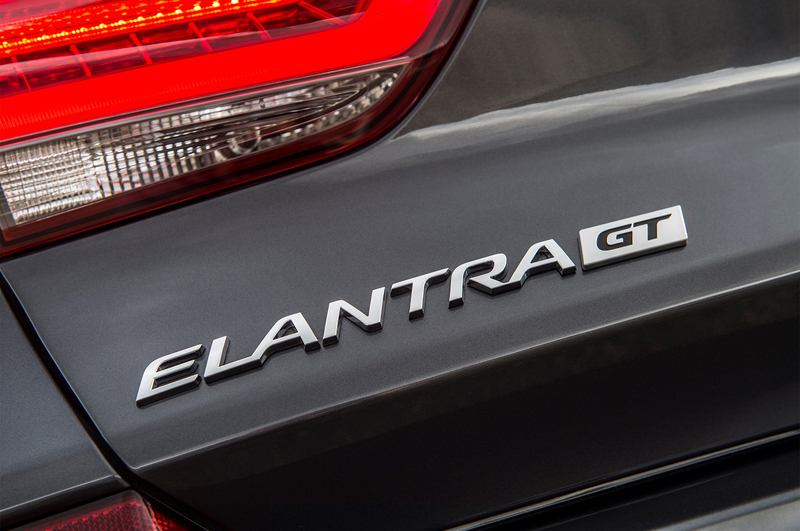 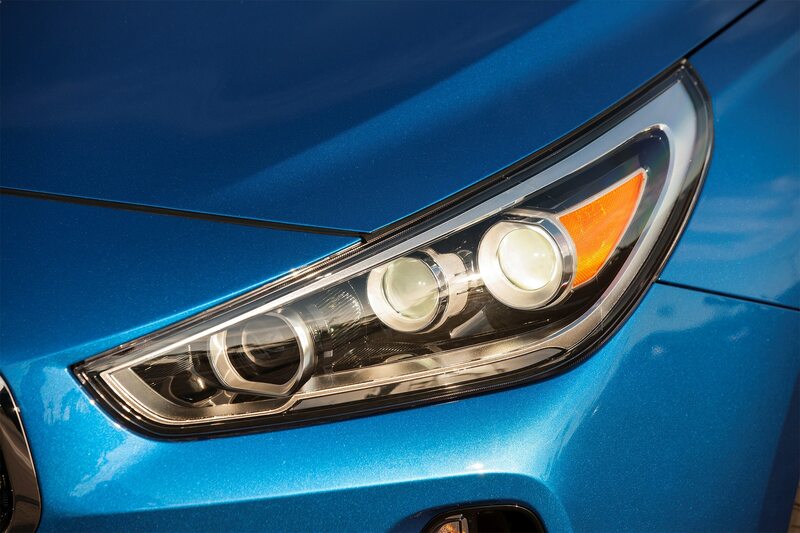 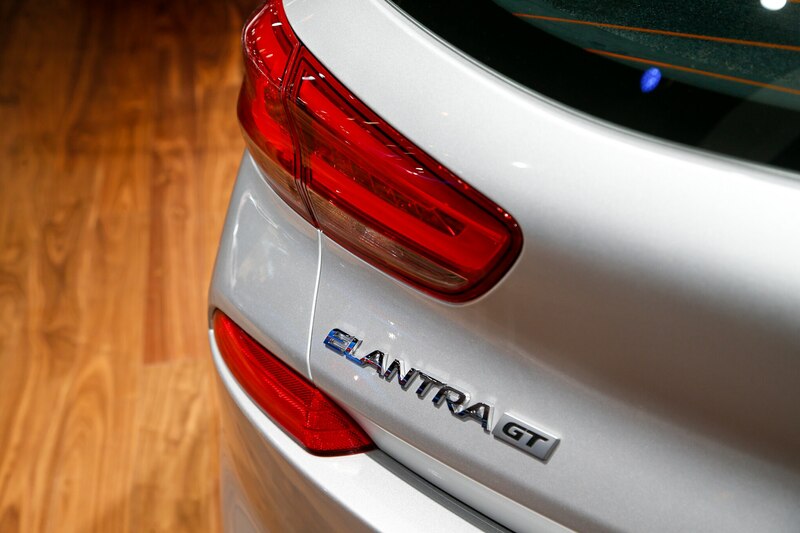 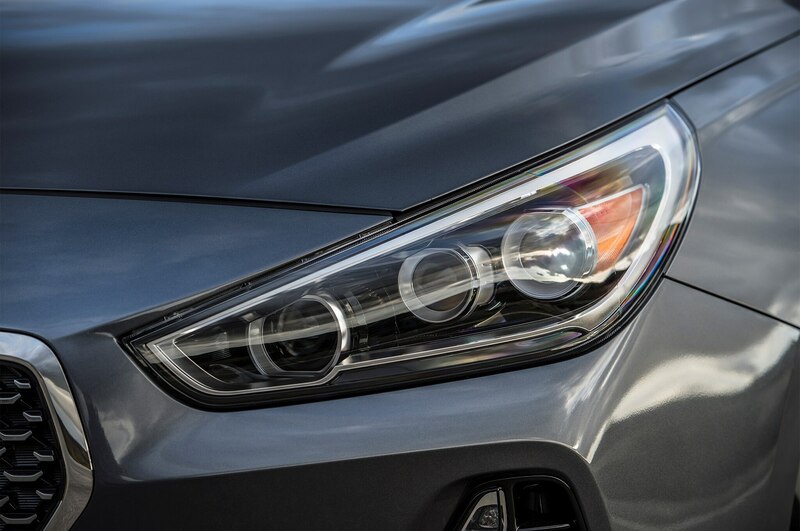 To keep things together, more than 367 feet of structural adhesive was used to make the Elantra GT stiffer, stronger, and lighter. 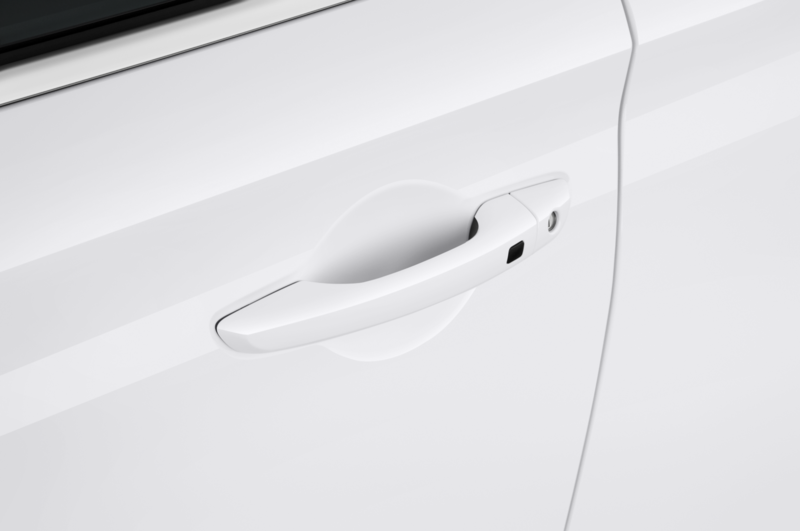 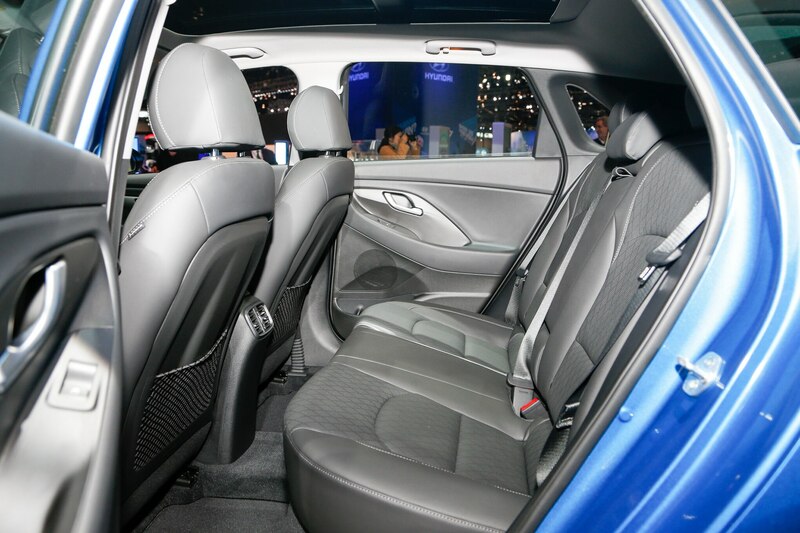 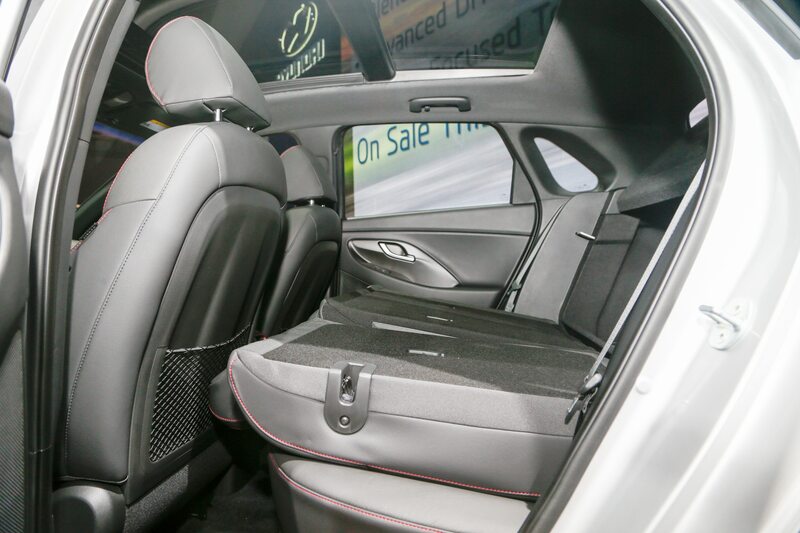 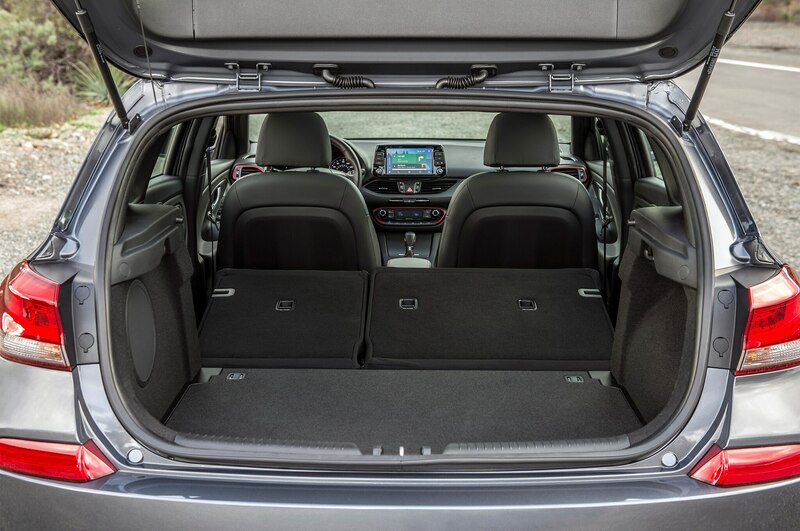 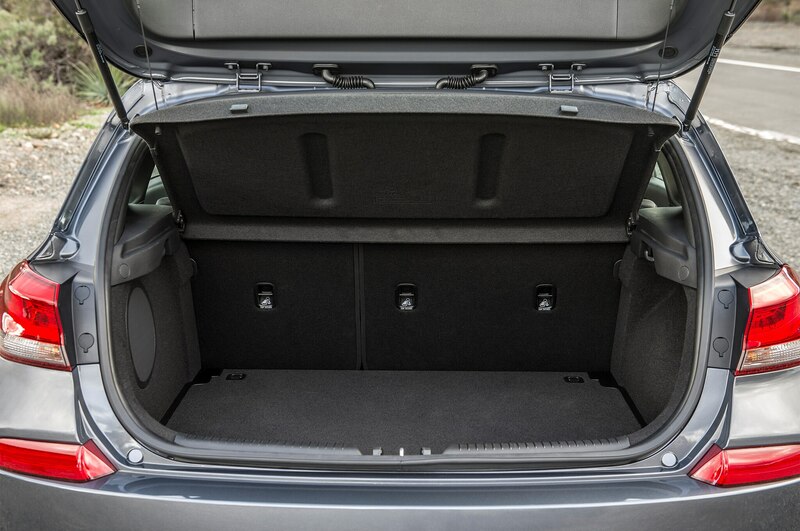 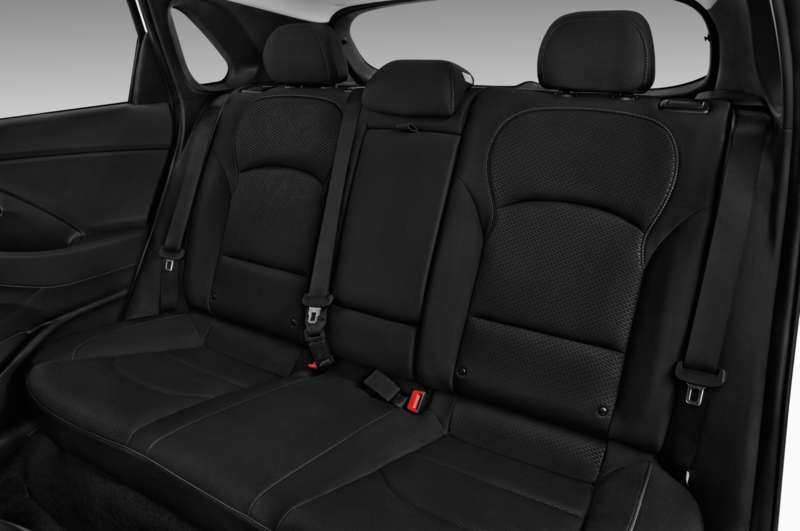 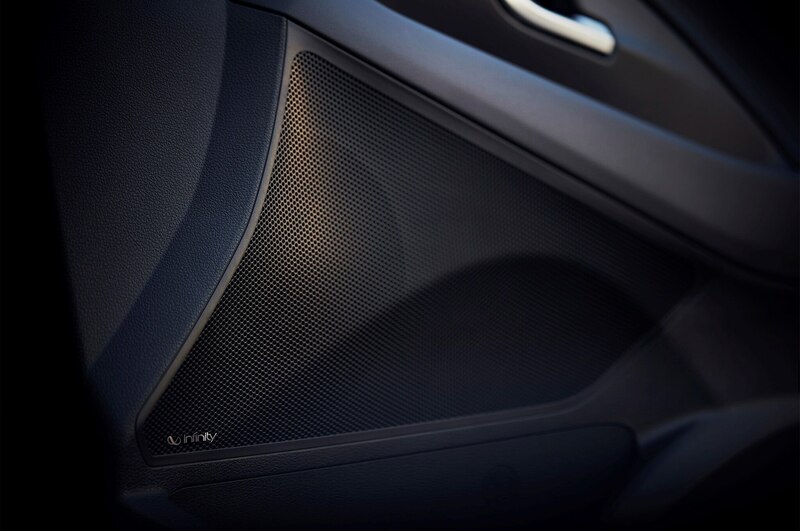 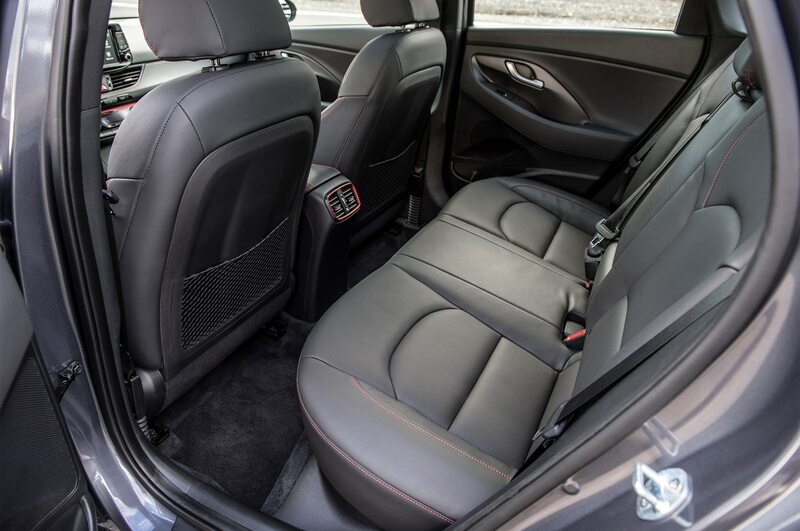 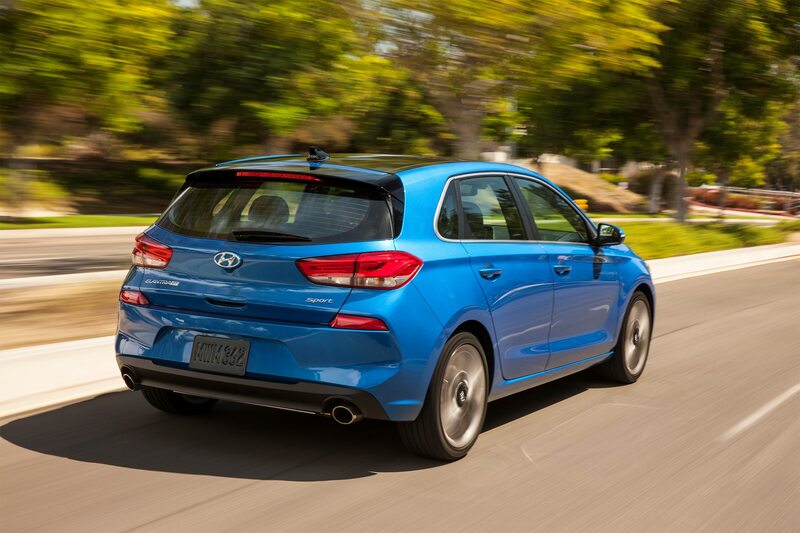 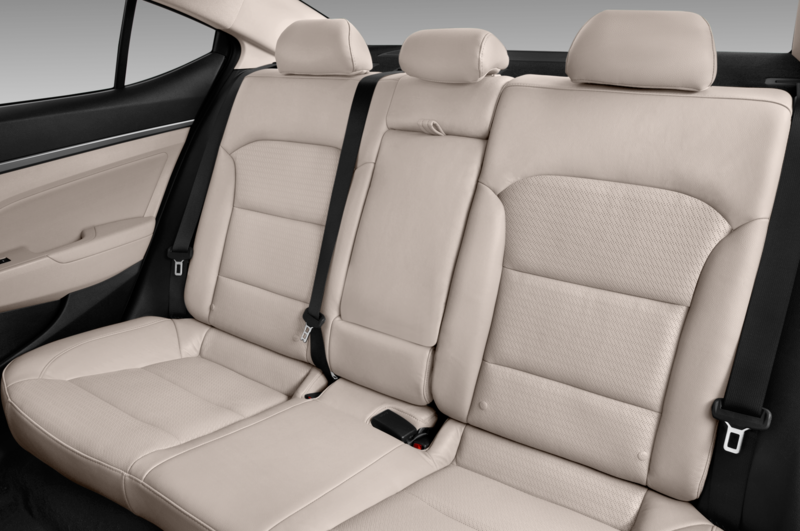 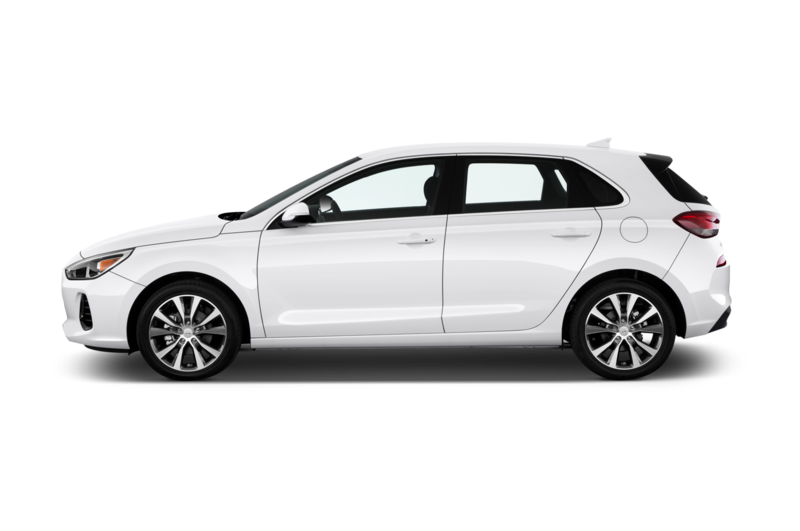 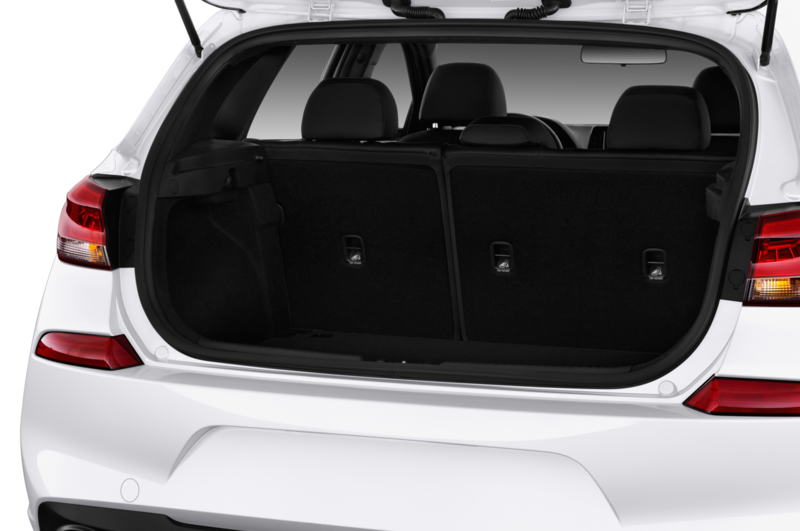 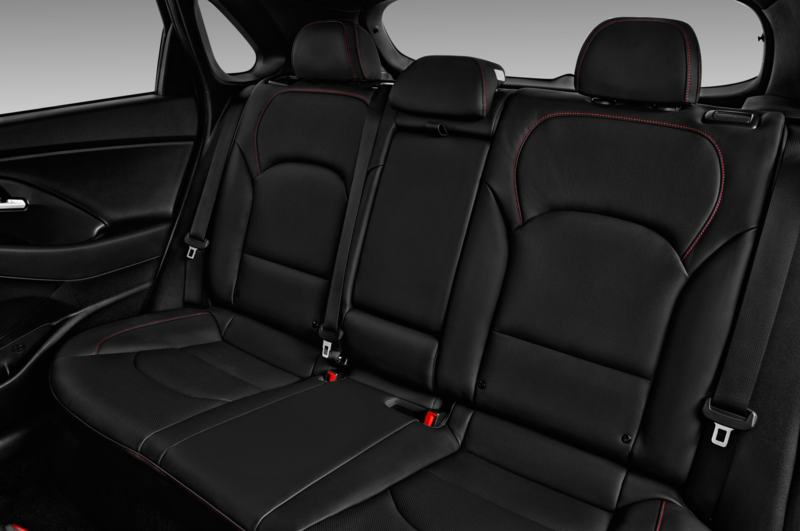 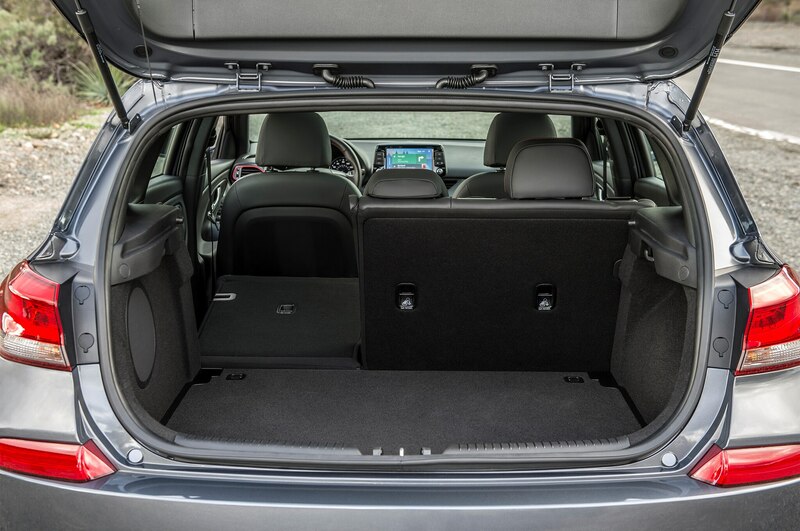 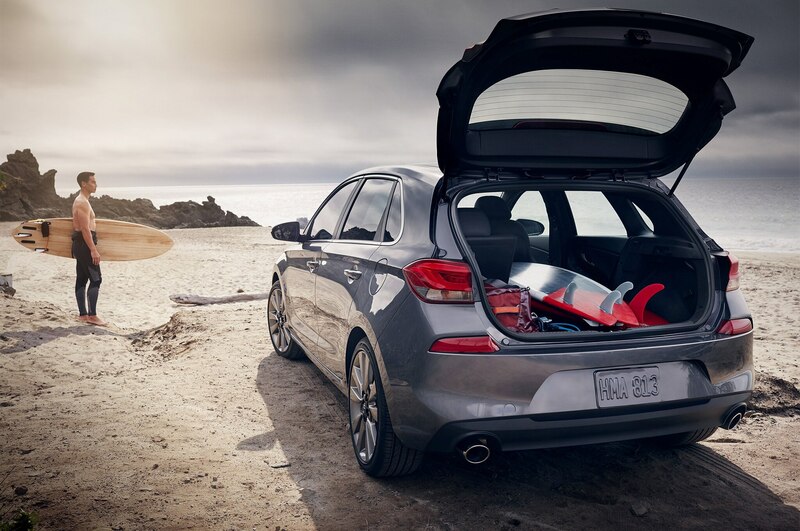 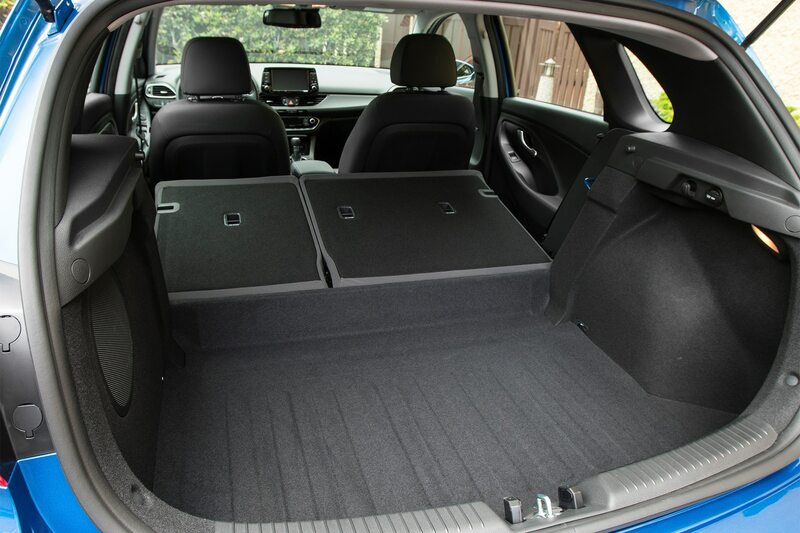 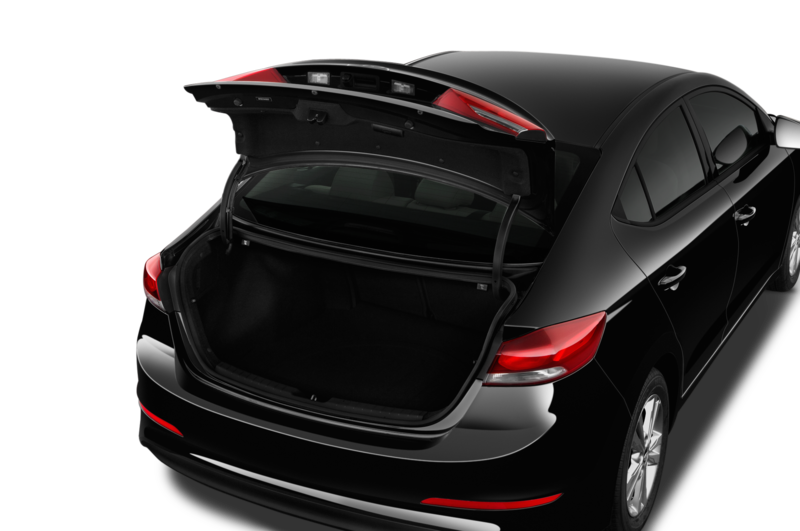 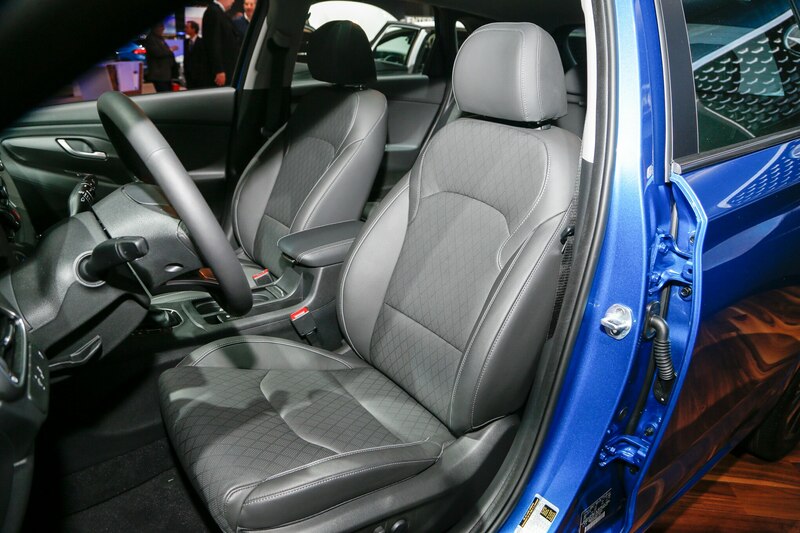 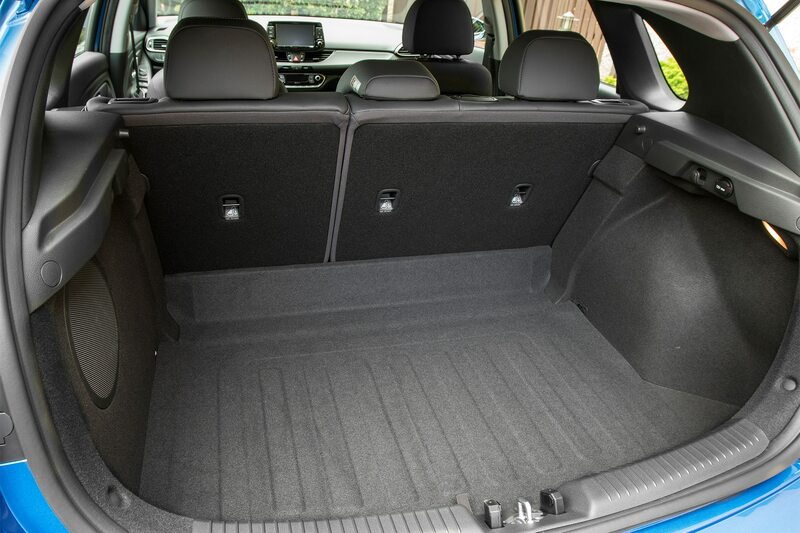 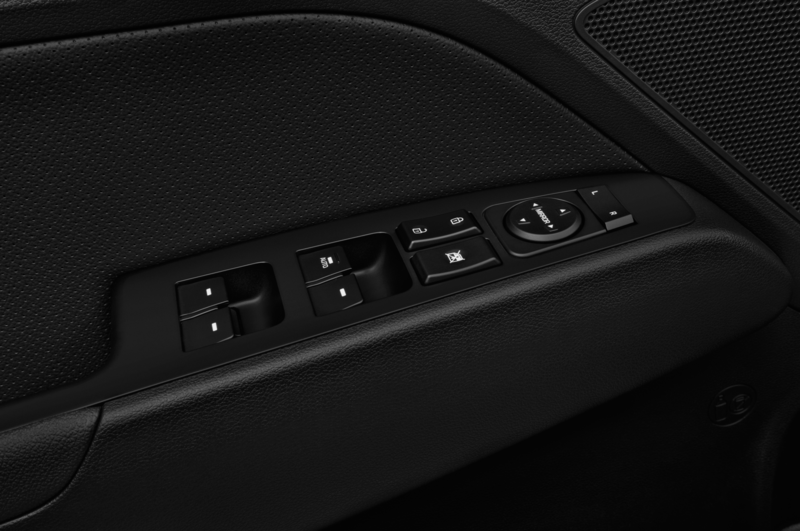 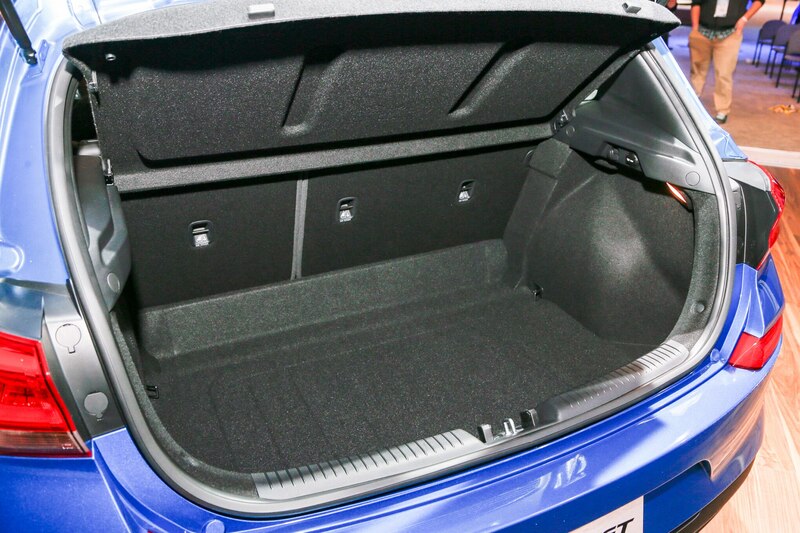 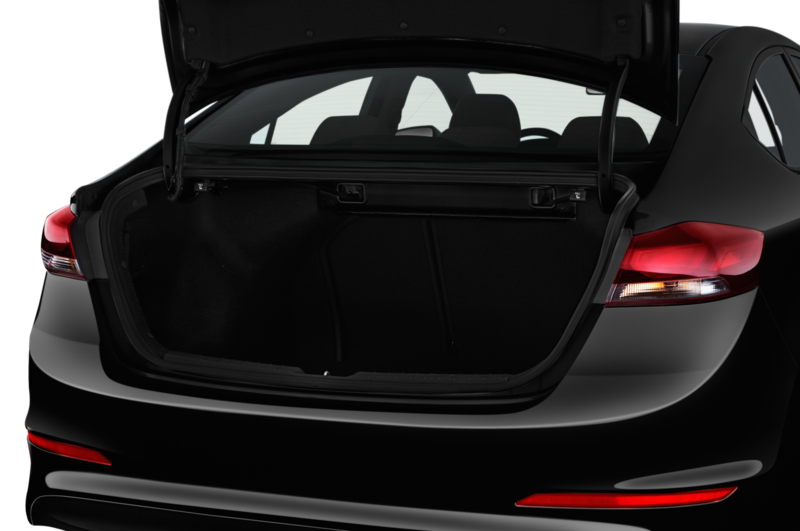 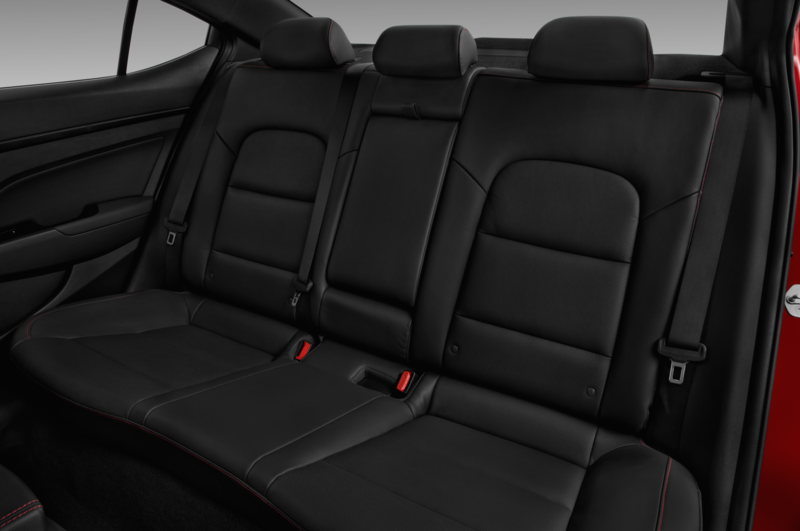 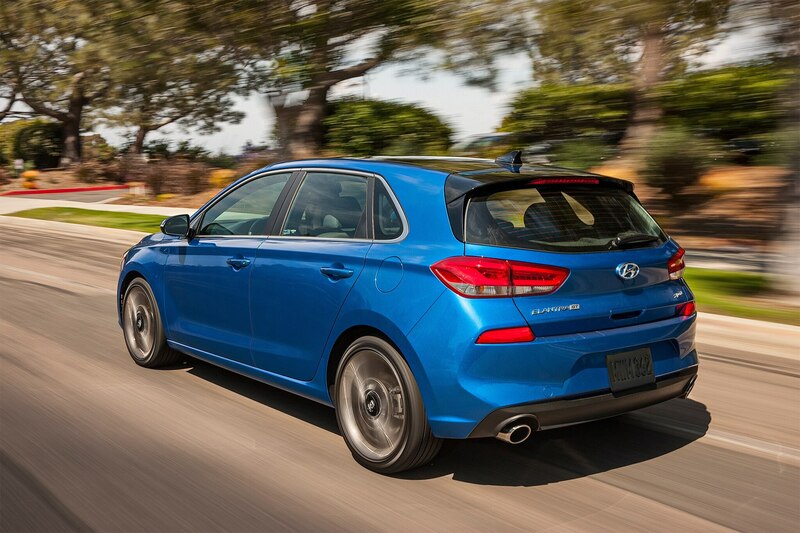 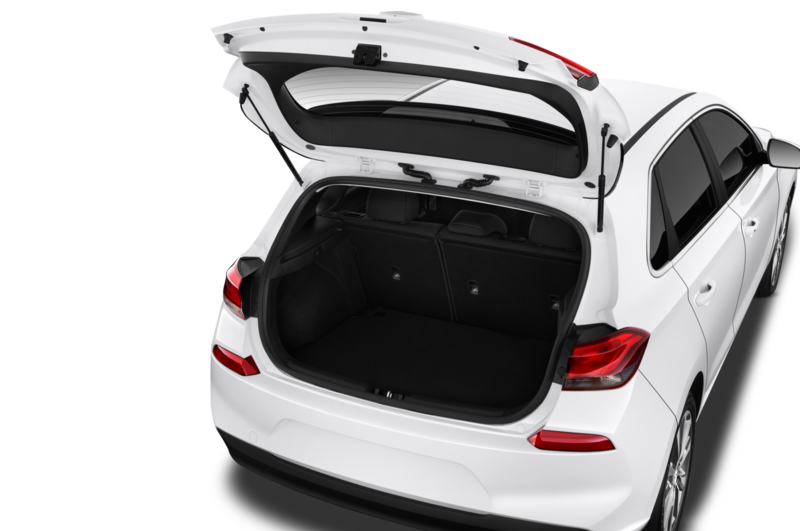 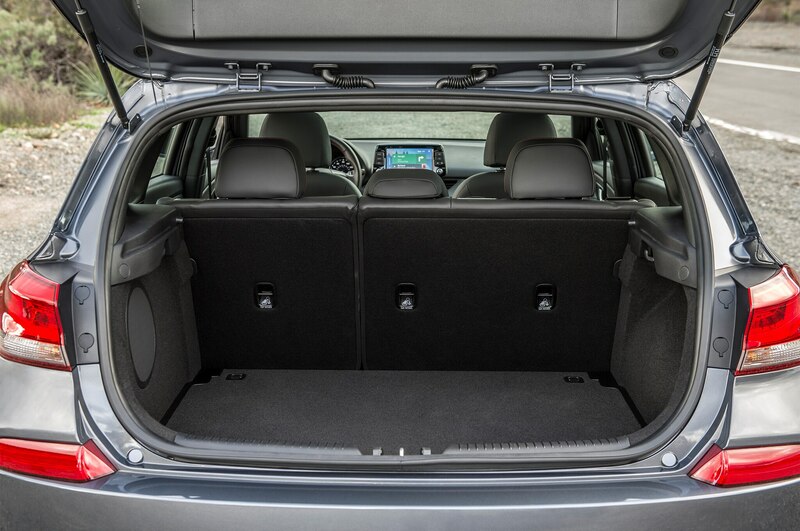 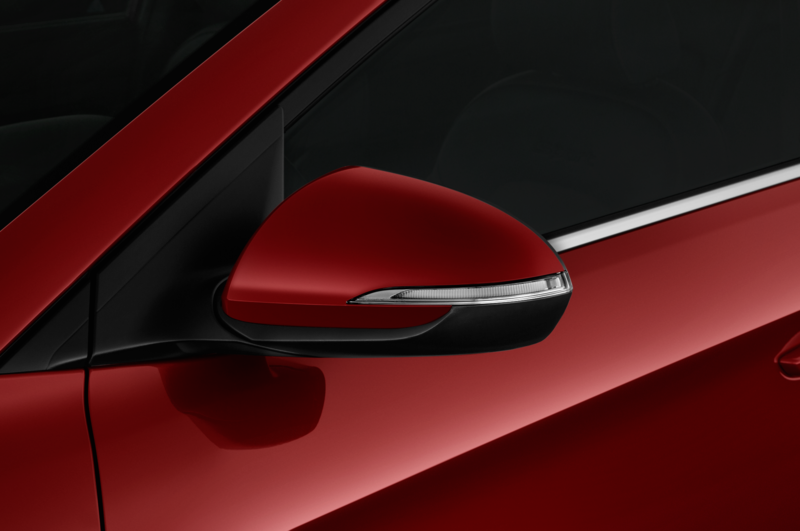 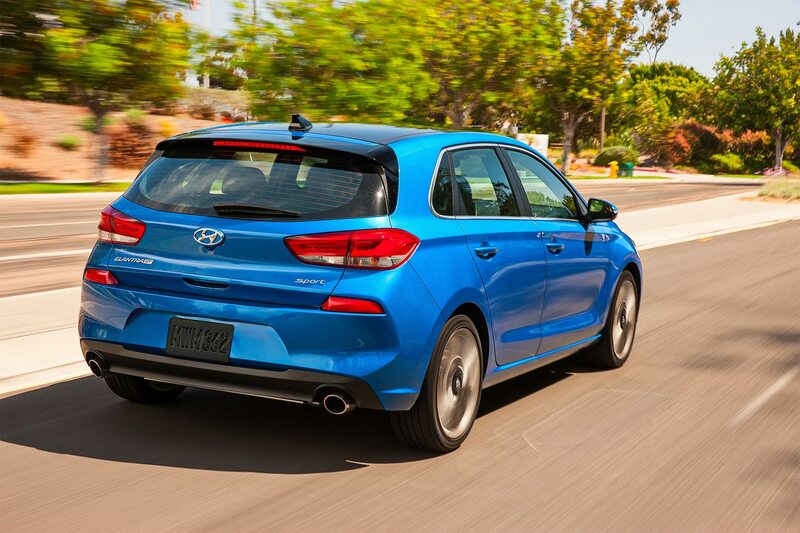 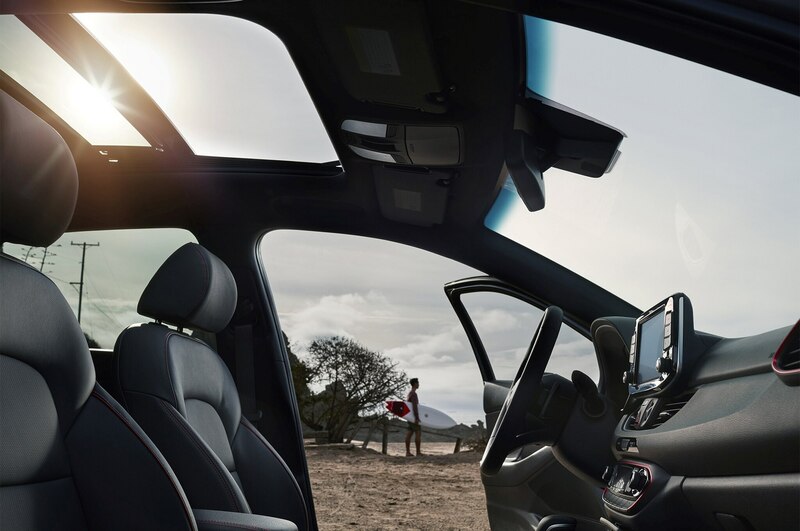 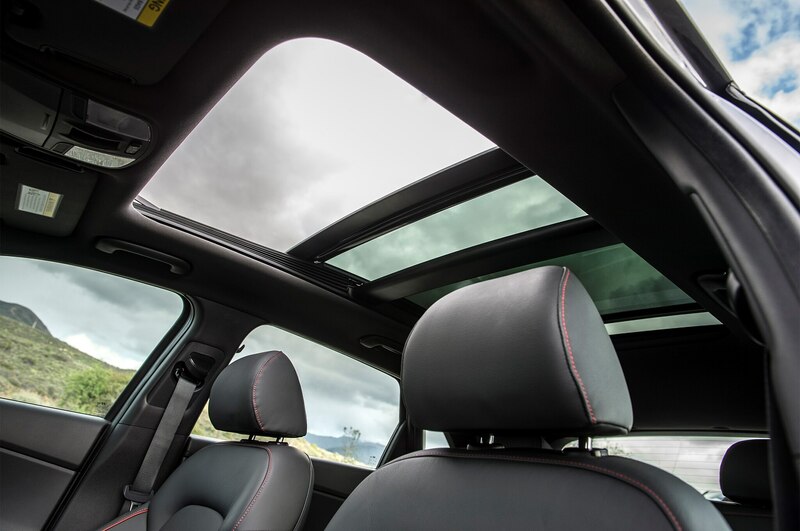 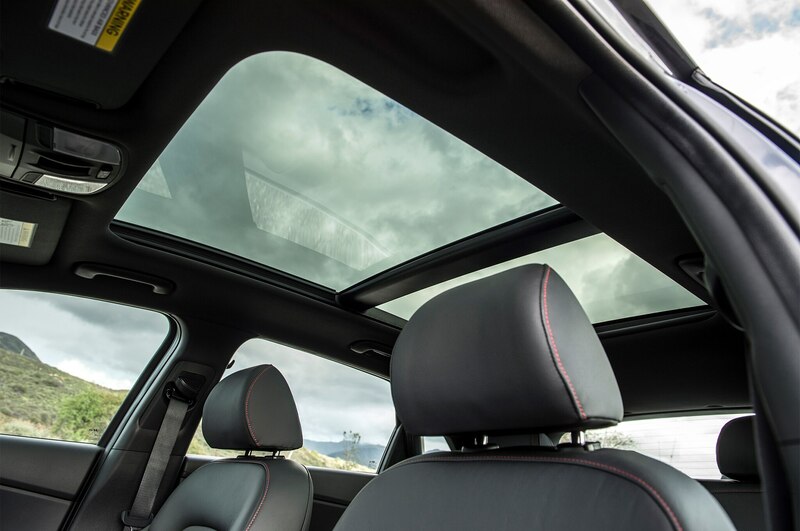 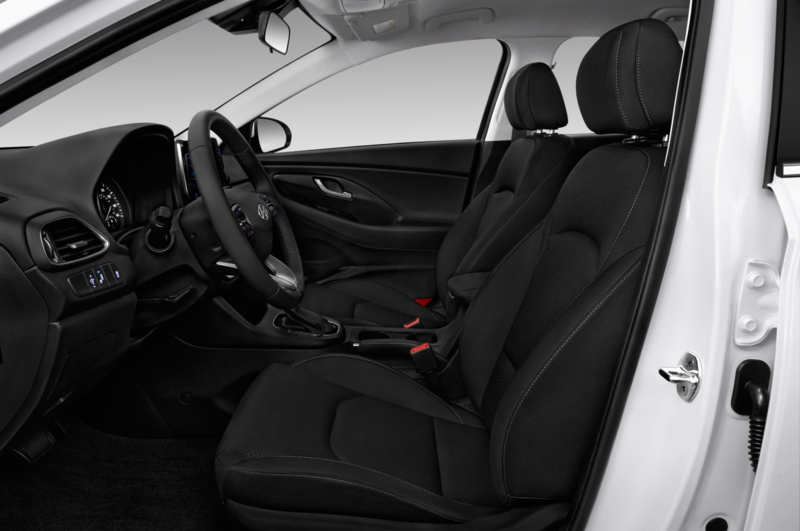 Inside, the compact hatch can seat up to five and nearly 25 cubic feet of storage behind the rear seat. 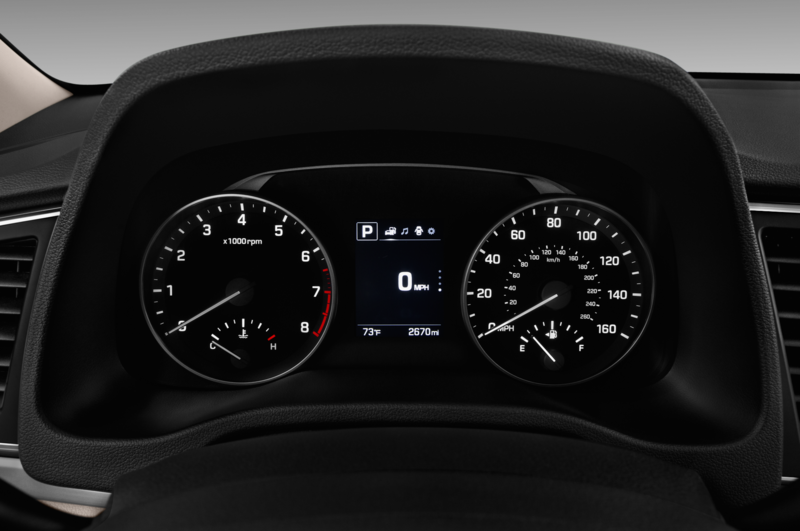 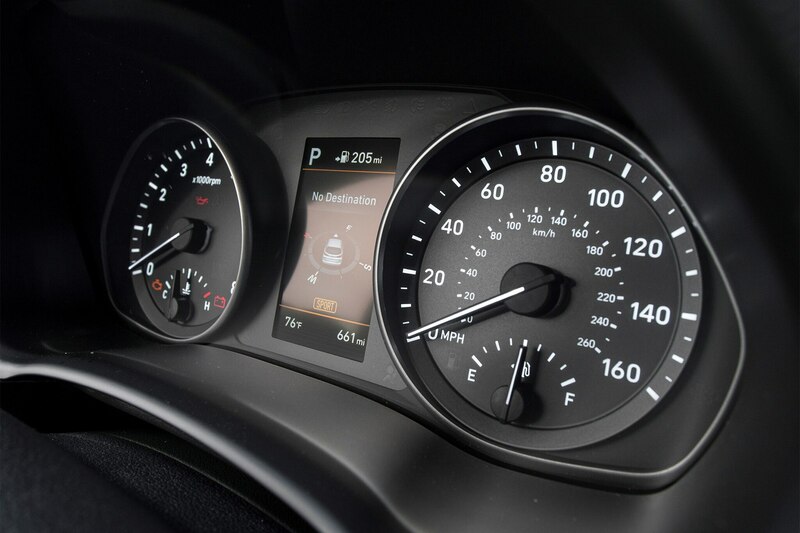 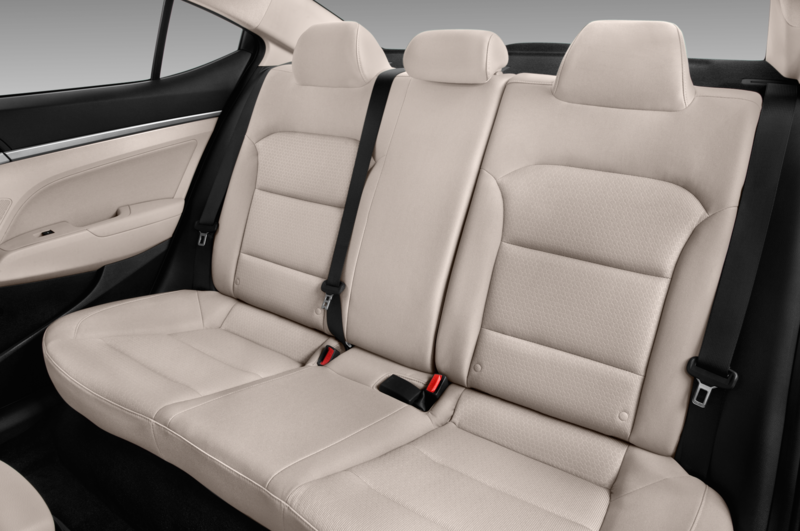 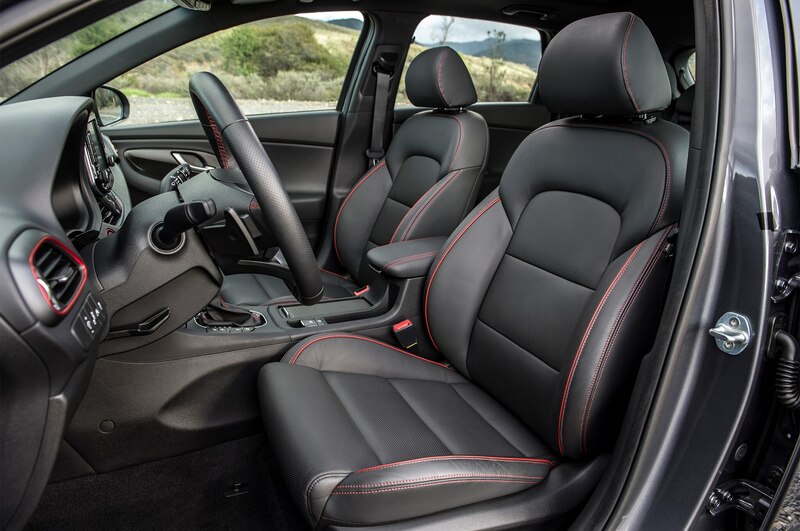 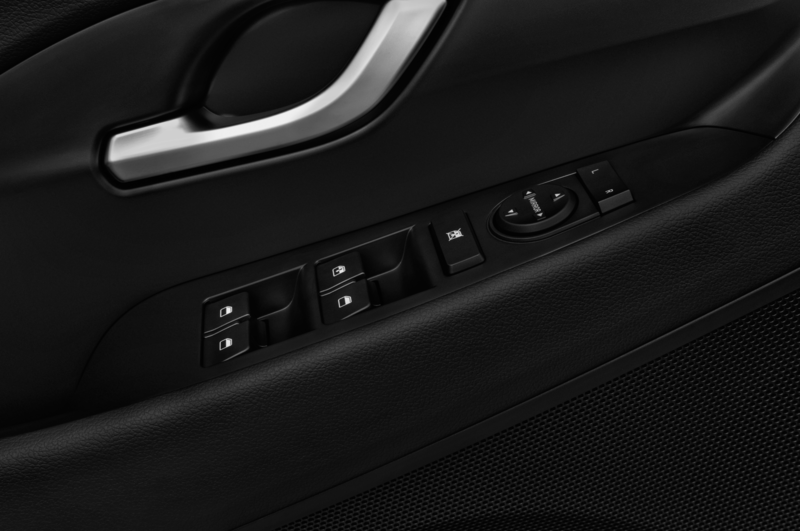 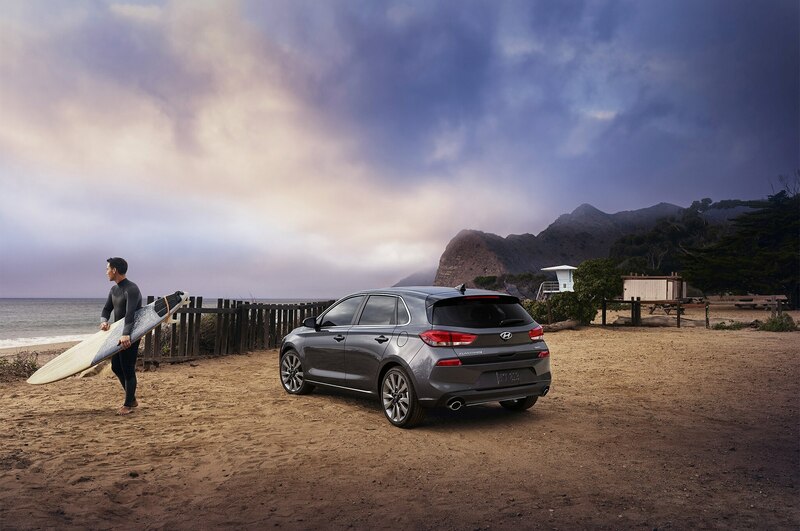 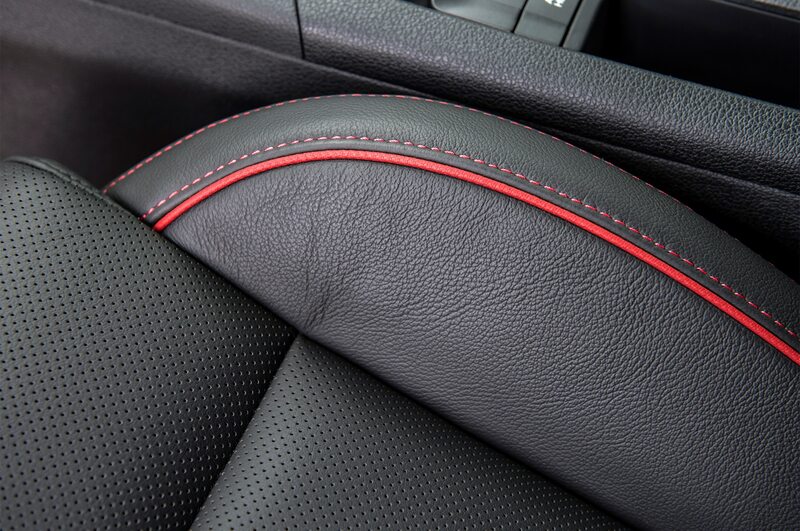 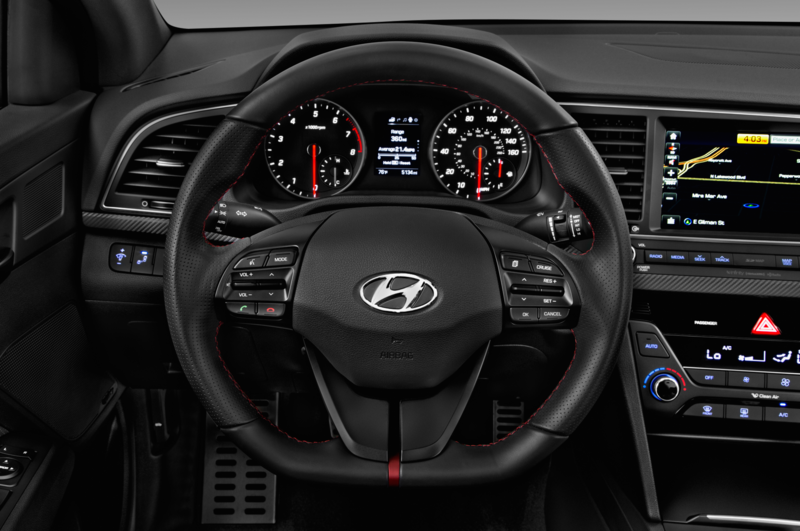 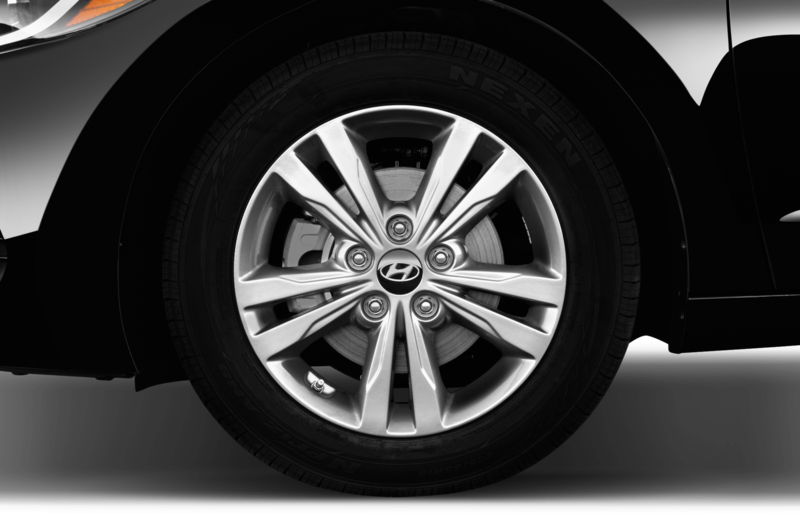 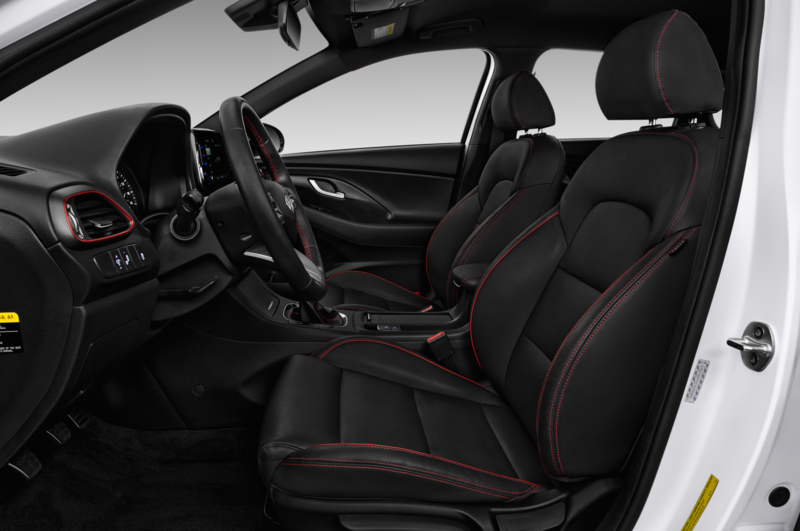 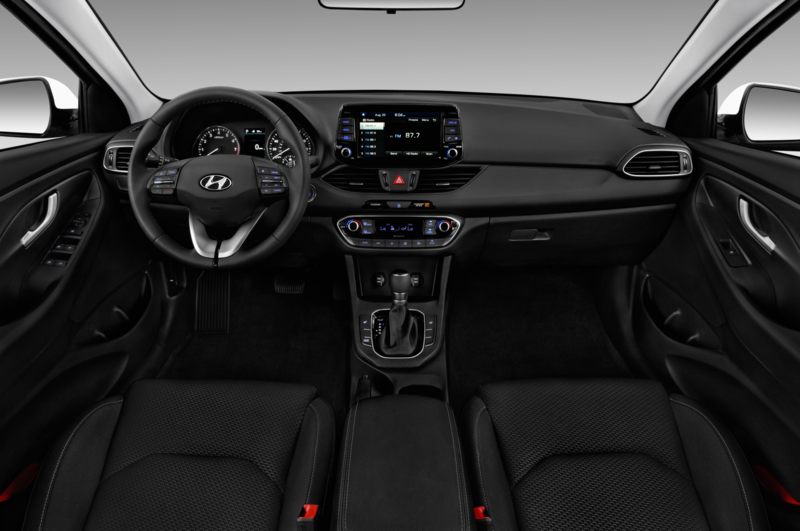 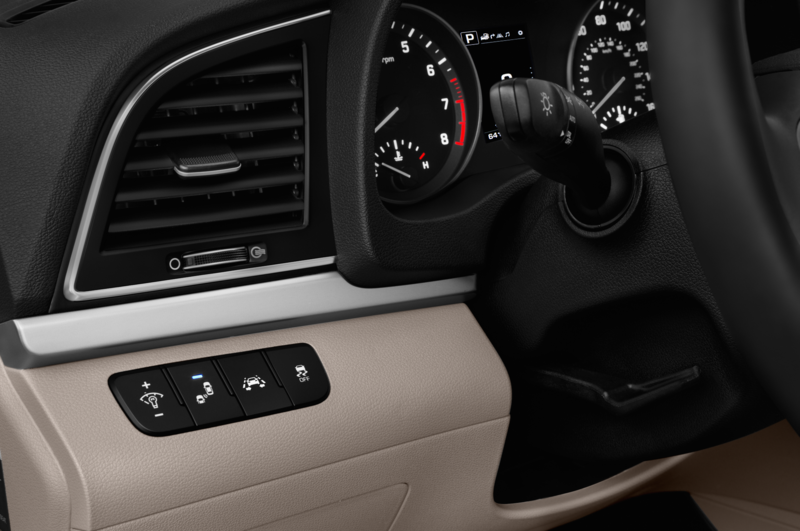 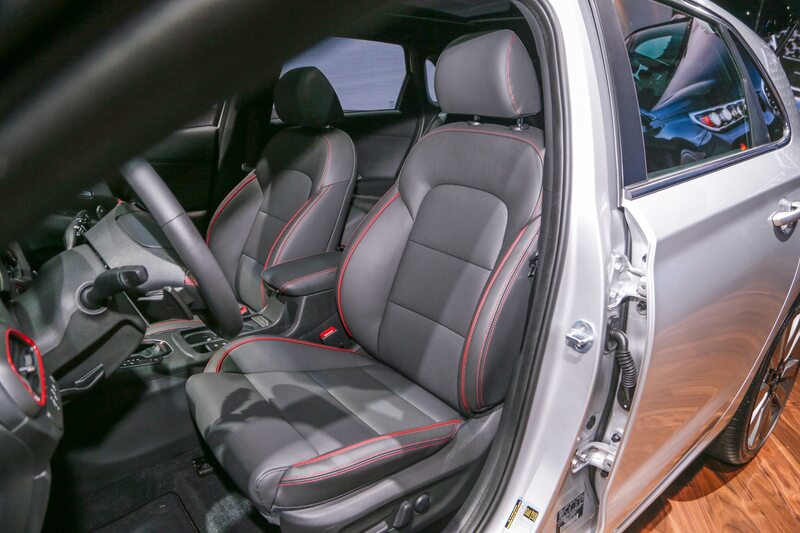 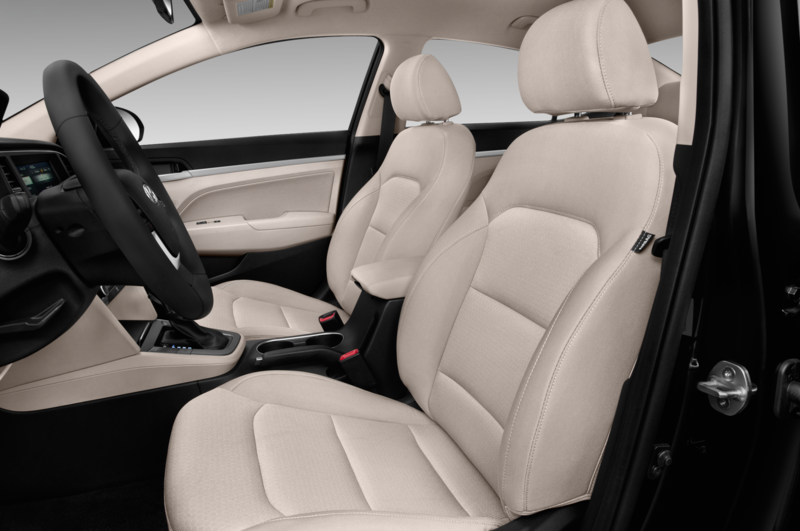 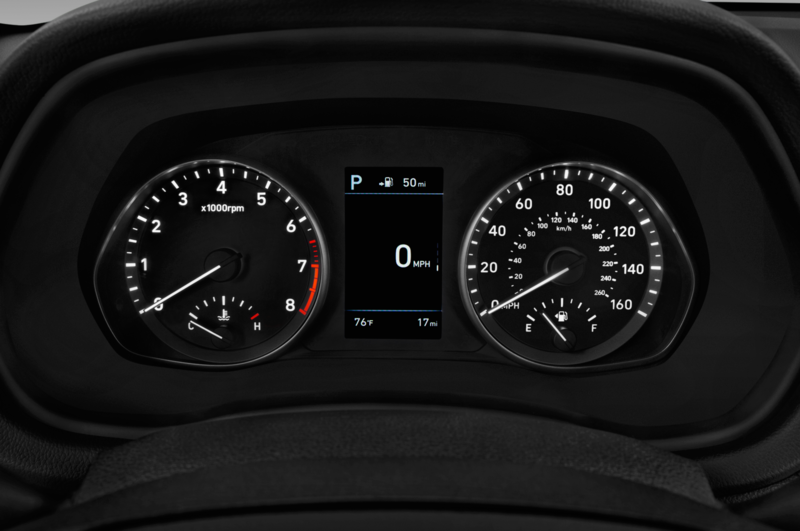 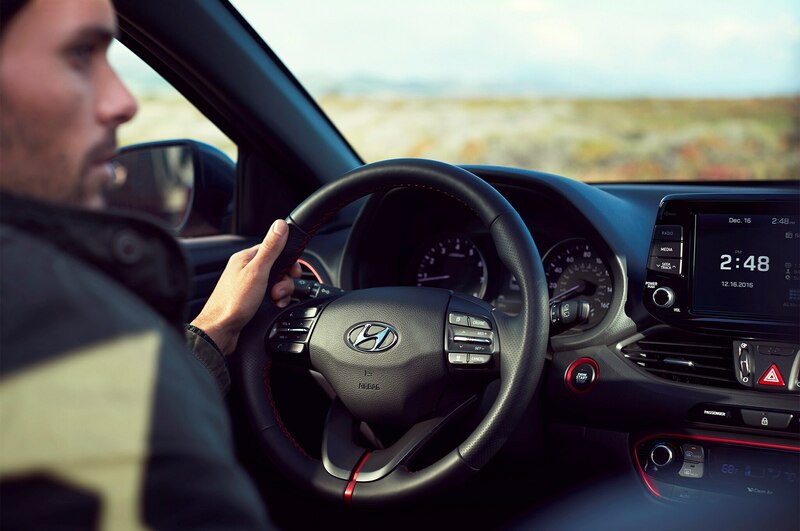 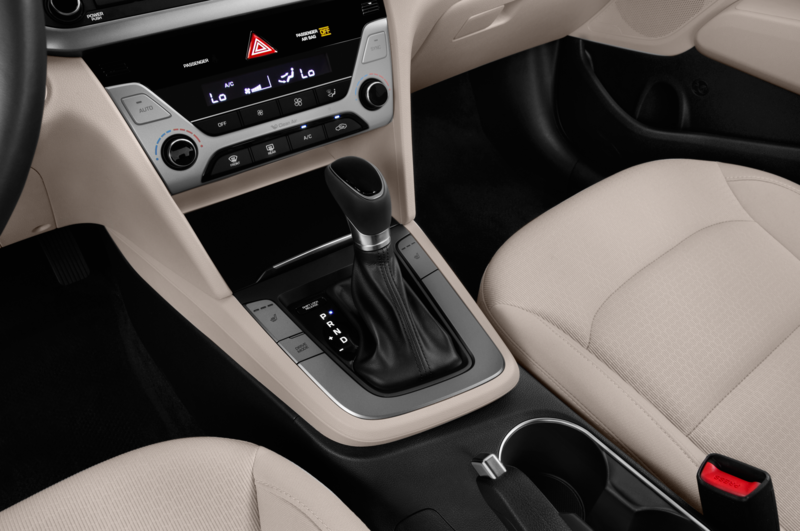 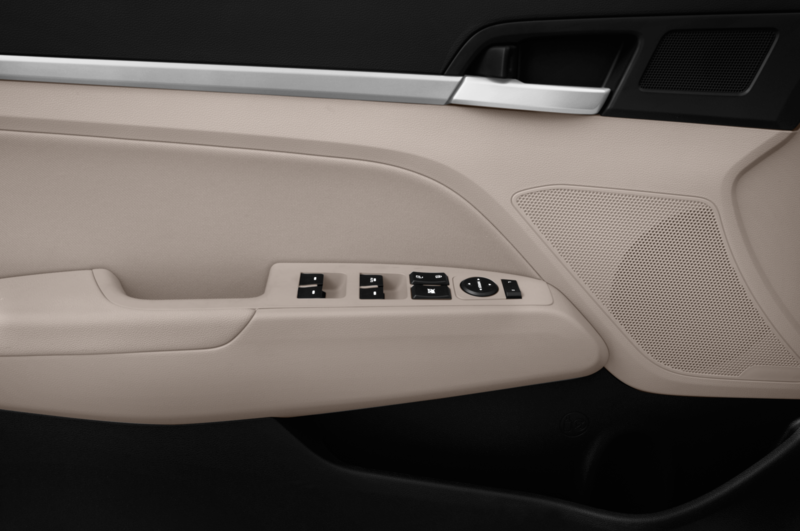 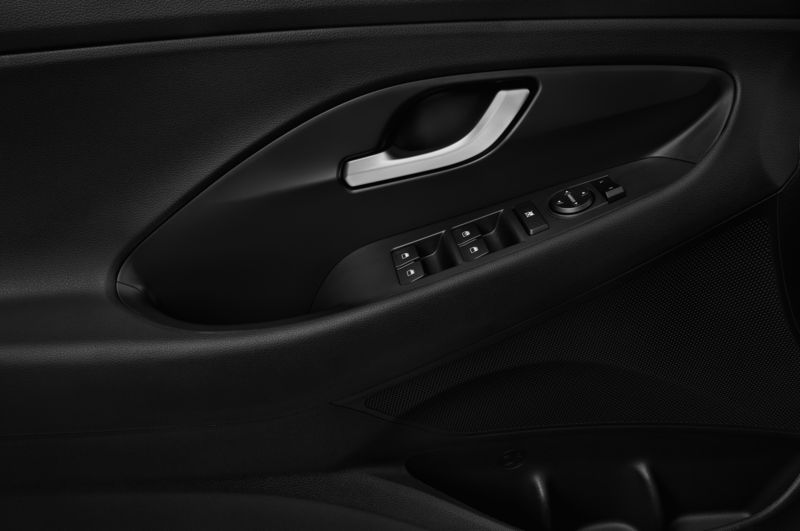 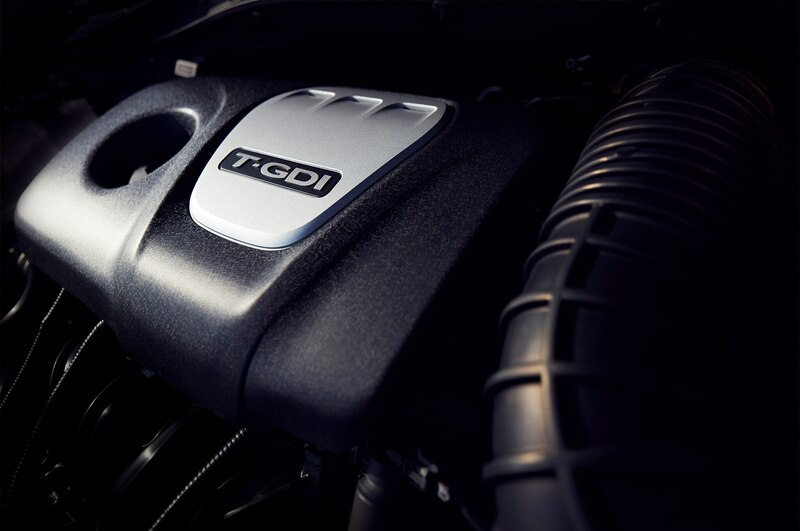 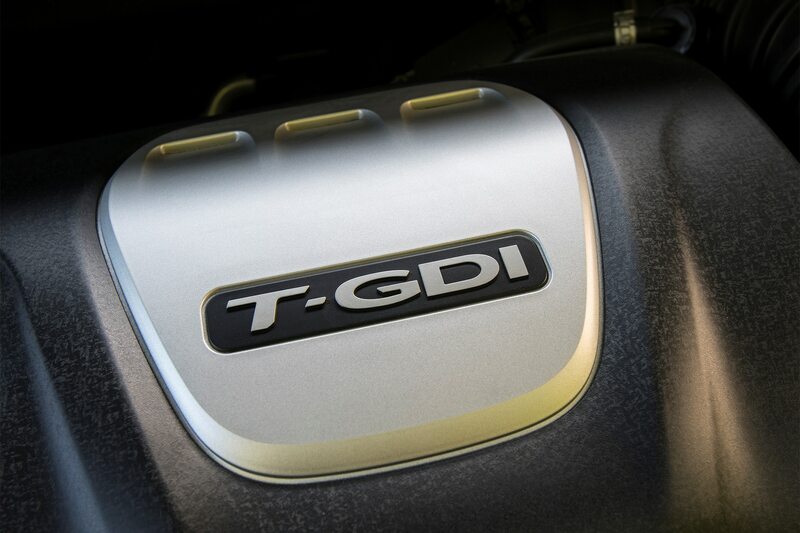 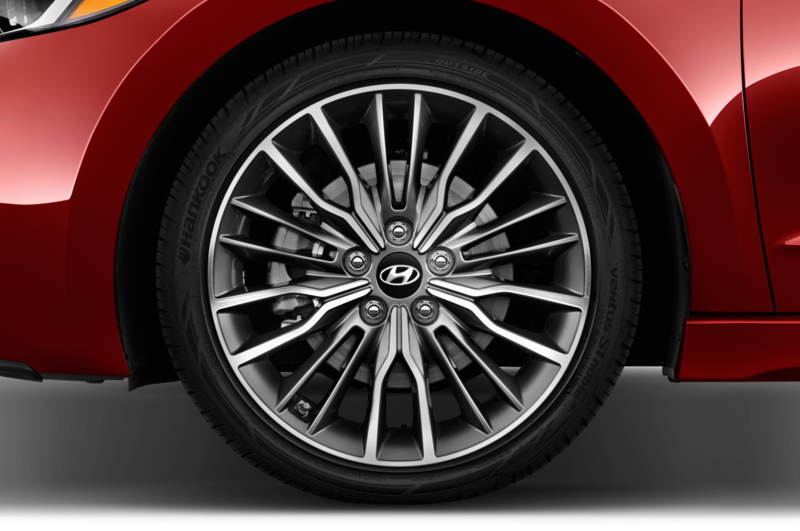 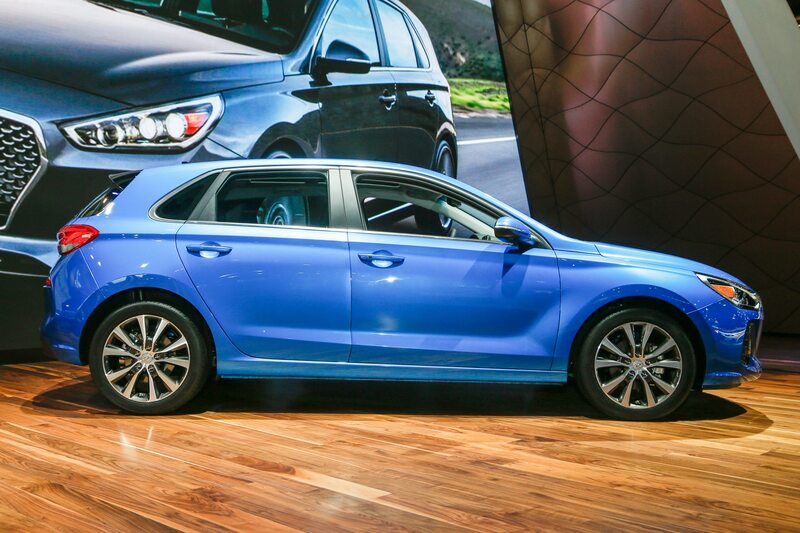 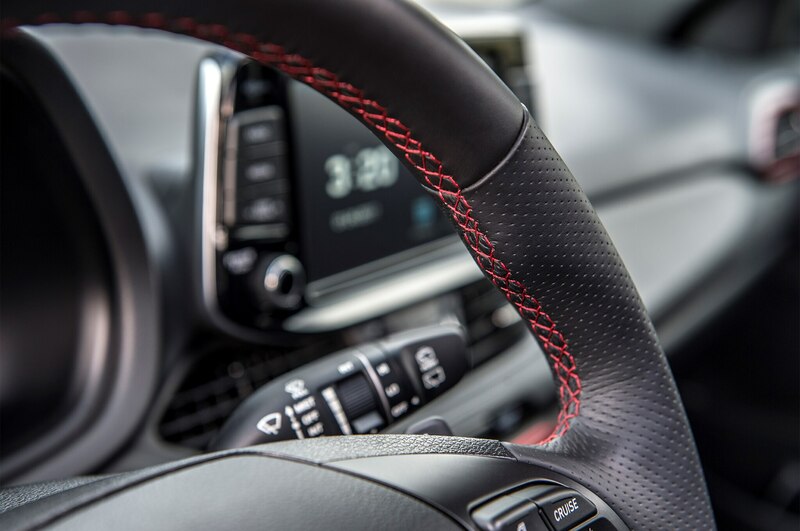 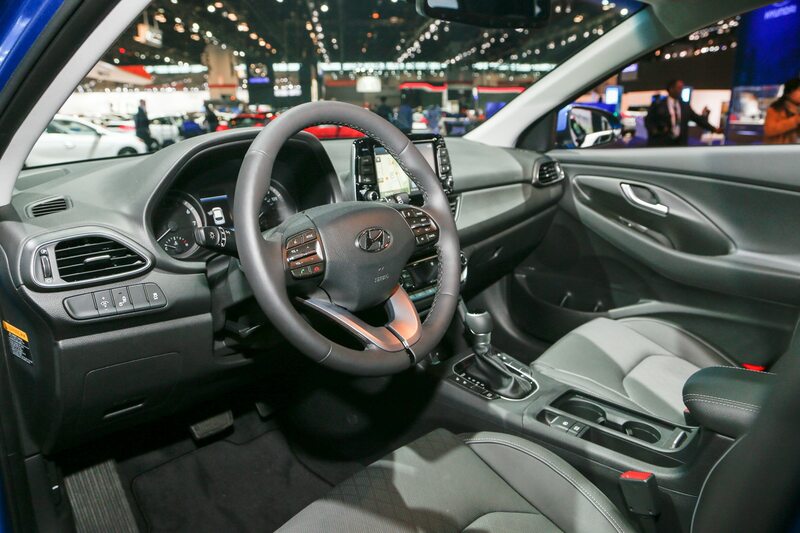 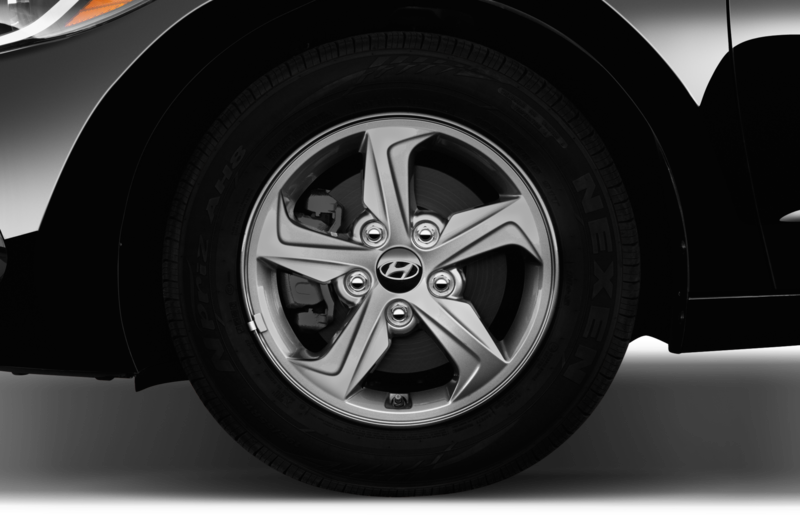 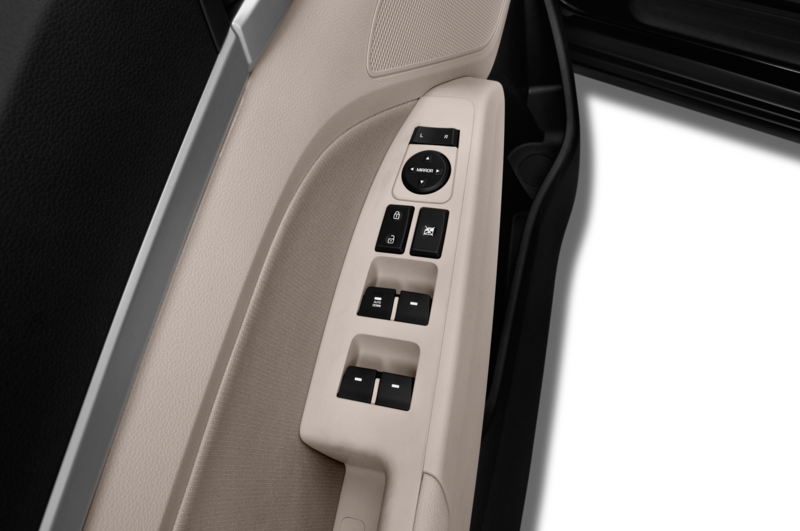 Leather seats, alloy pedals, and dual-zone climate control are standard. 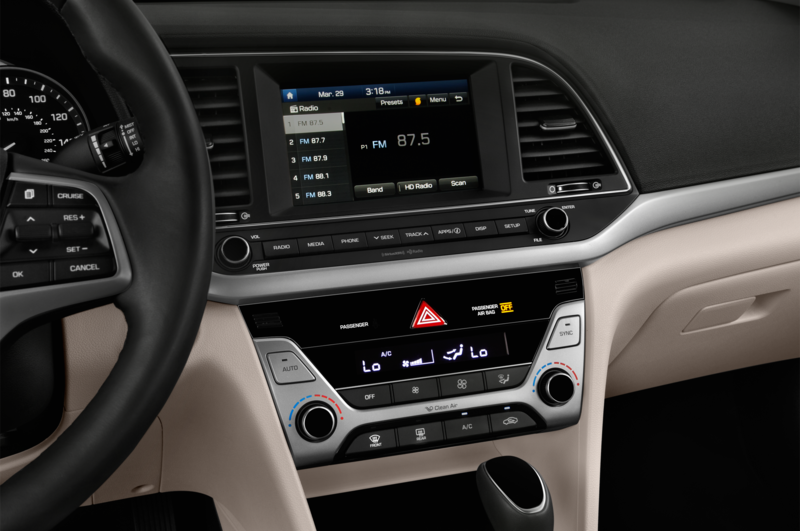 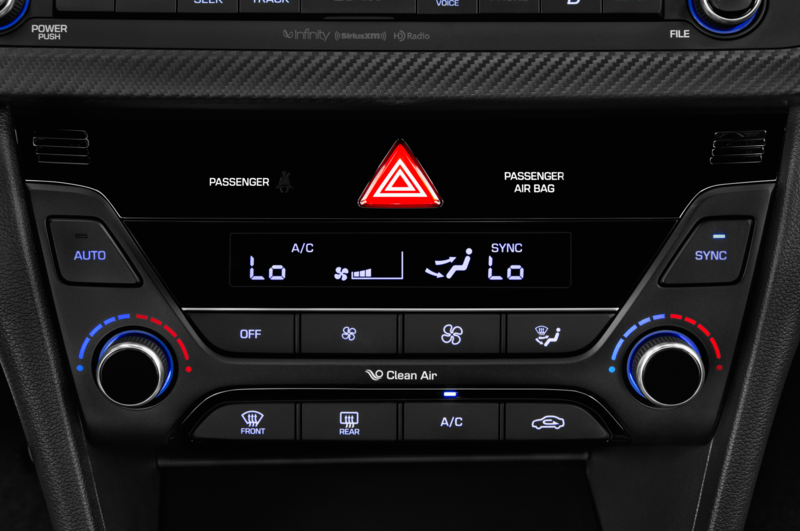 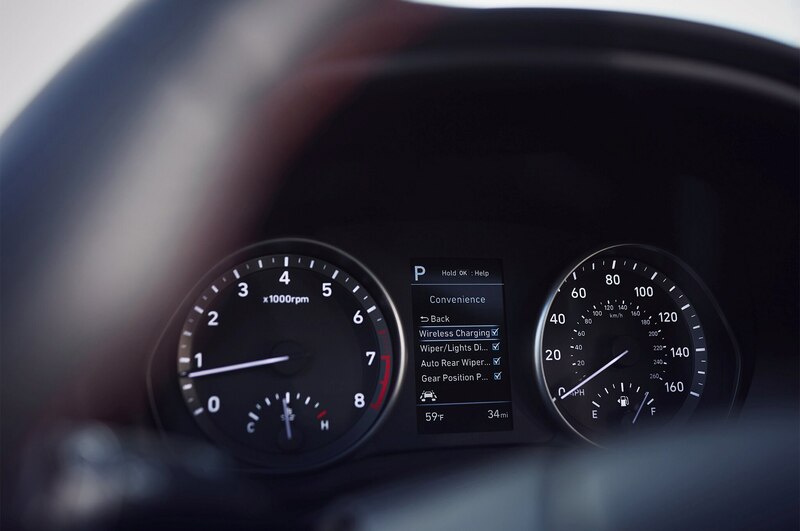 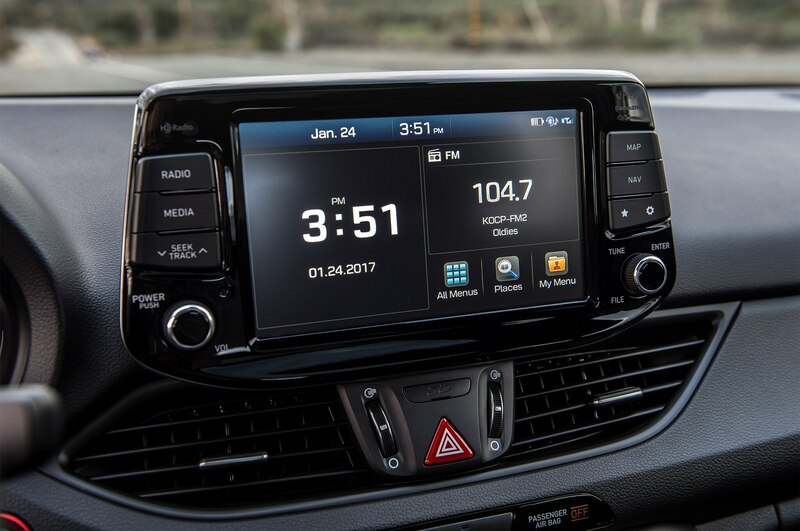 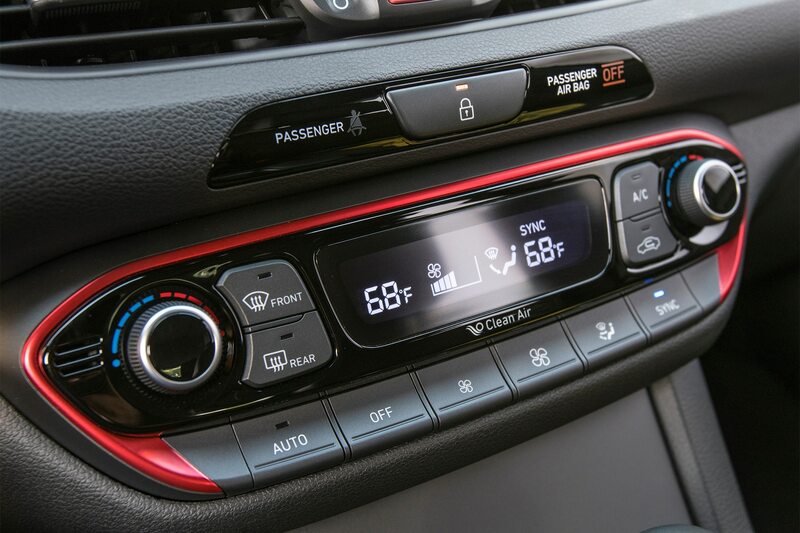 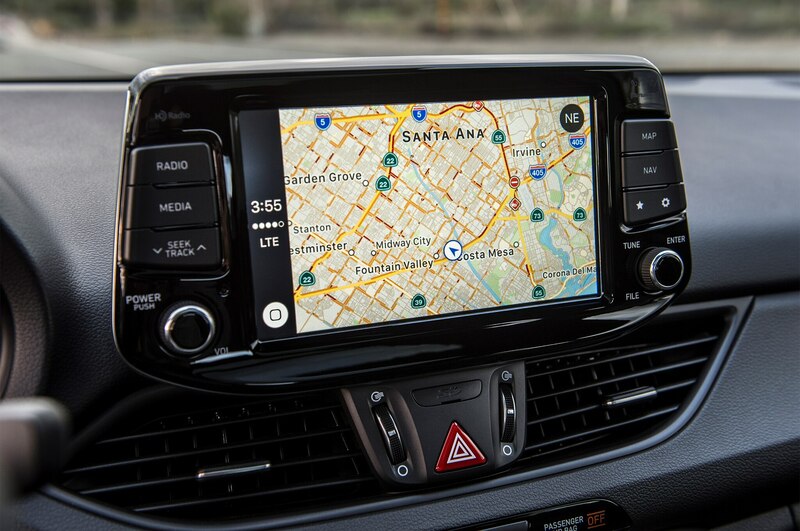 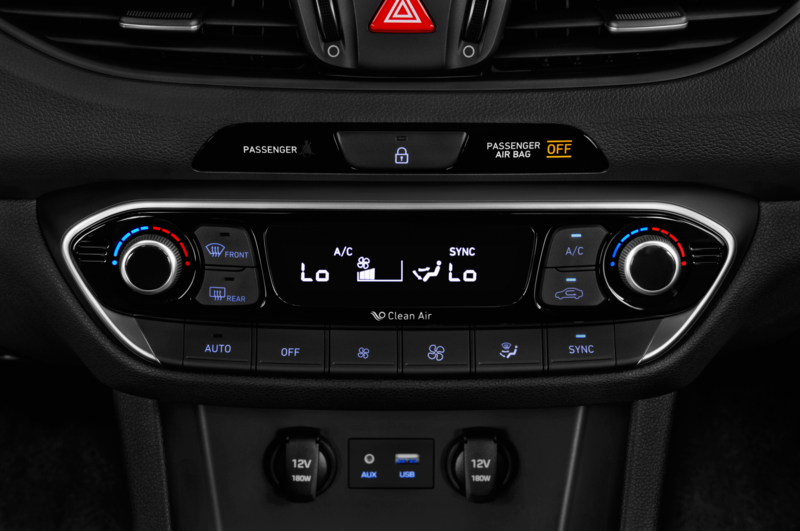 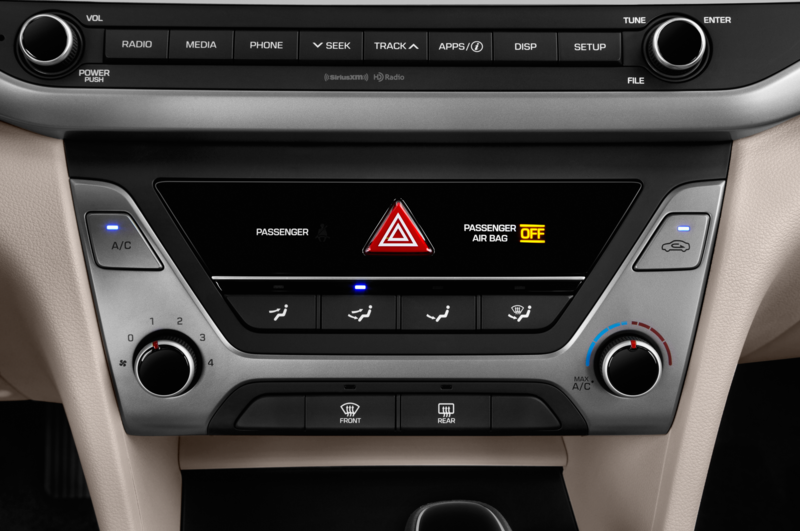 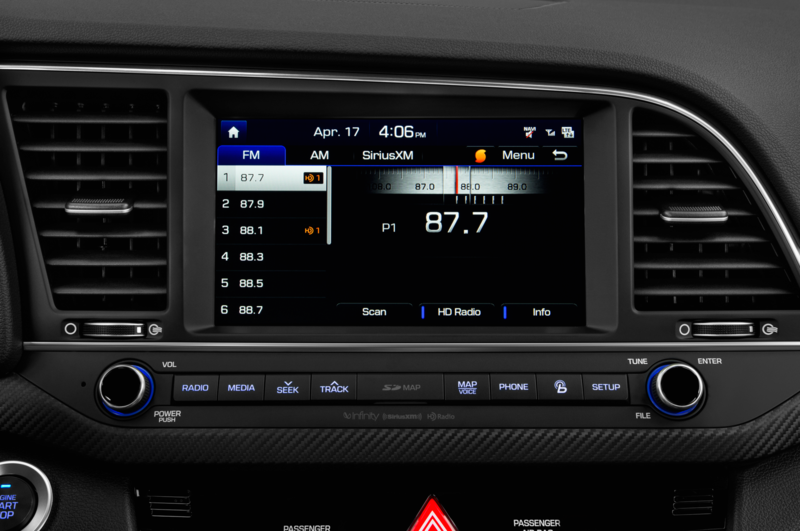 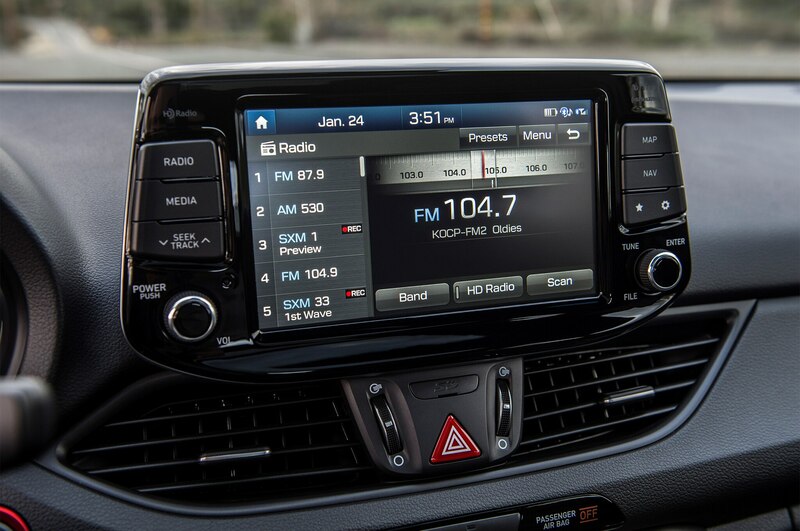 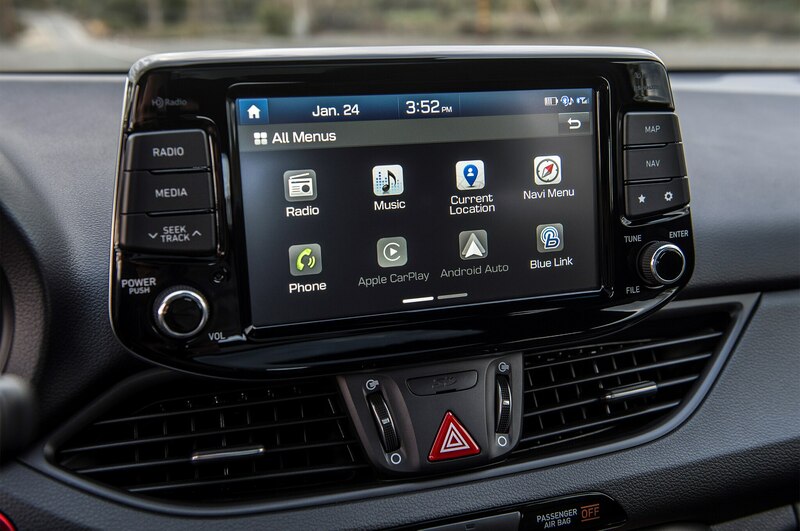 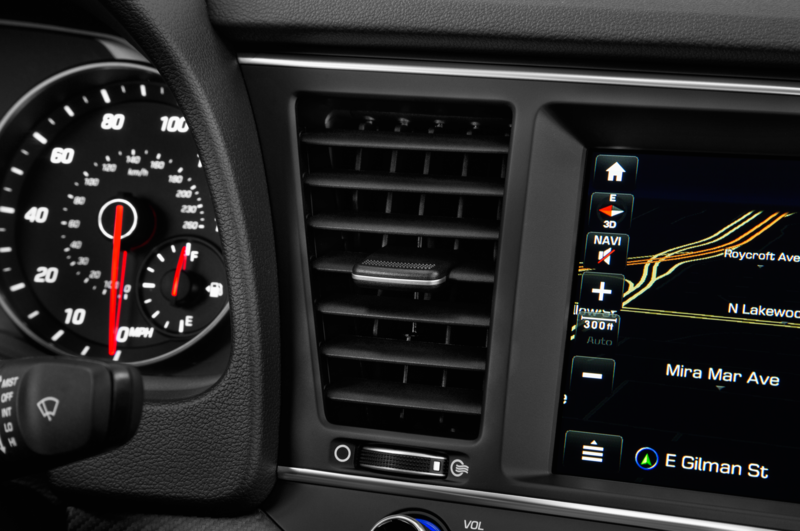 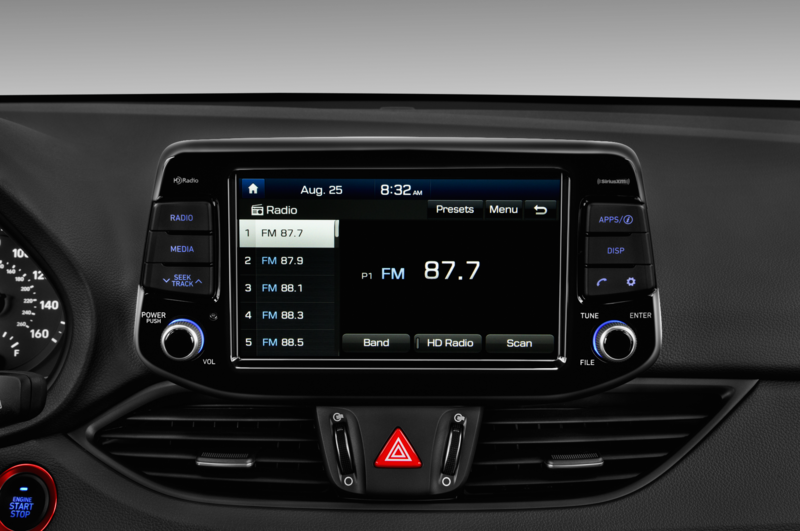 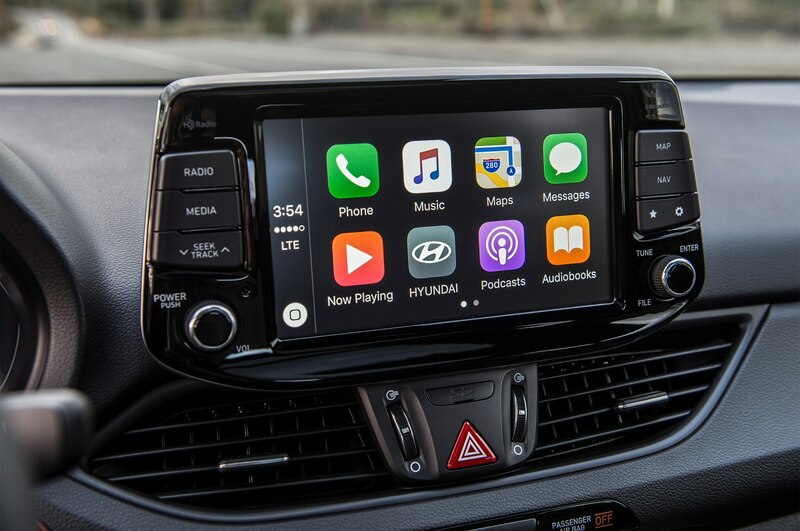 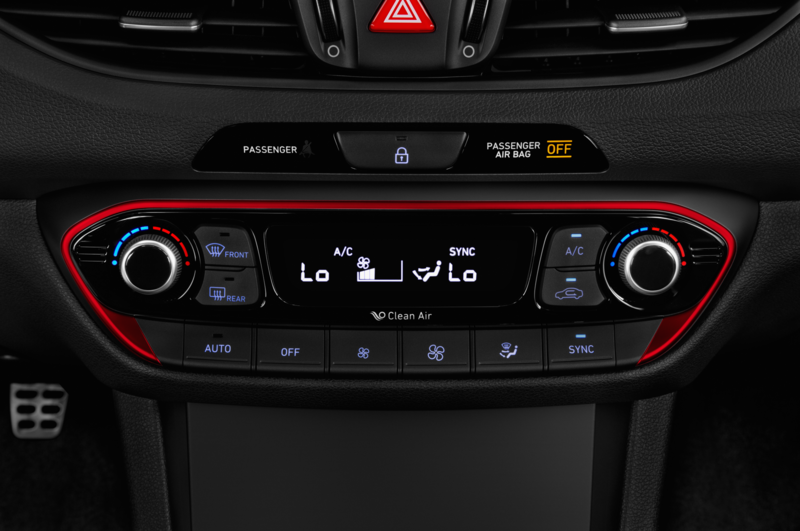 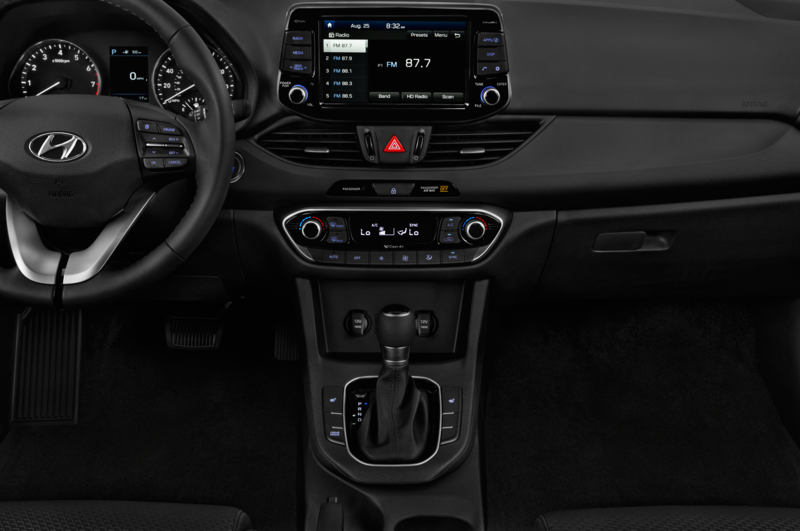 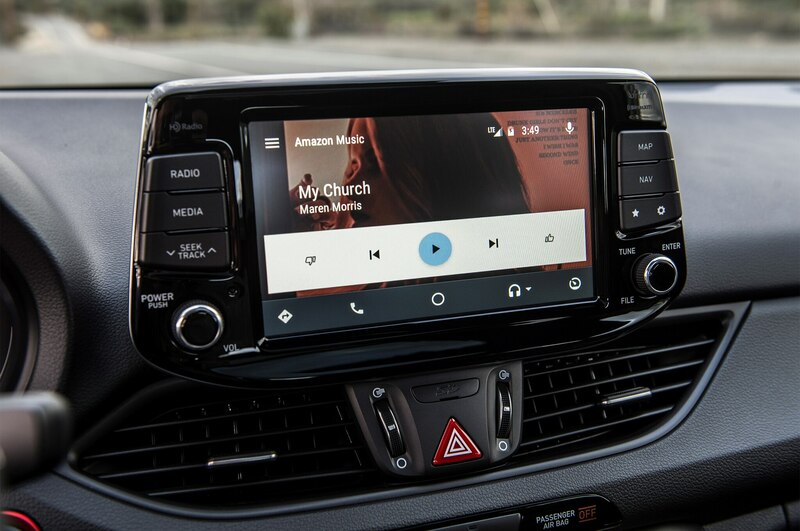 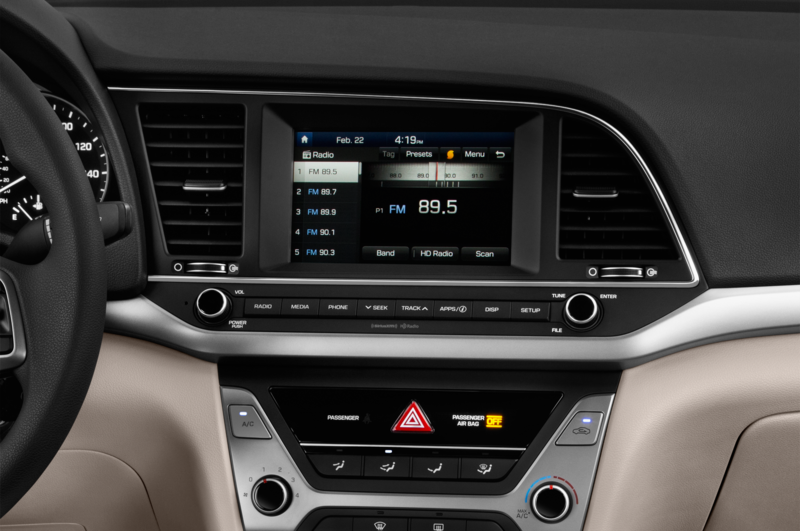 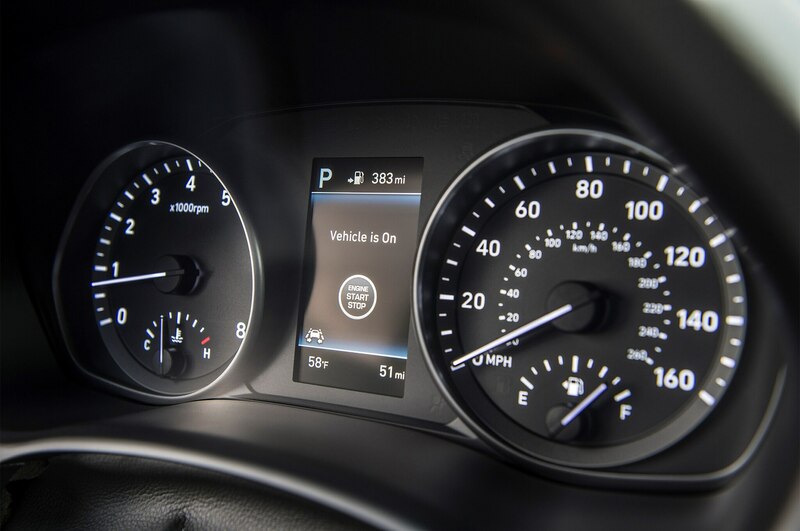 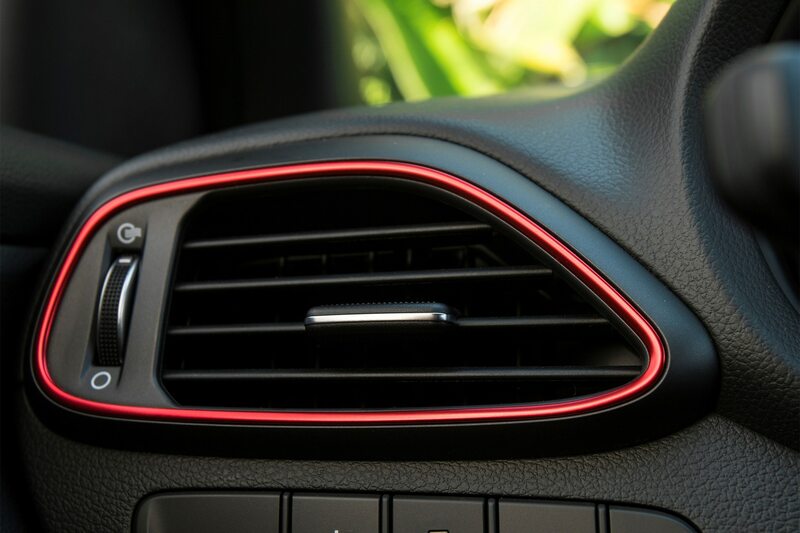 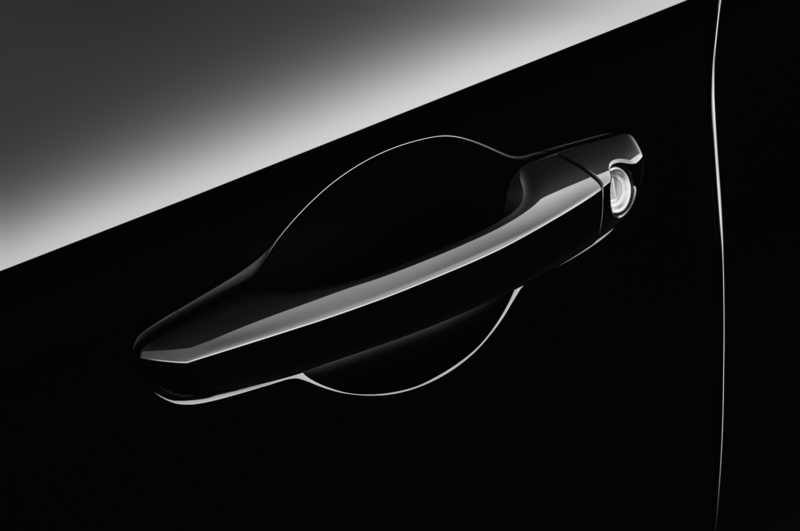 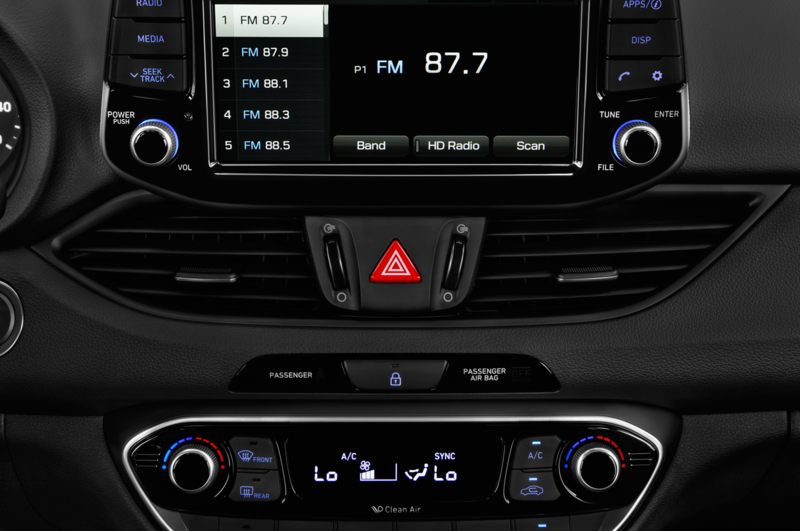 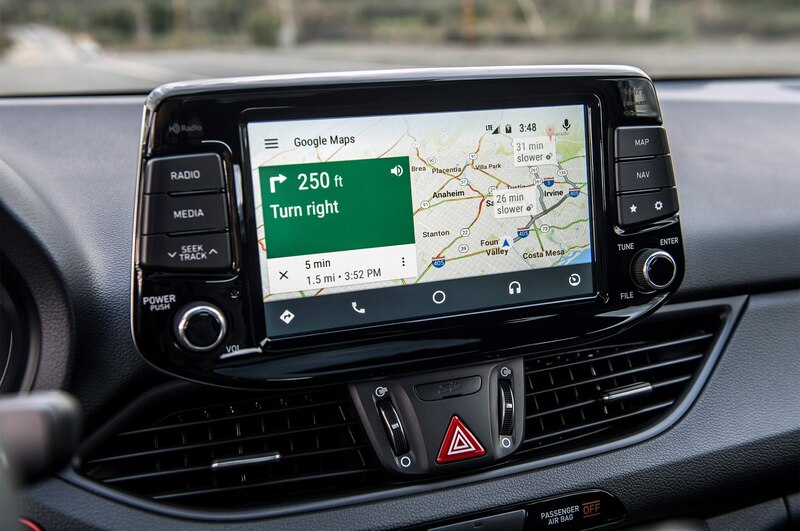 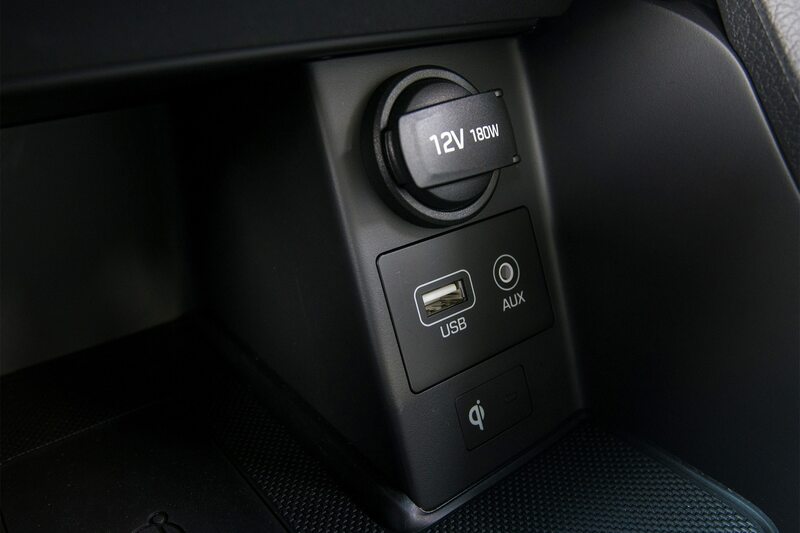 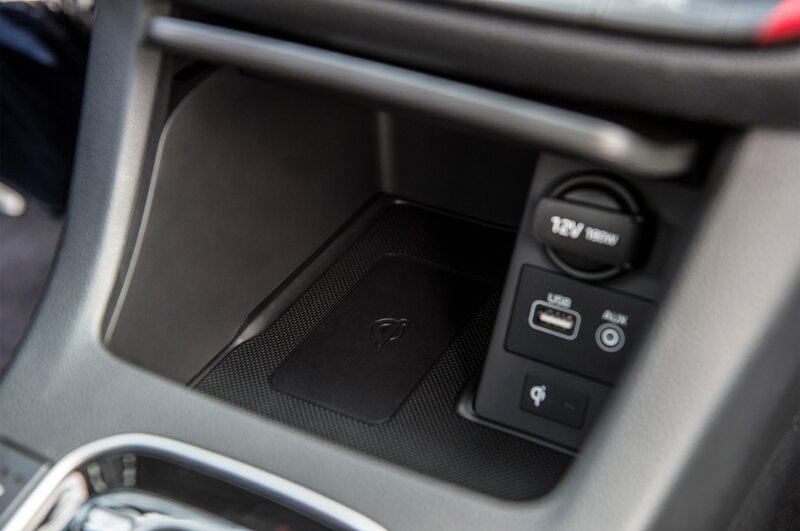 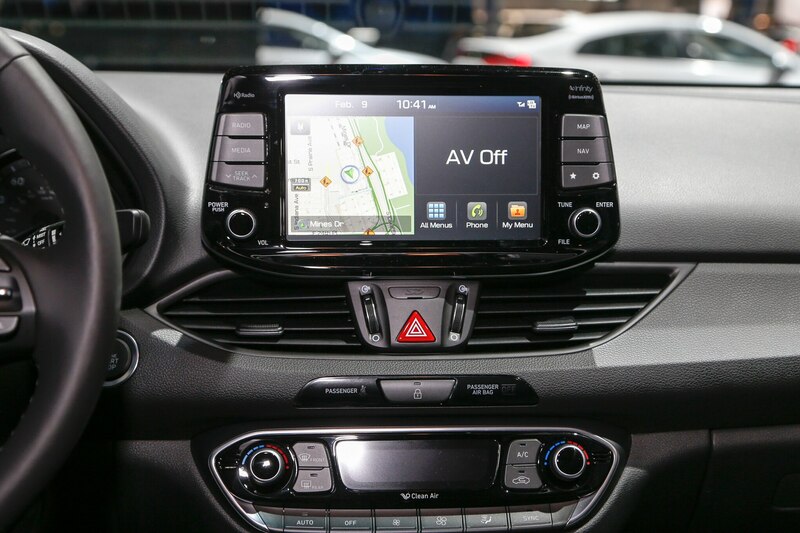 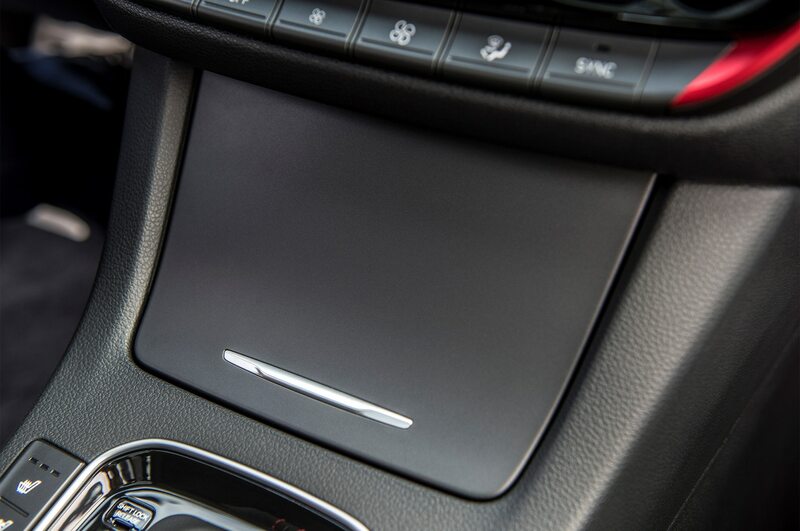 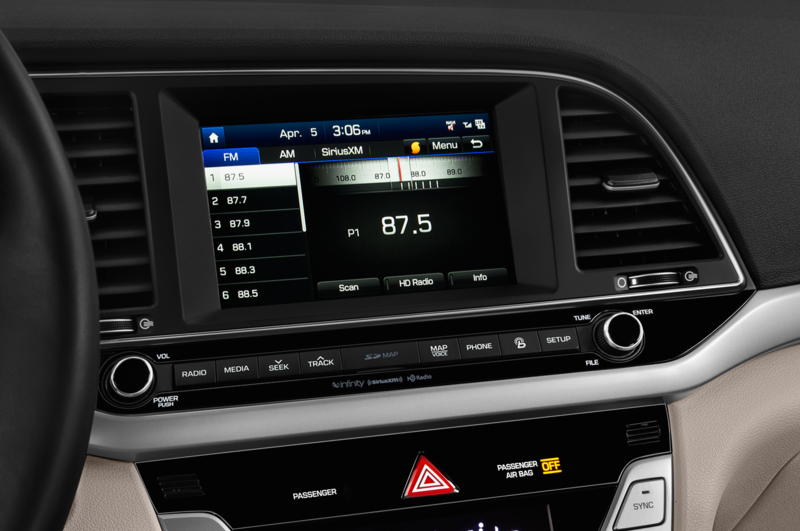 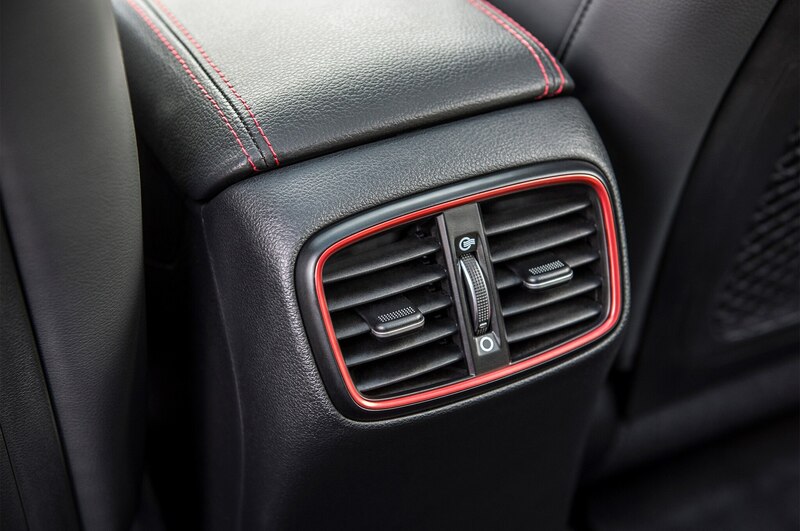 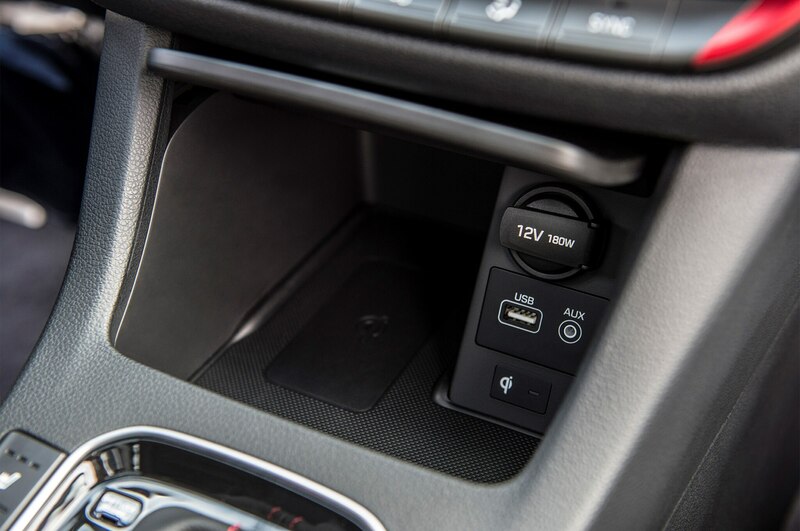 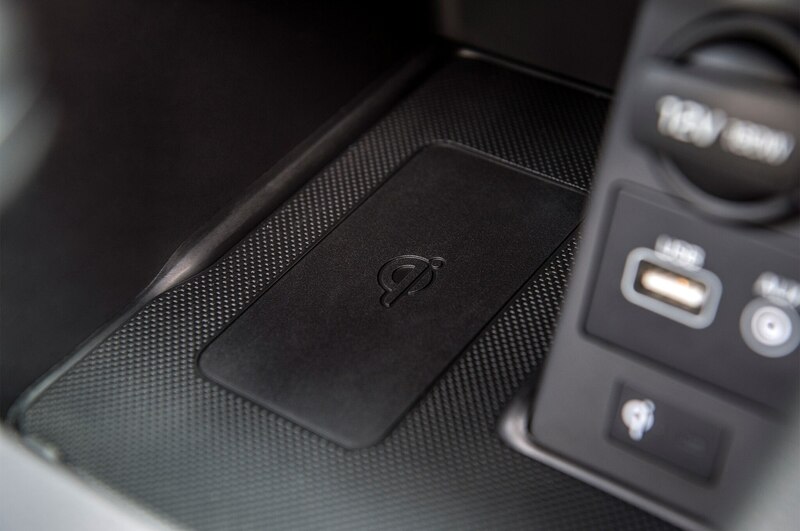 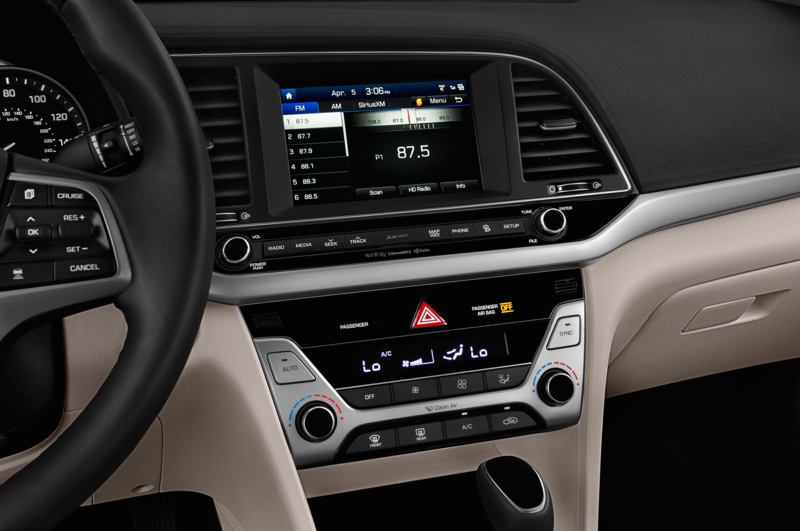 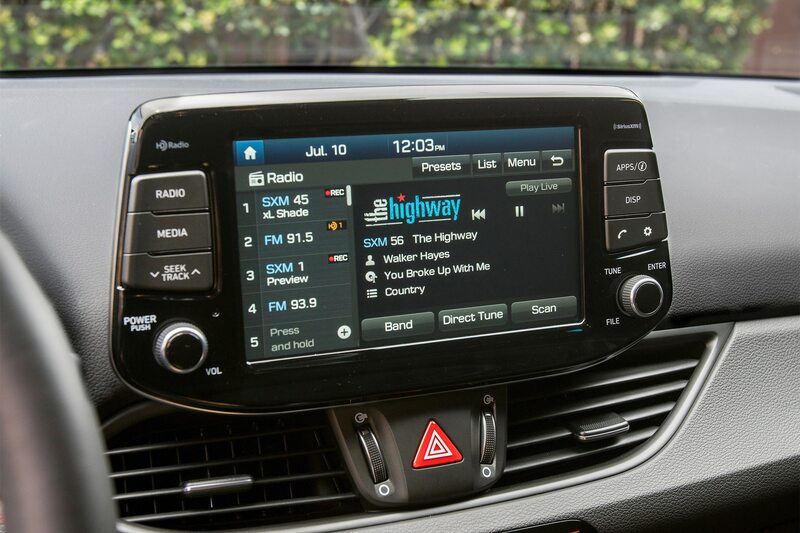 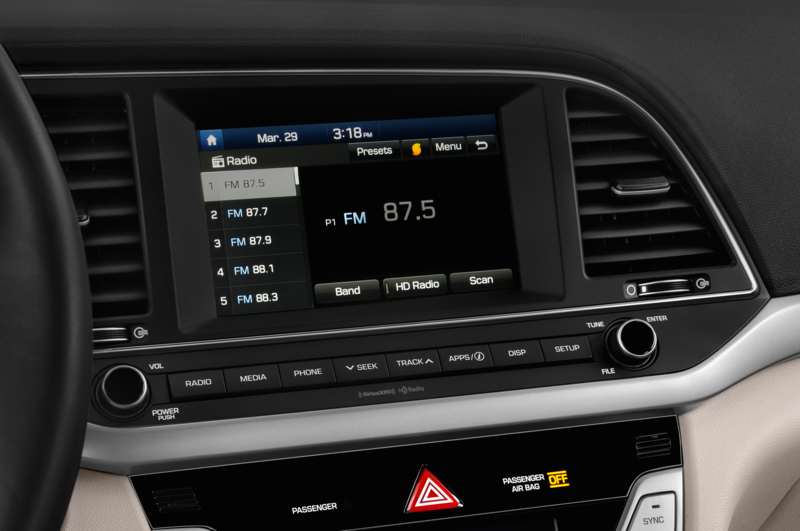 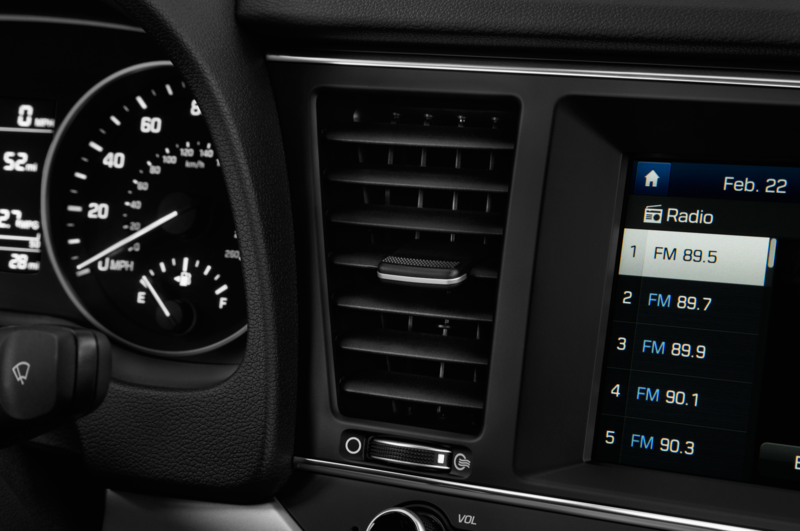 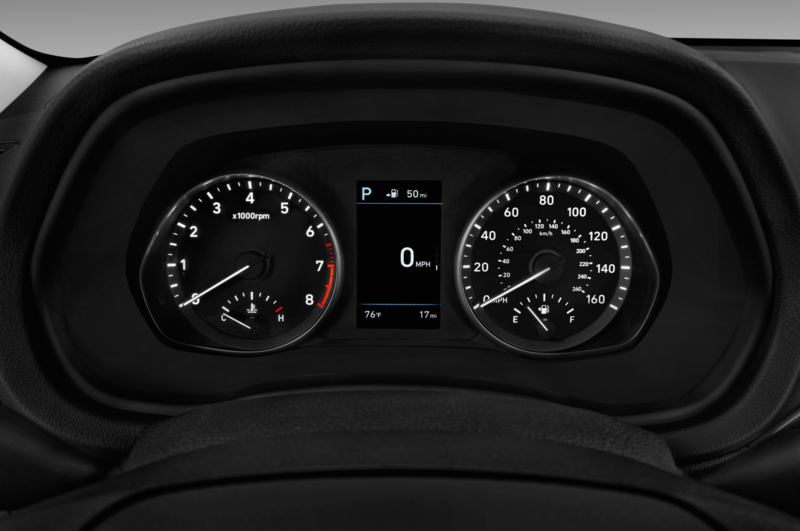 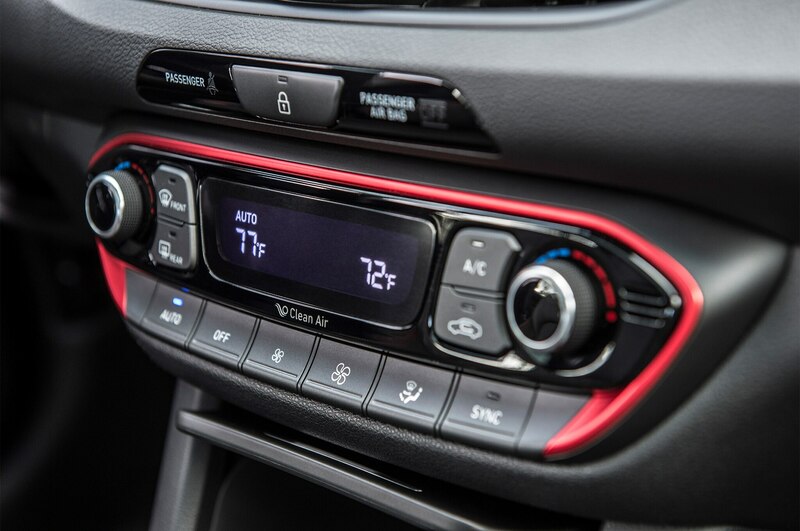 The car also sports an 8.0-inch display that includes Apple CarPlay and Android Auto friendly, with wireless smartphone charging available as an option. 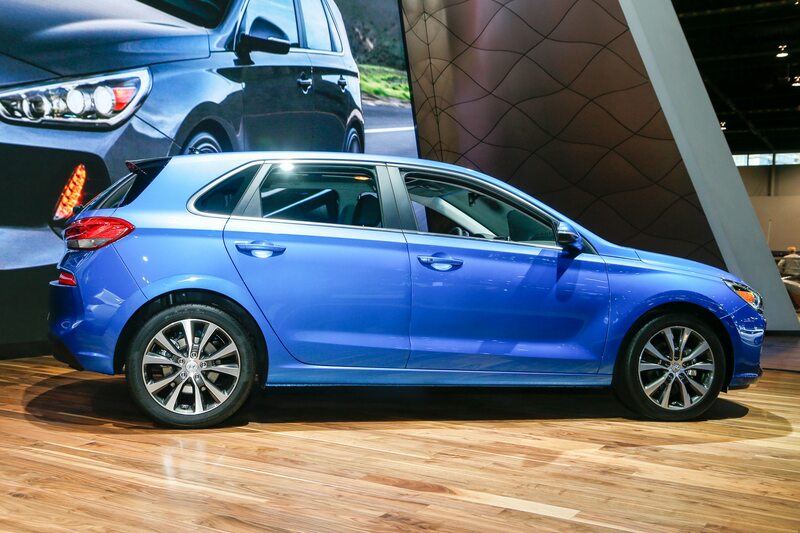 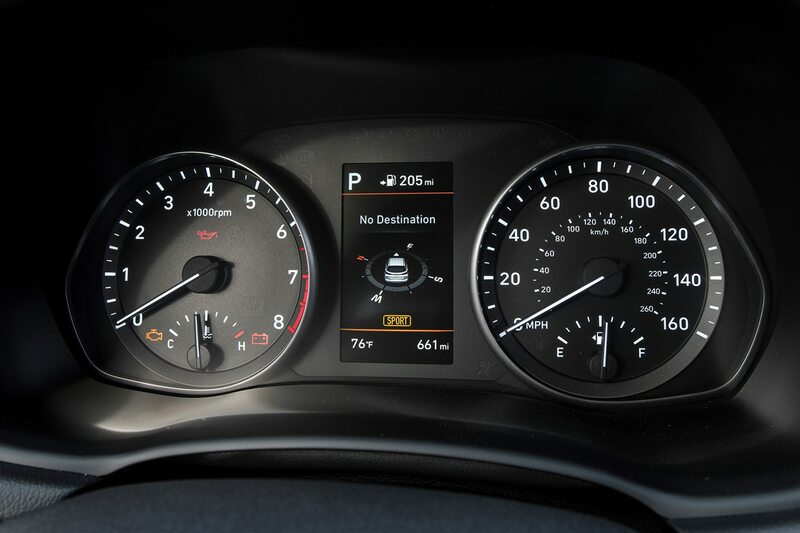 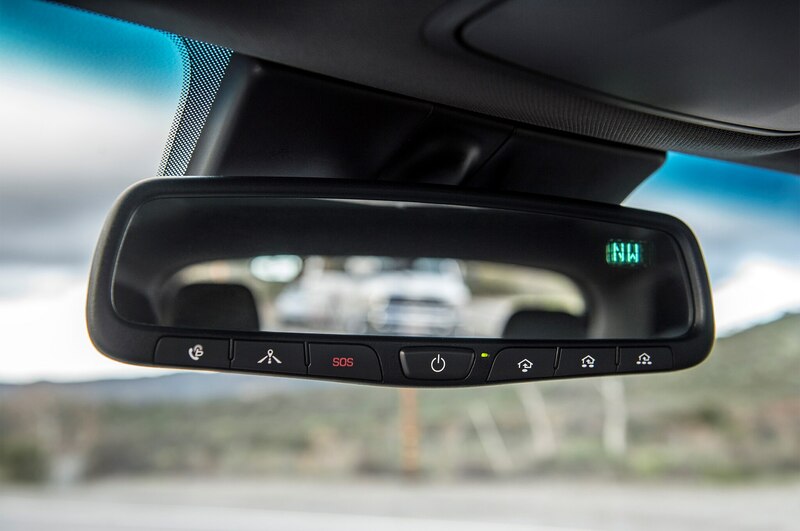 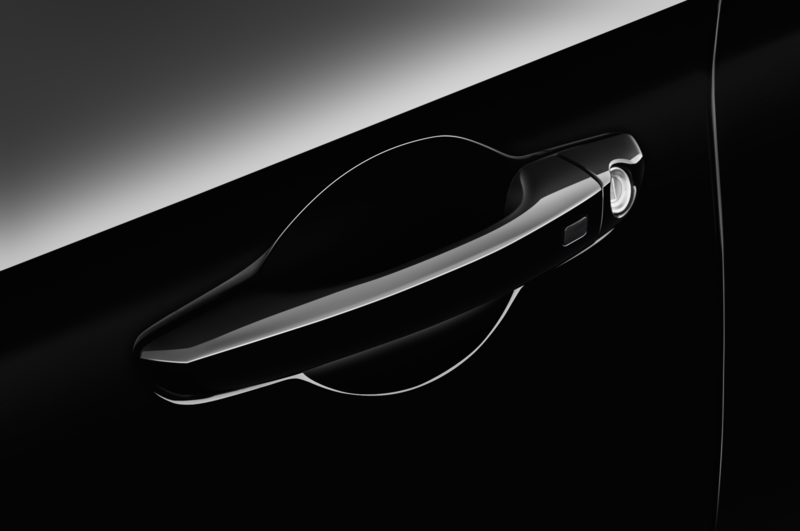 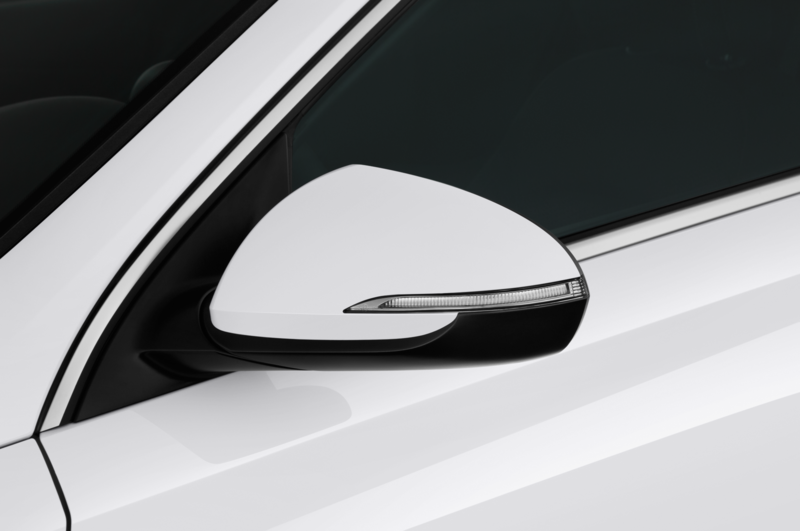 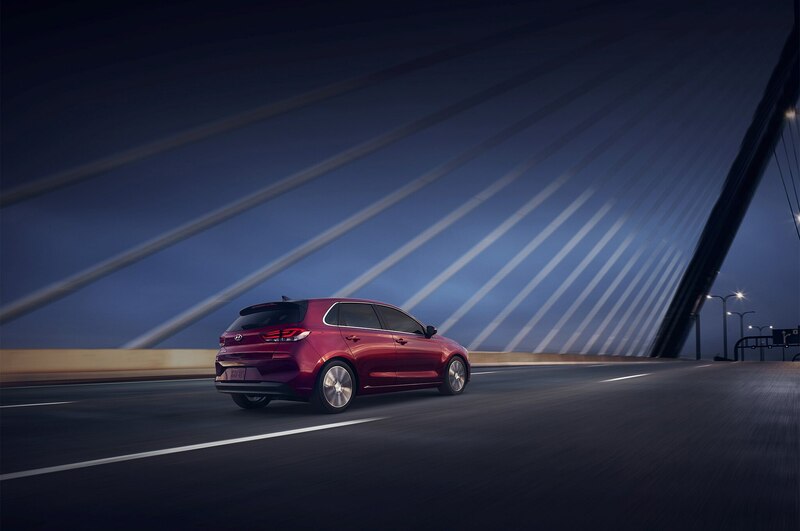 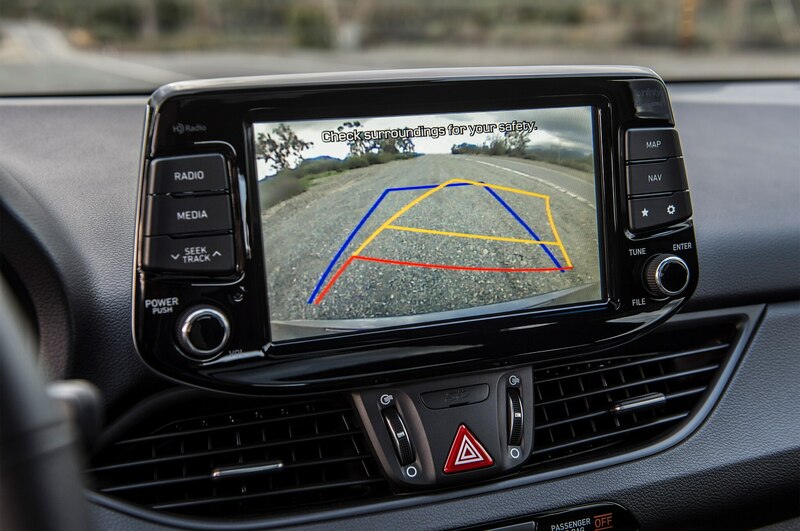 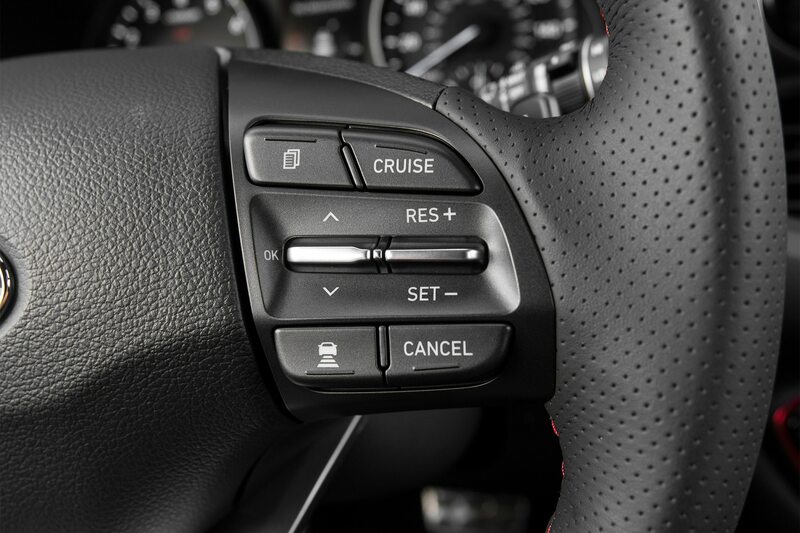 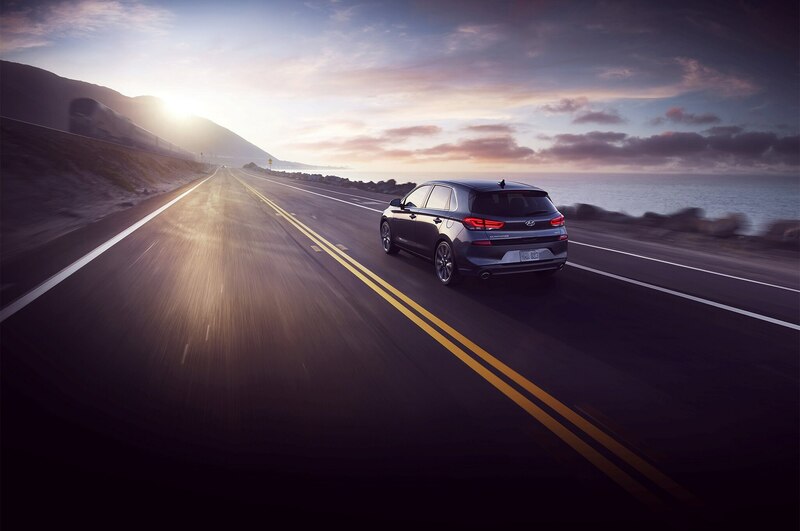 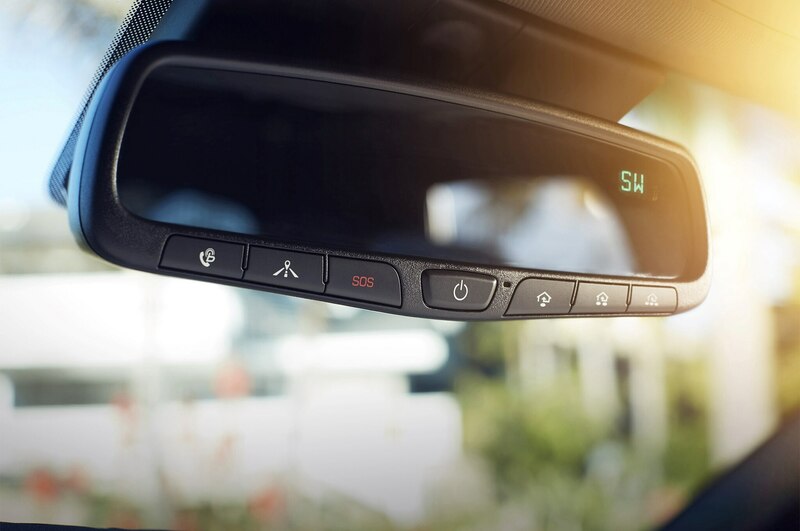 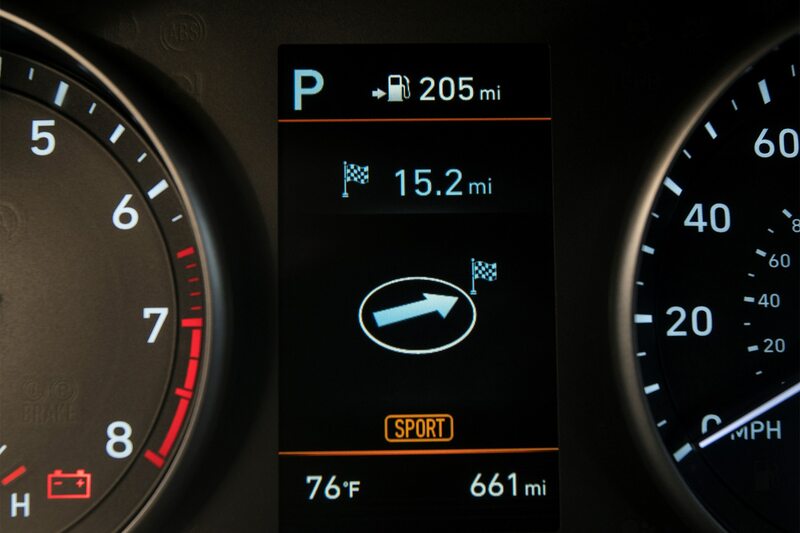 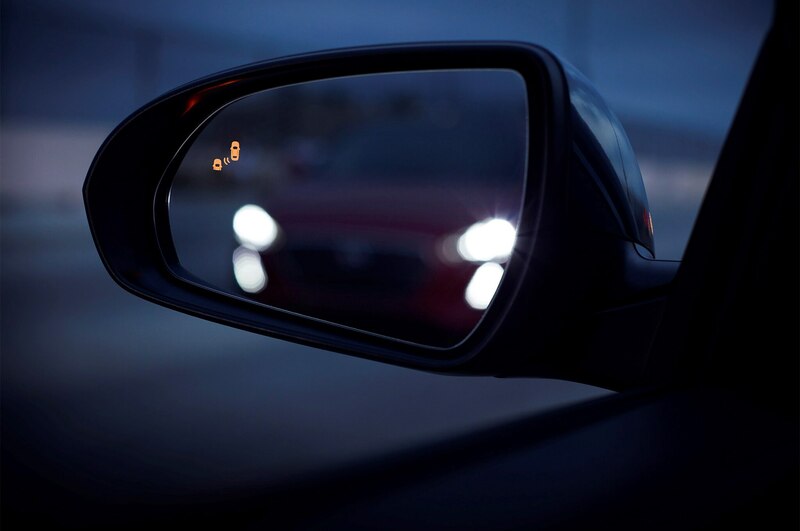 Driver assist technology-wise, there’s smart cruise control with stop/start technology, automatic emergency braking with pedestrian detection, lane-keep assist, attention assist, and blind-spot detection with rear cross-traffic alert are also available as options. 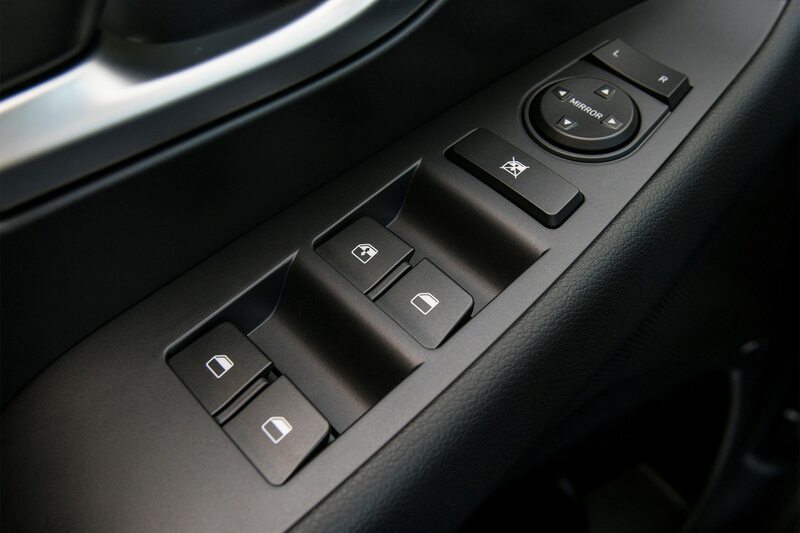 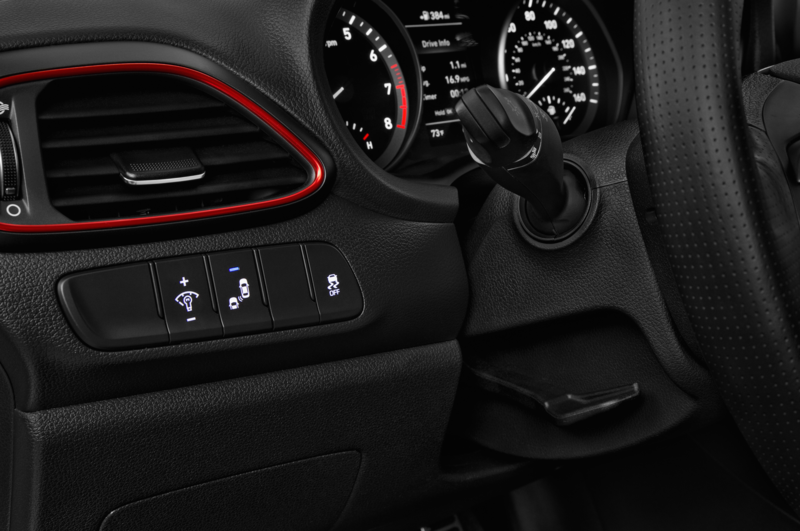 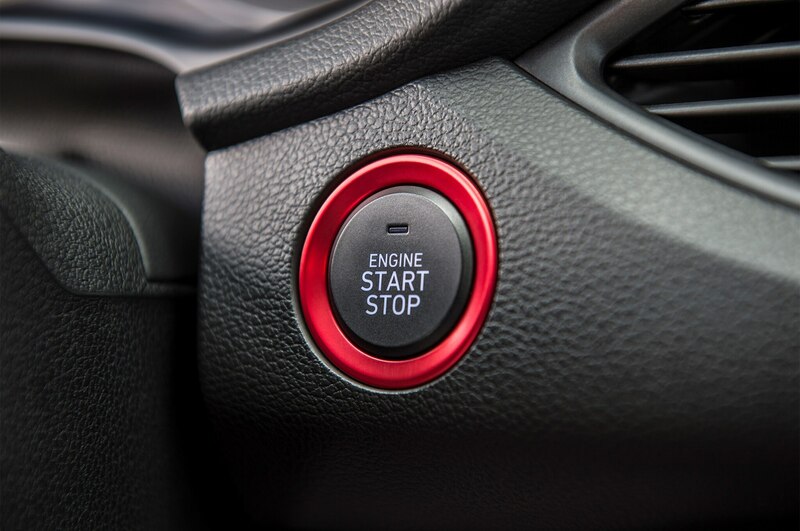 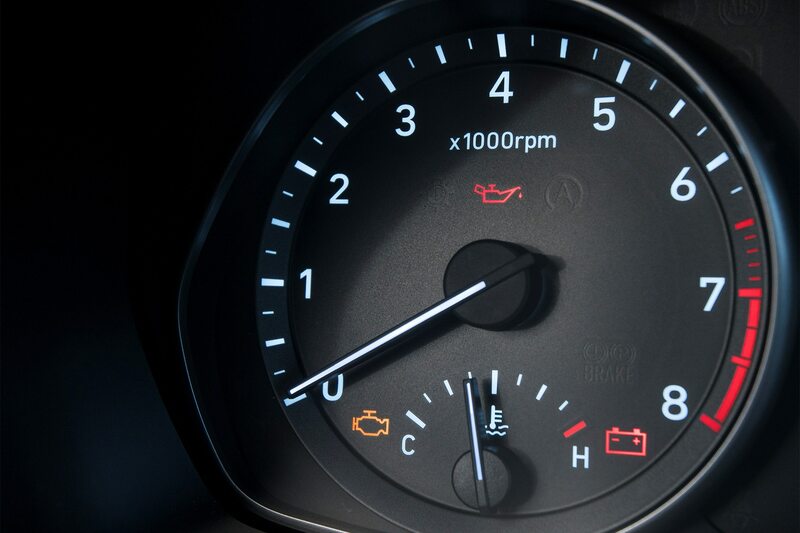 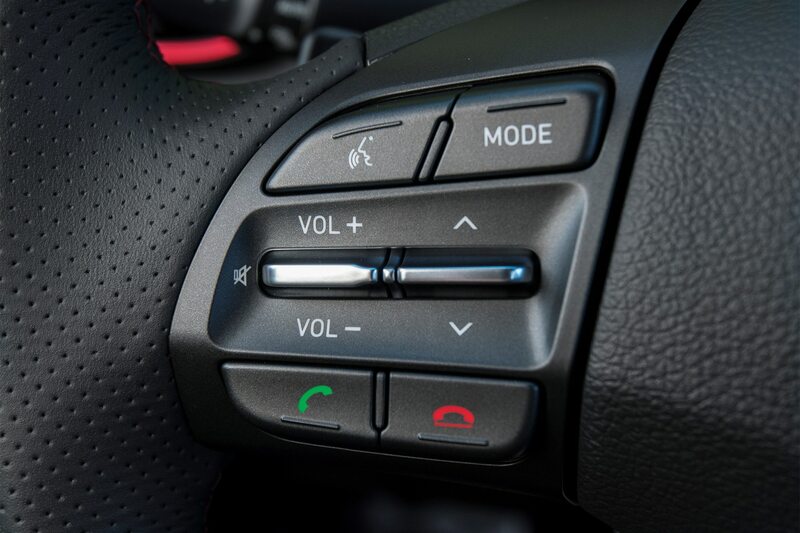 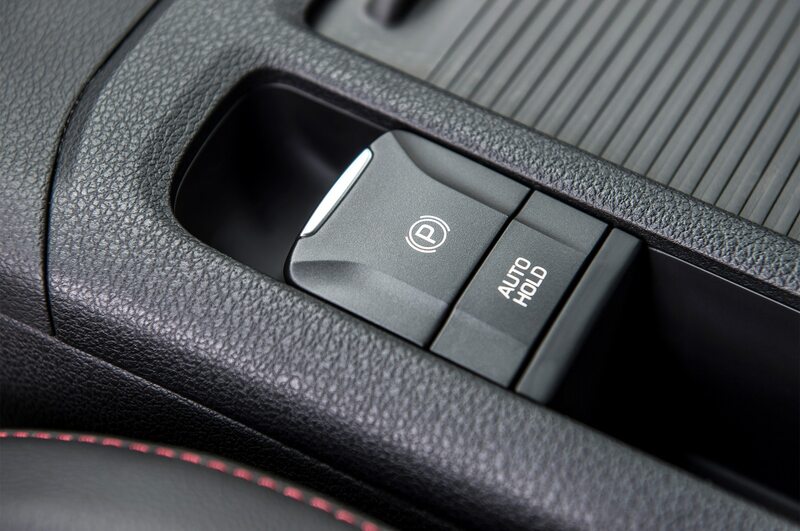 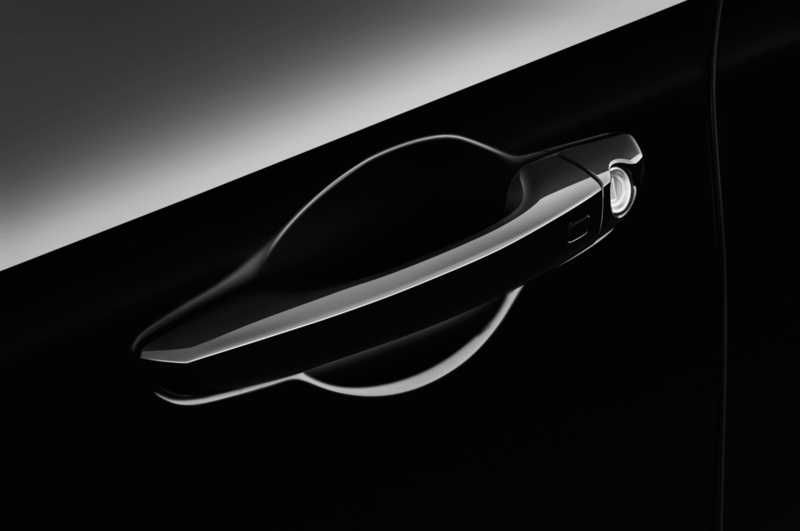 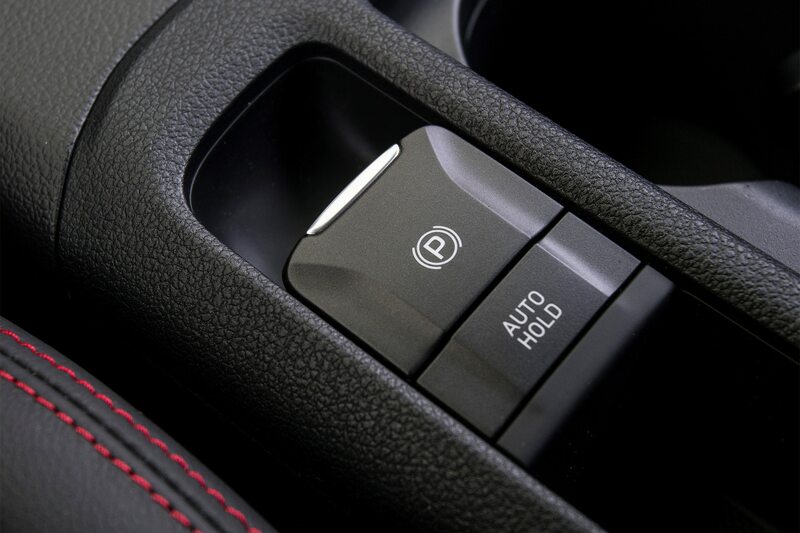 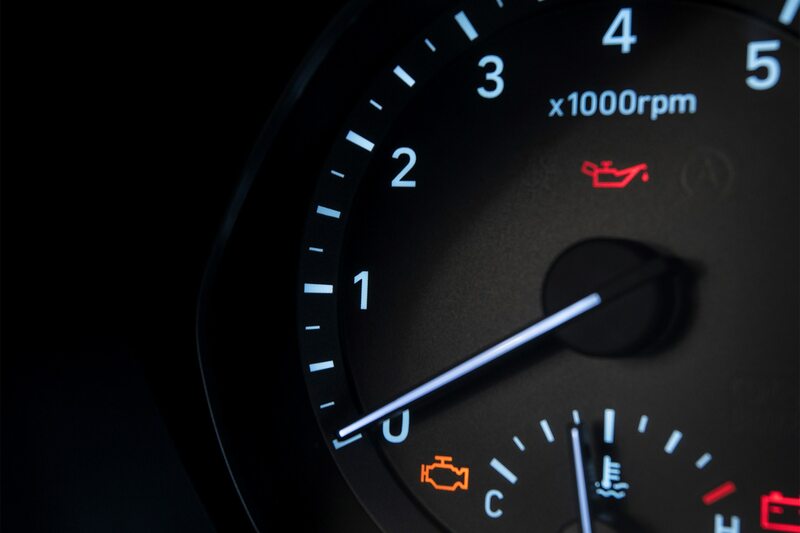 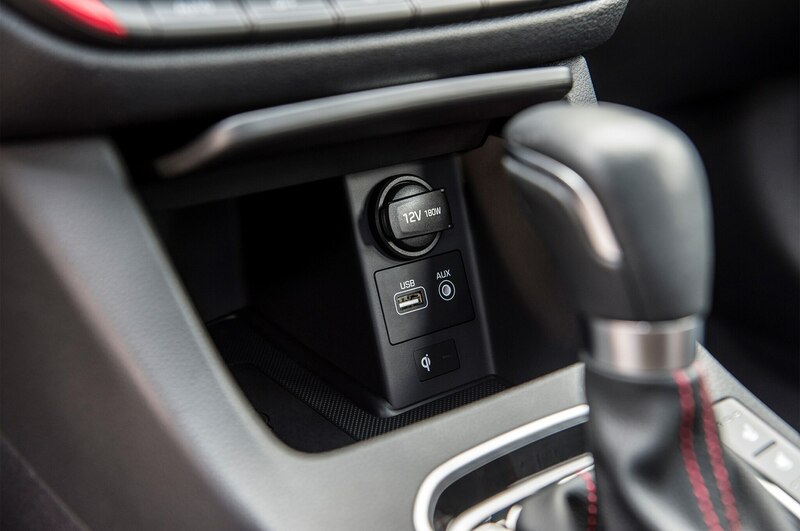 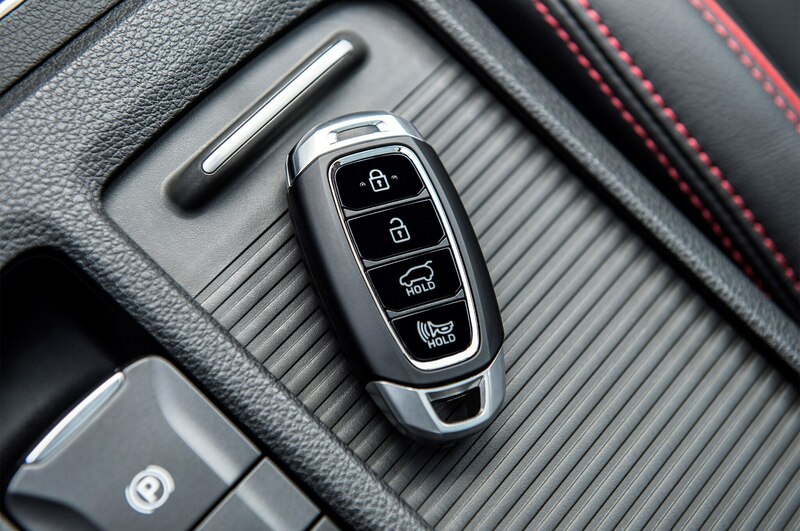 Remote start with climate control, a great feature for colder and warmer climates, is also available. 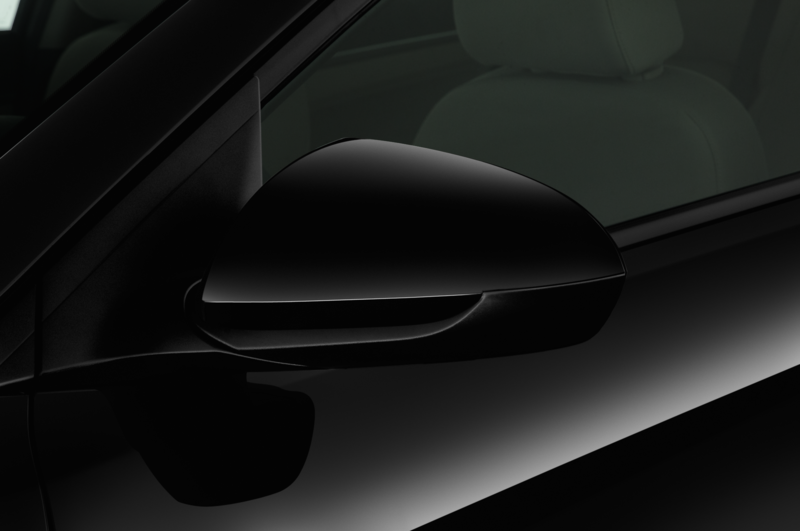 Pricing and more details will be announced in the spring. 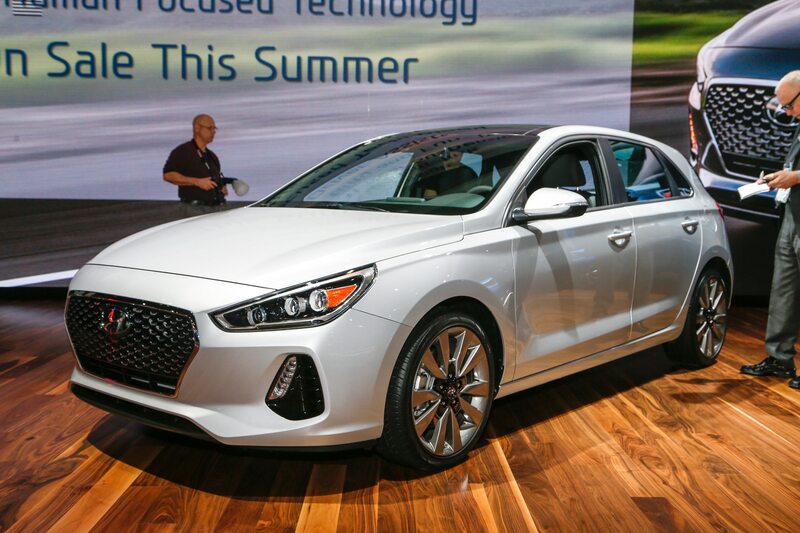 The 2018 Hyundai Elantra GT and Elantra GT Sport both go on sale this summer.